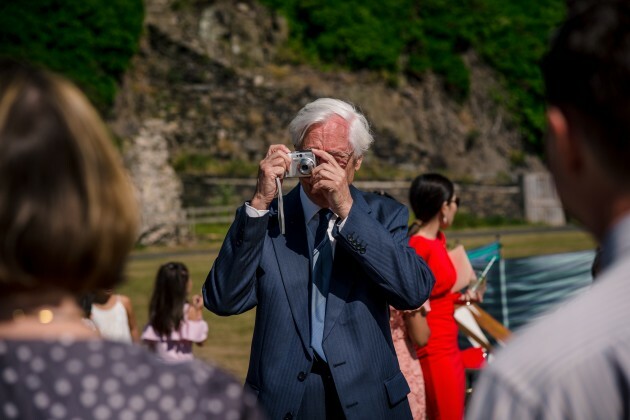 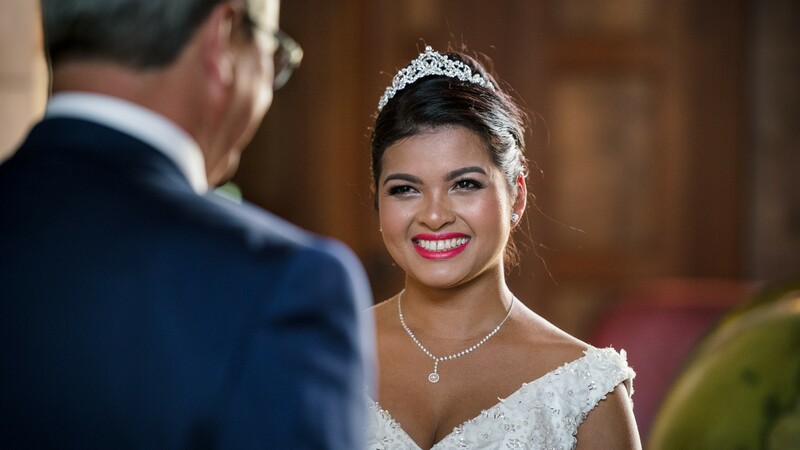 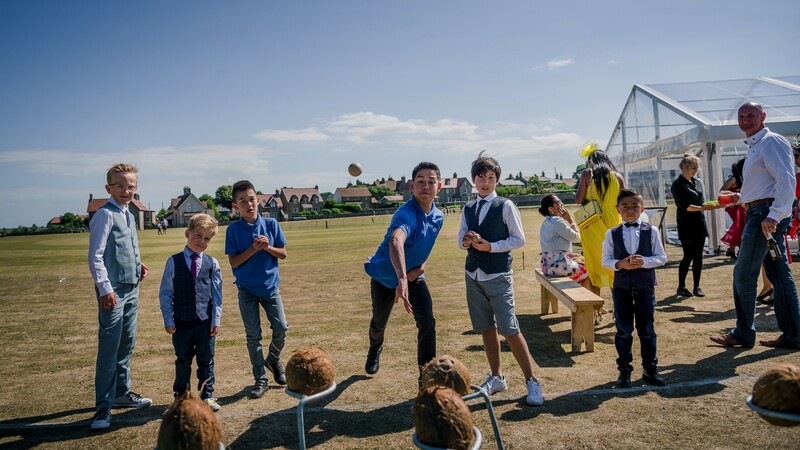 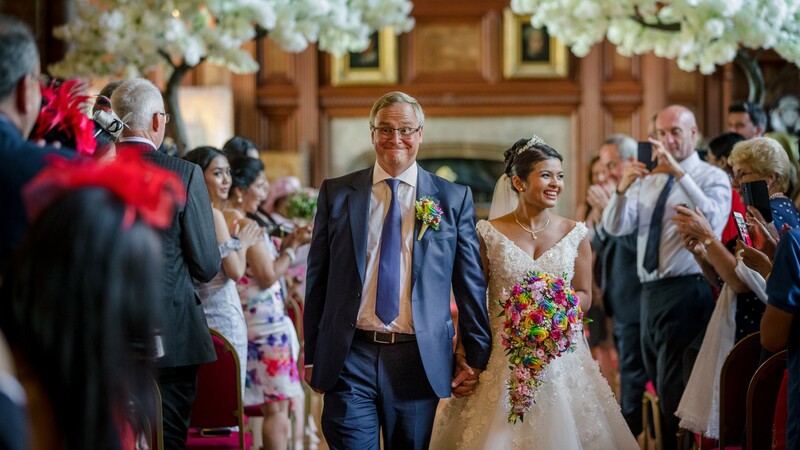 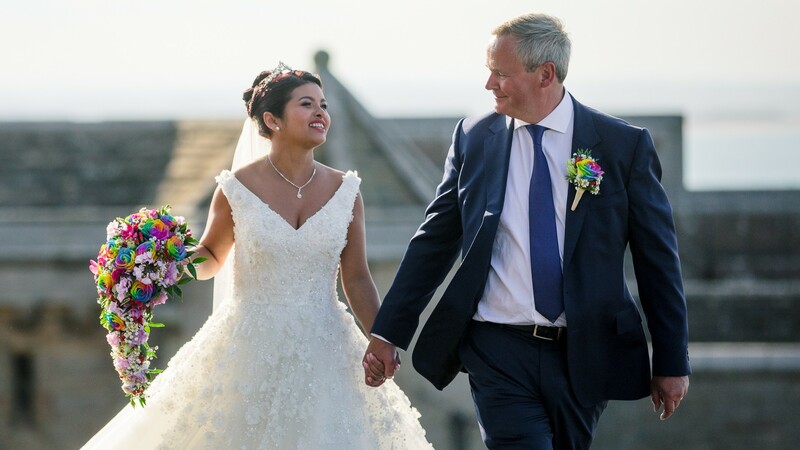 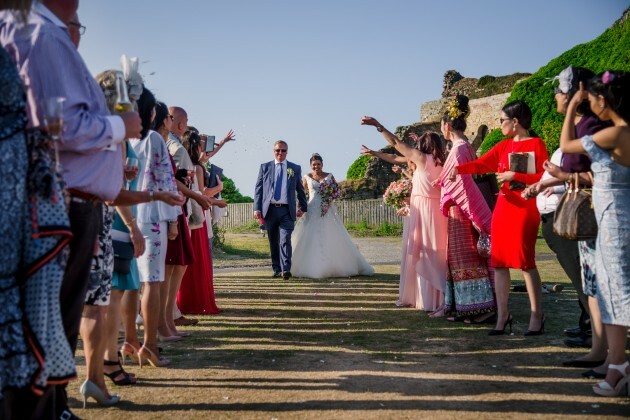 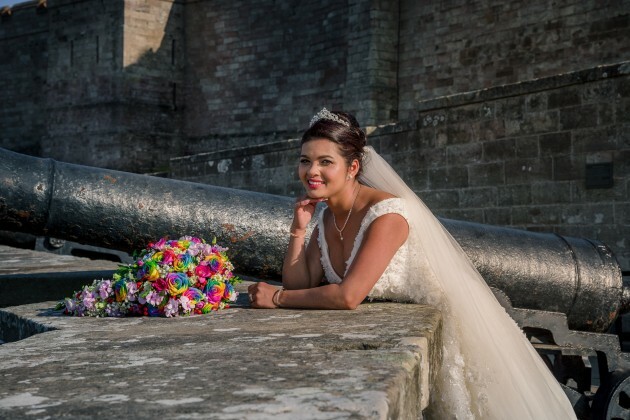 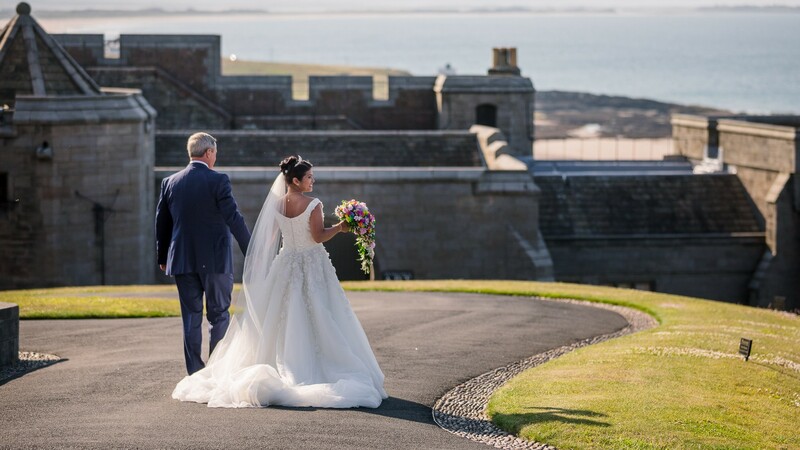 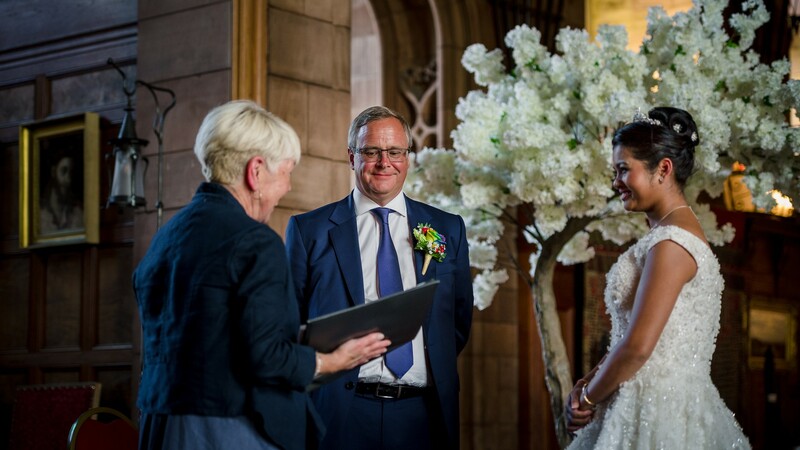 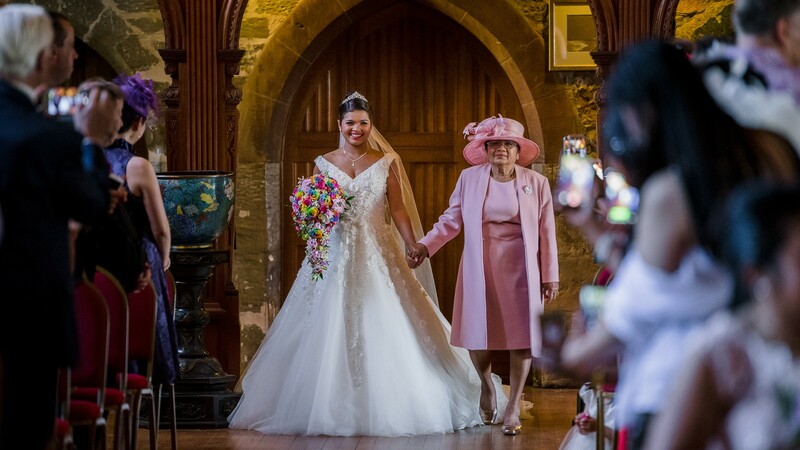 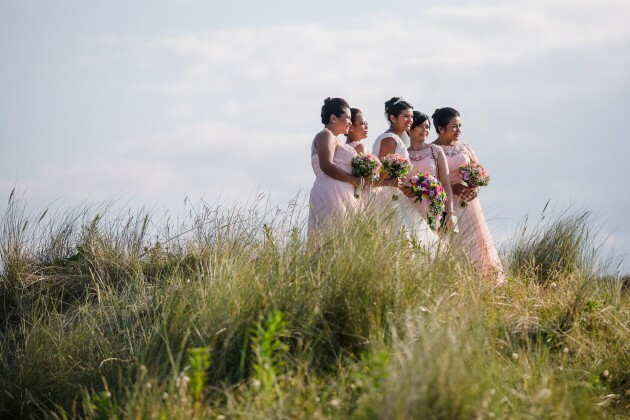 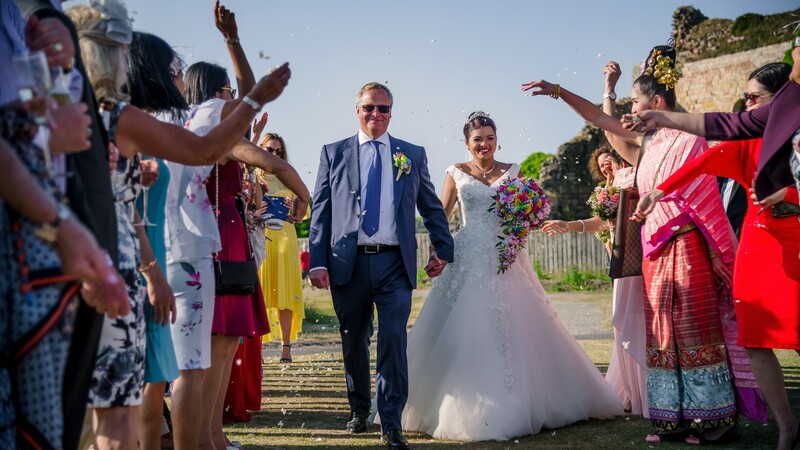 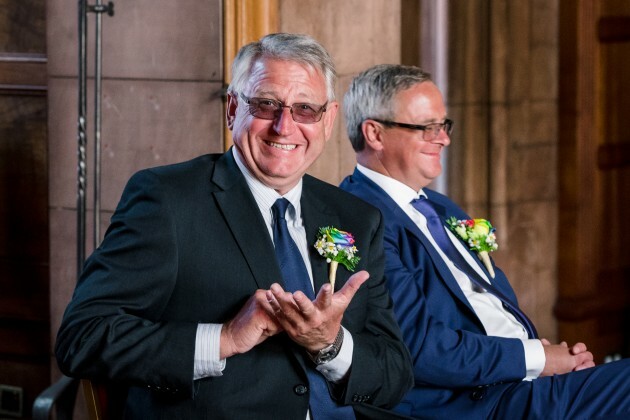 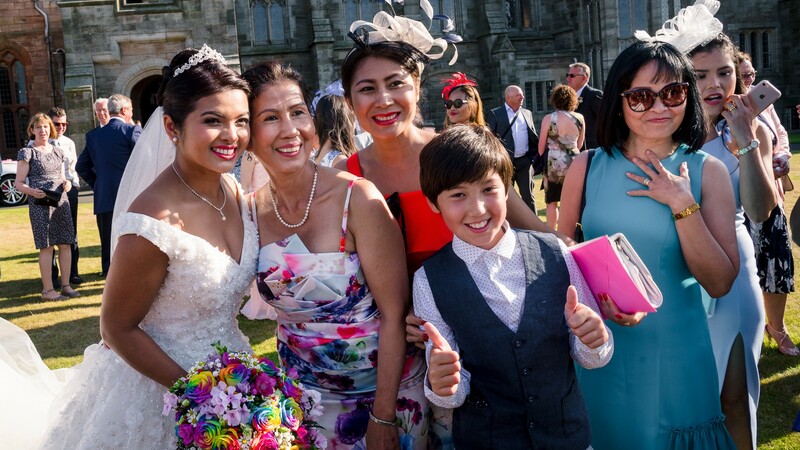 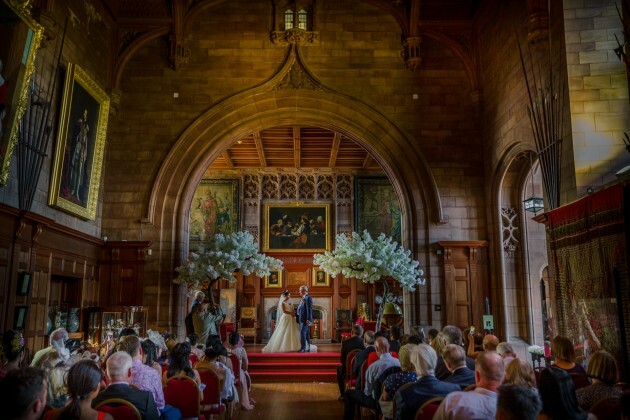 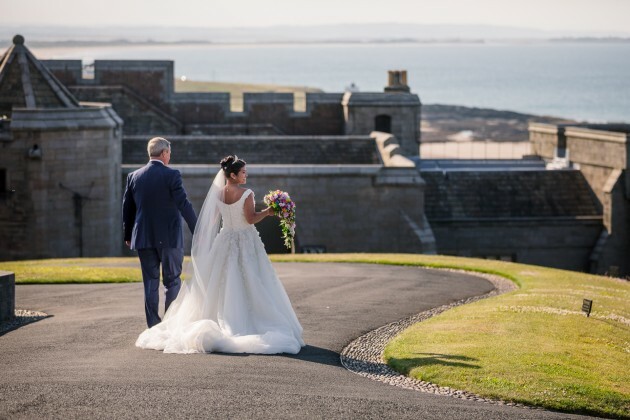 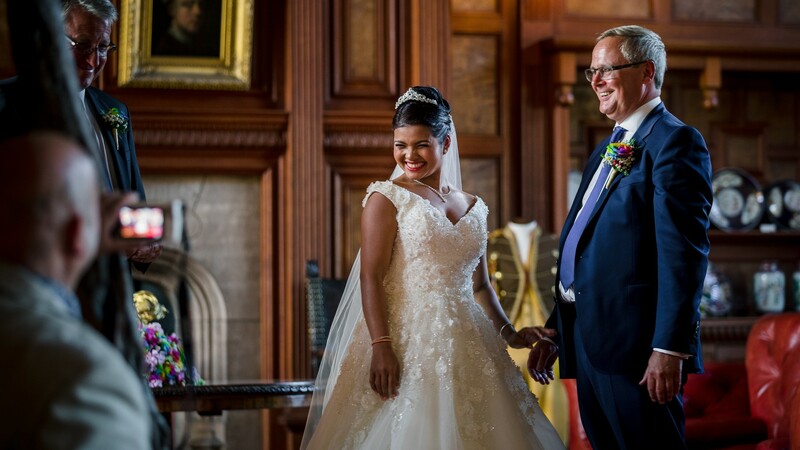 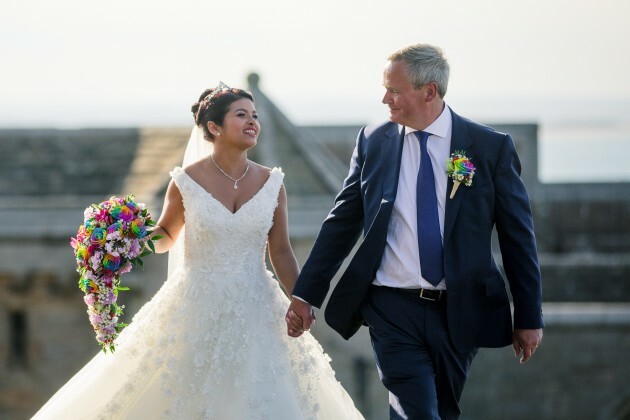 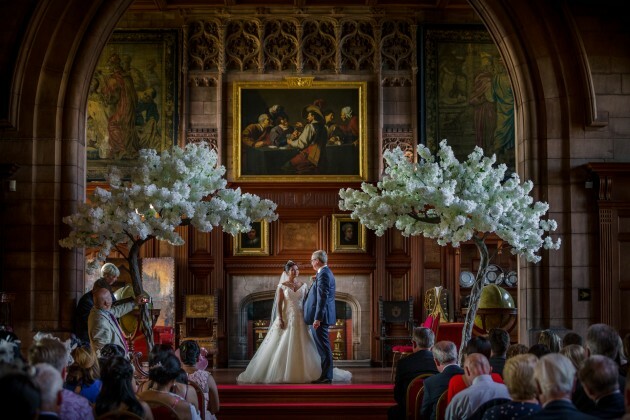 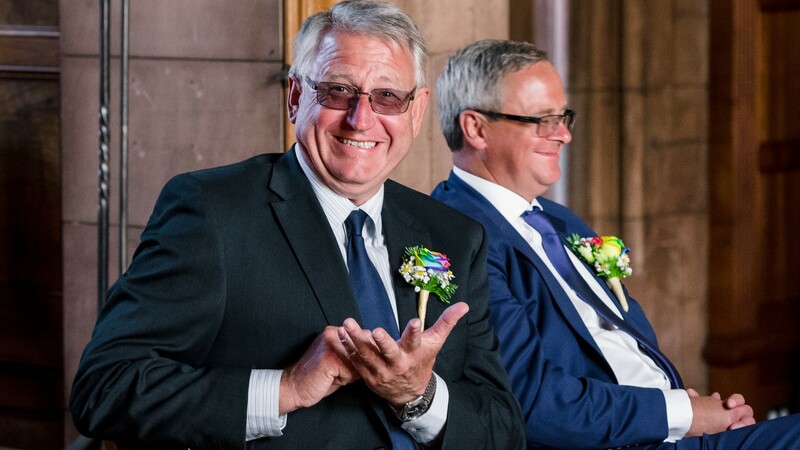 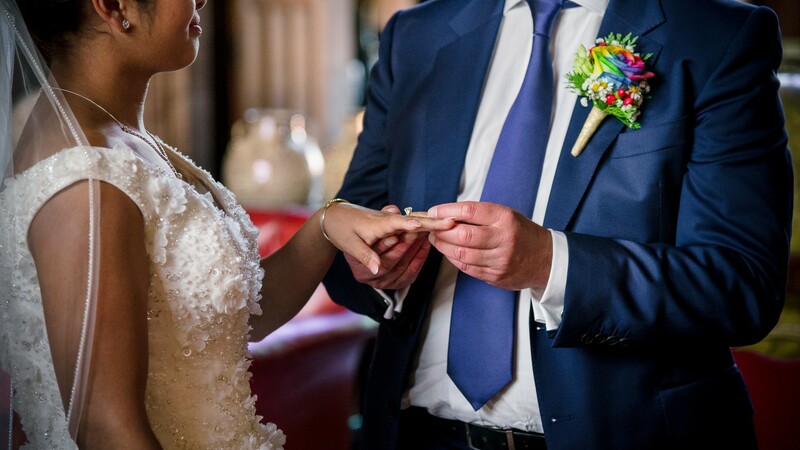 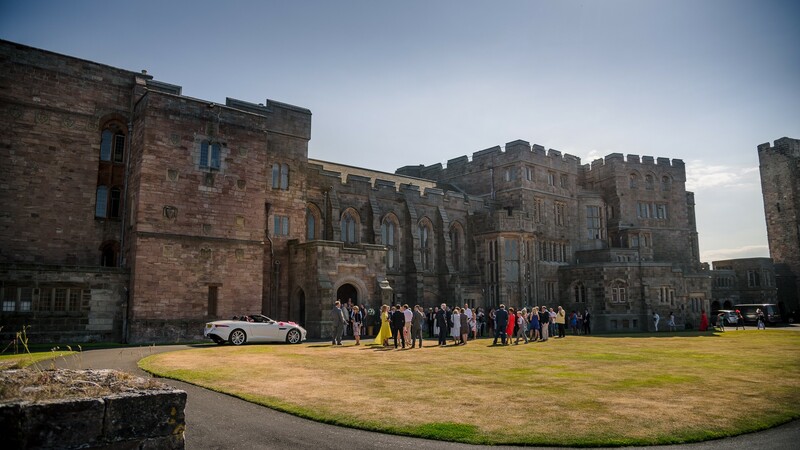 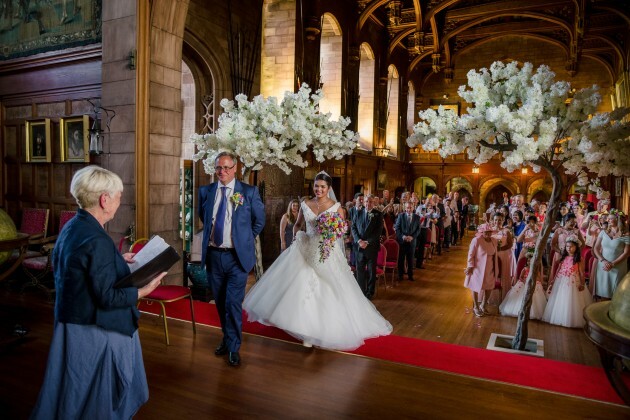 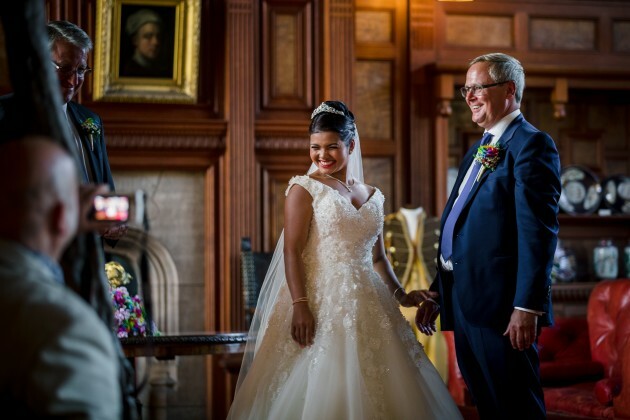 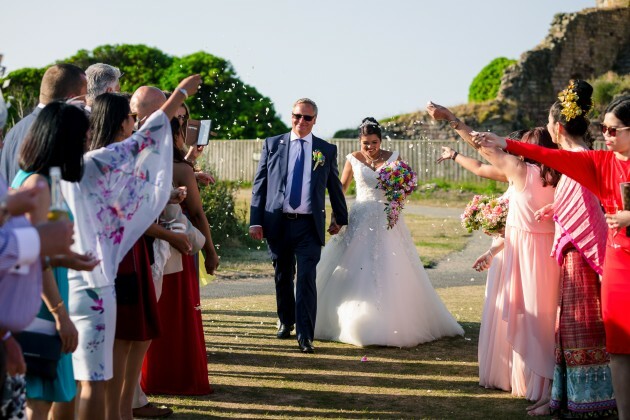 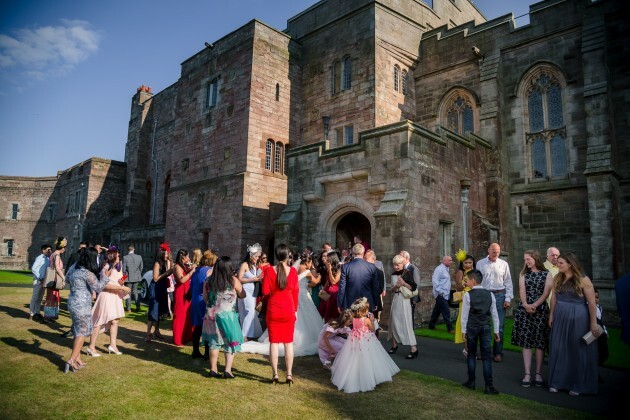 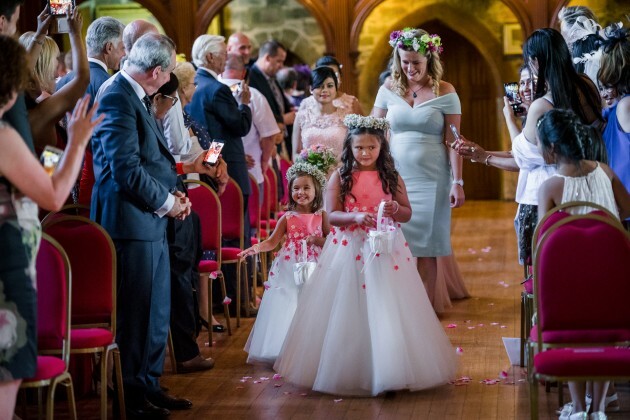 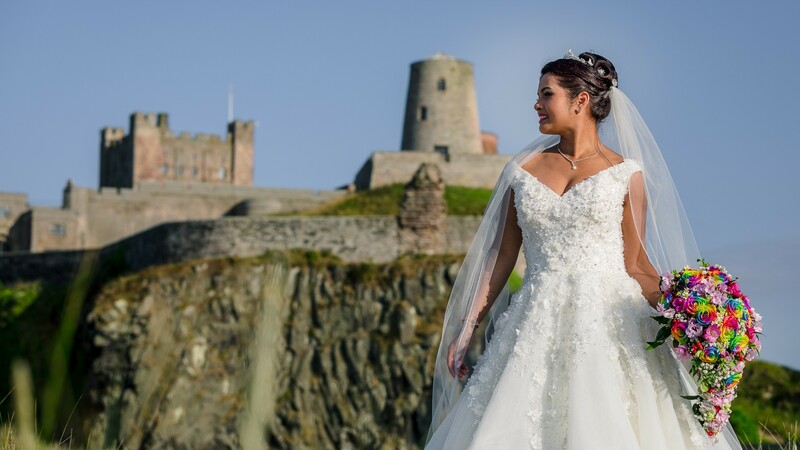 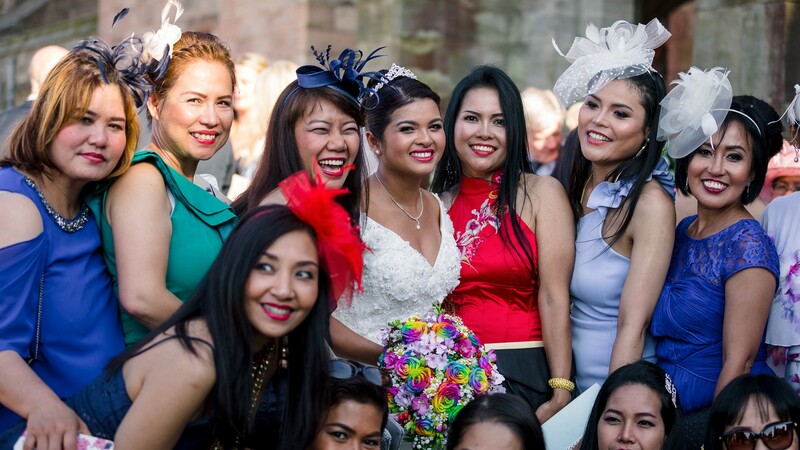 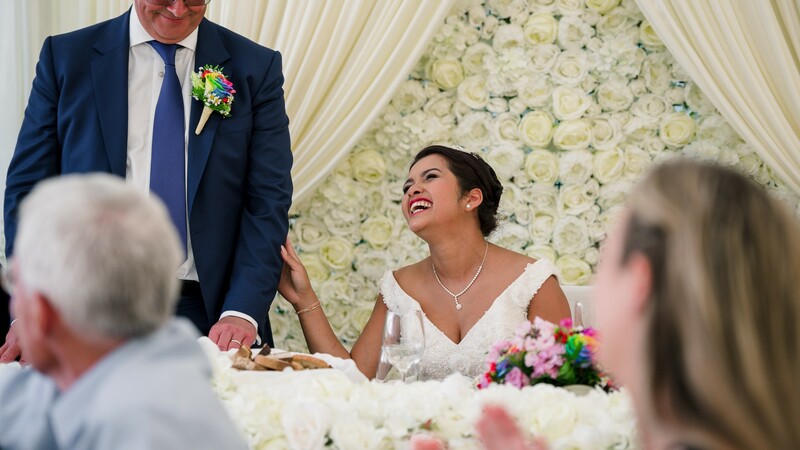 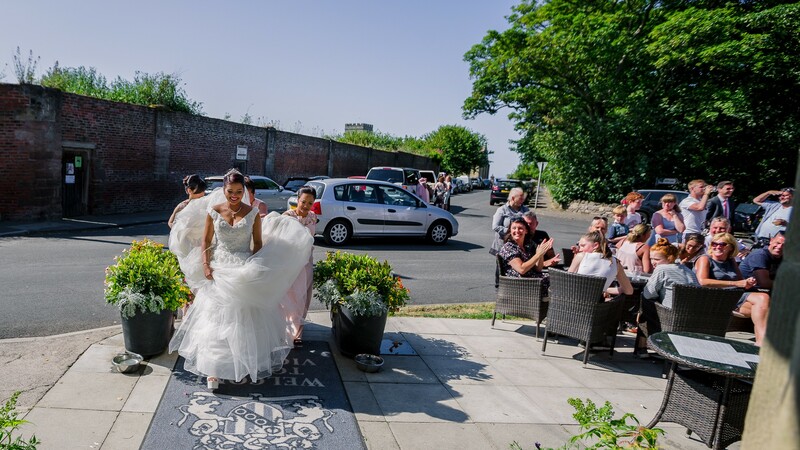 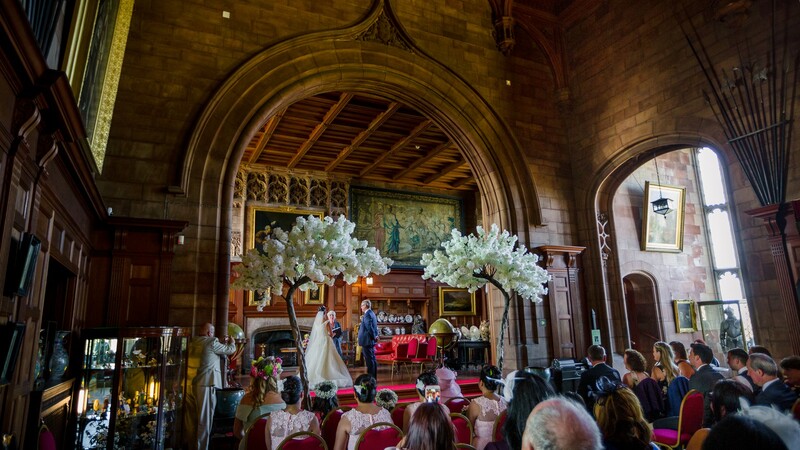 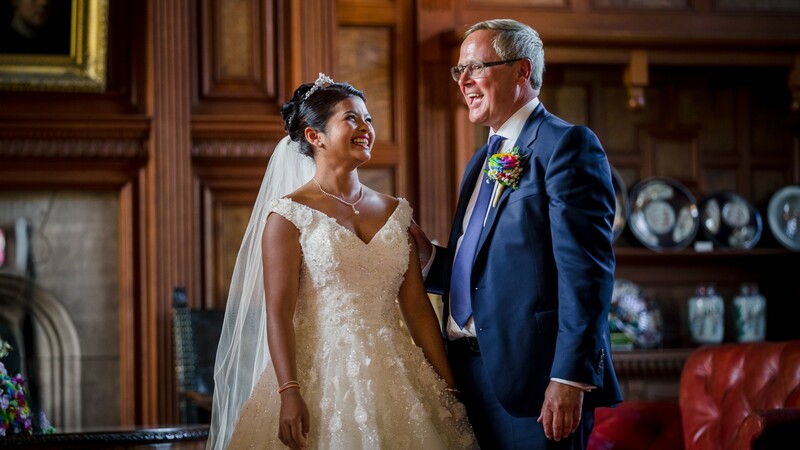 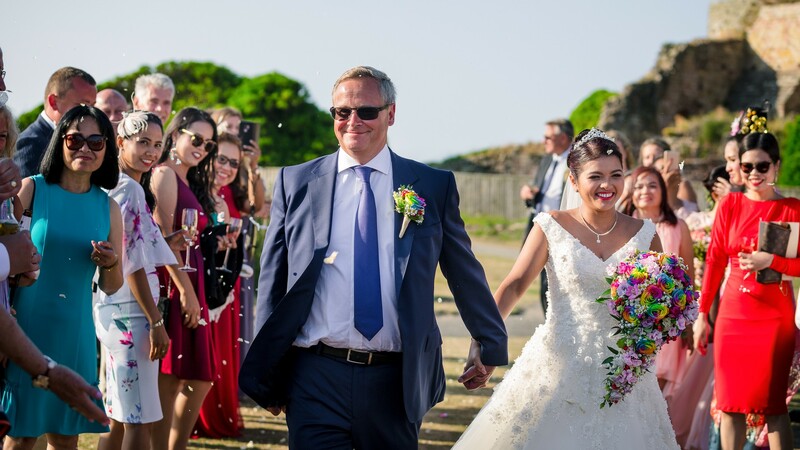 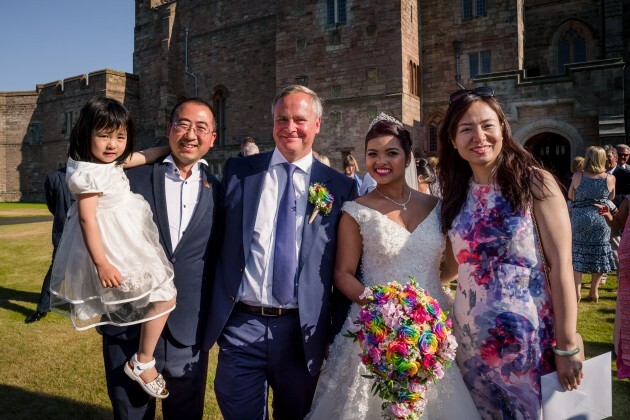 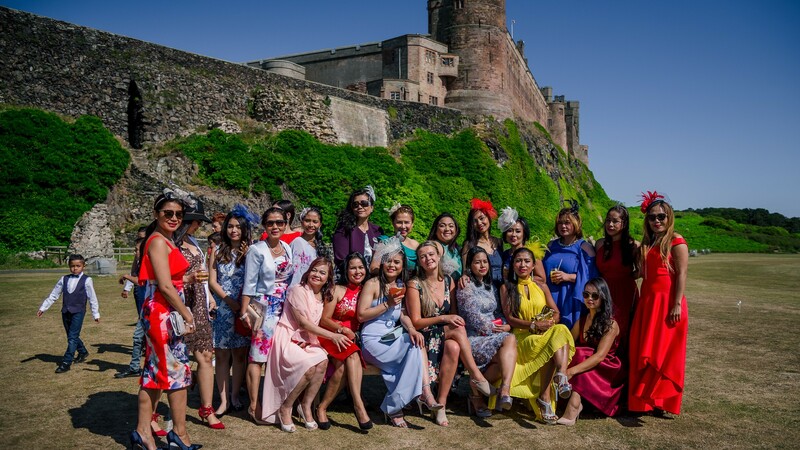 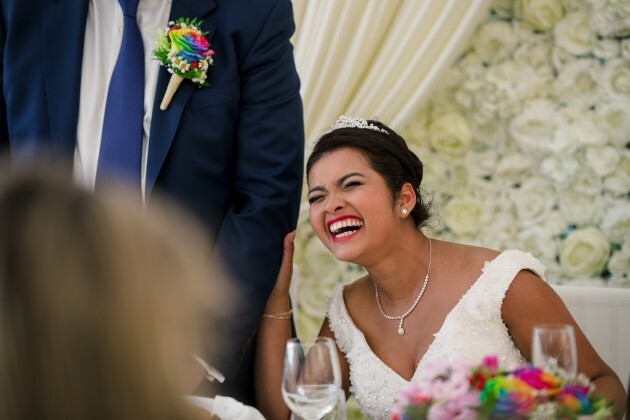 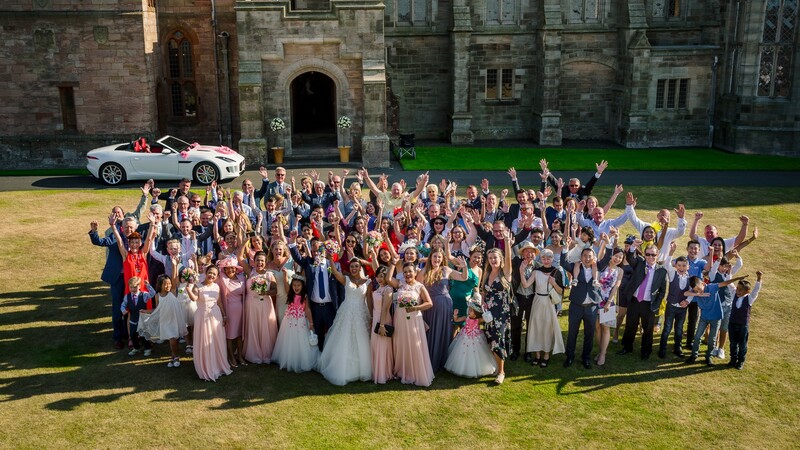 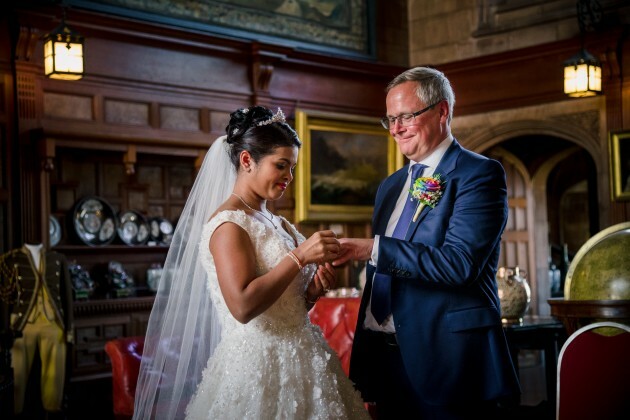 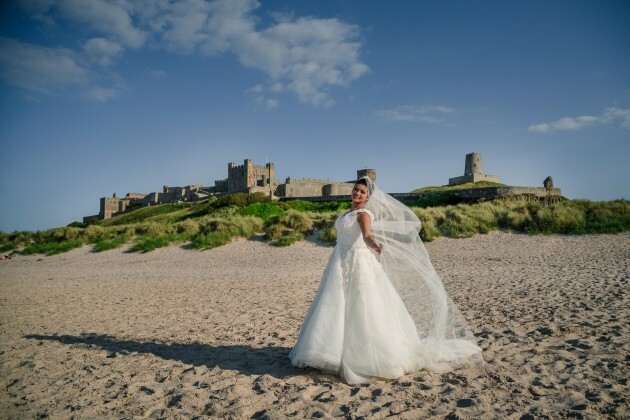 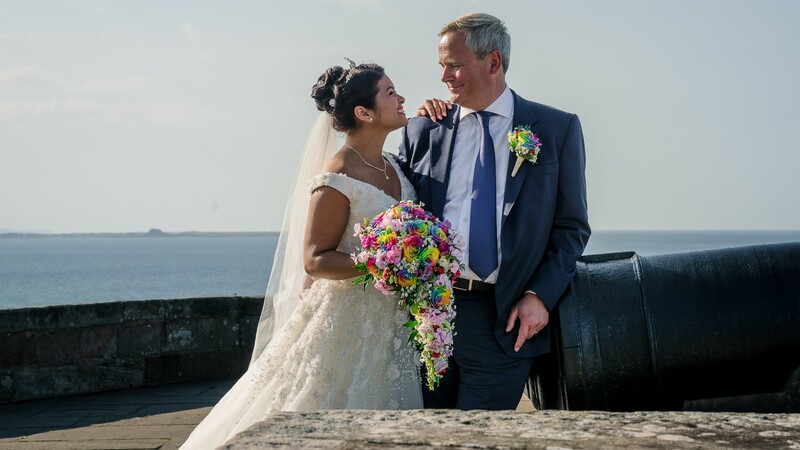 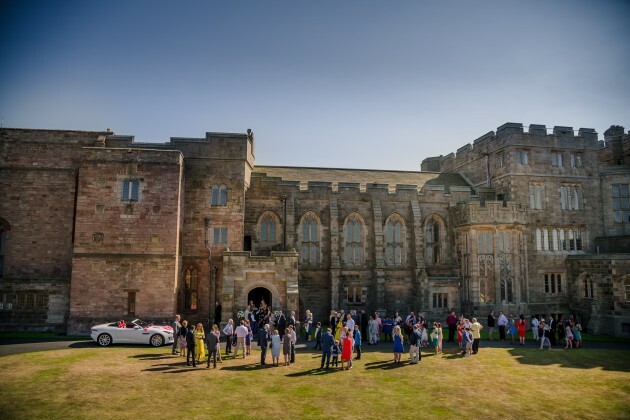 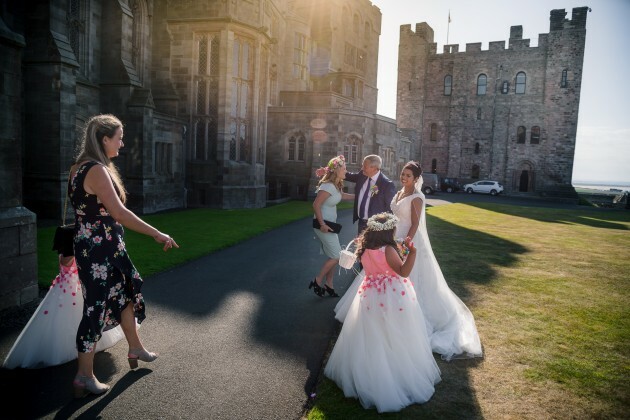 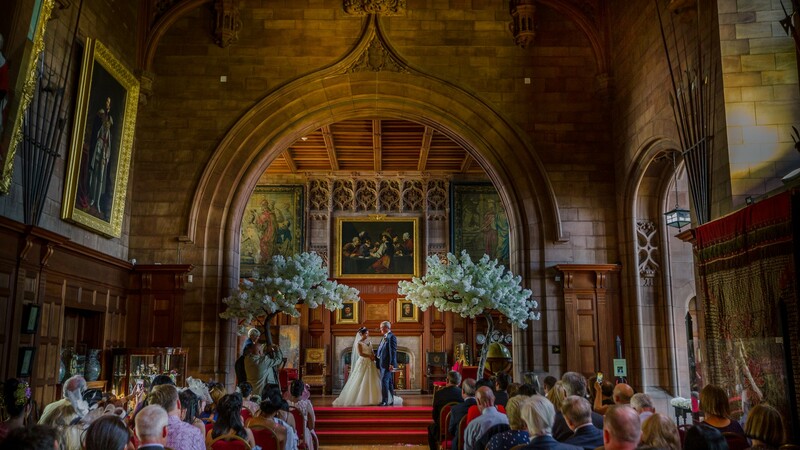 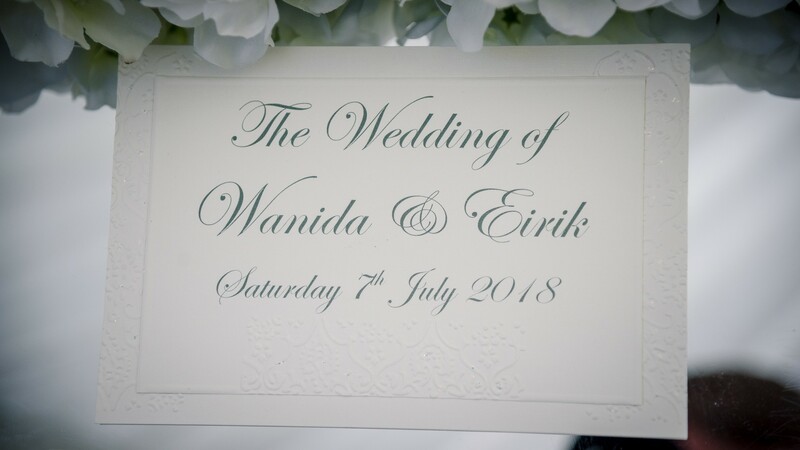 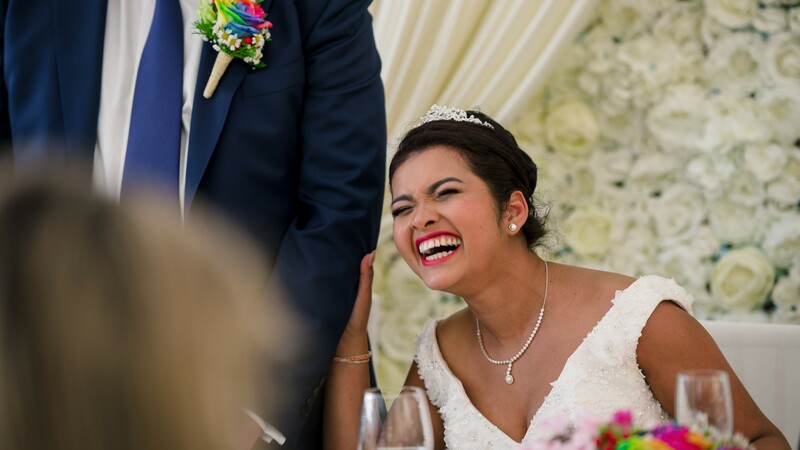 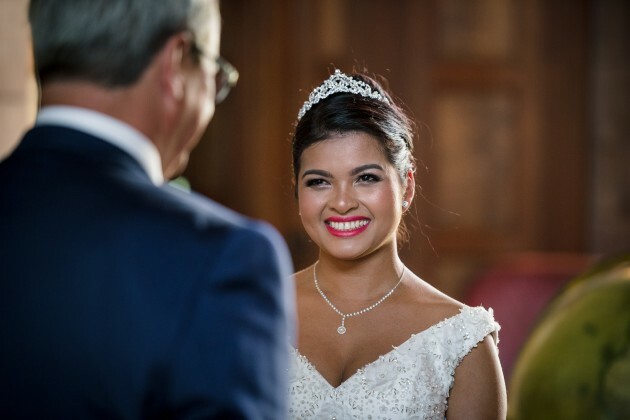 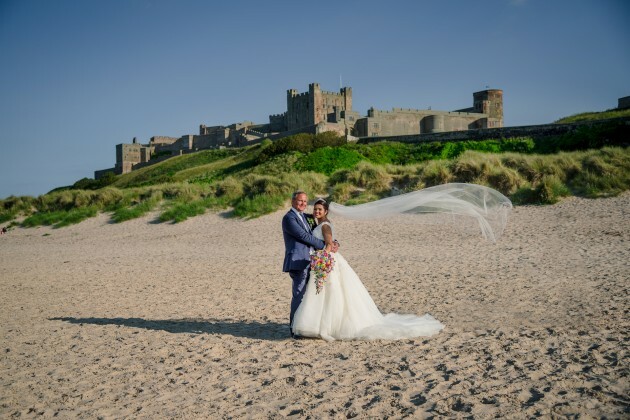 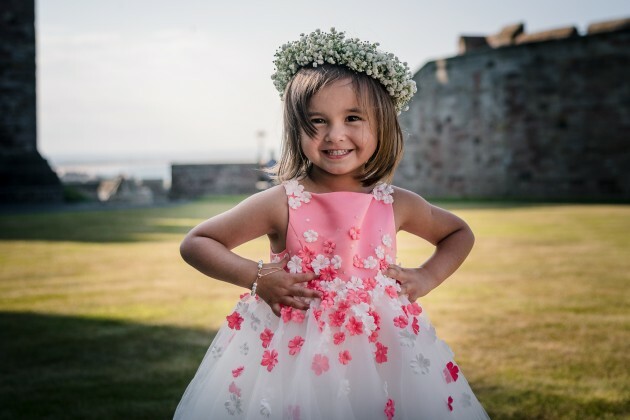 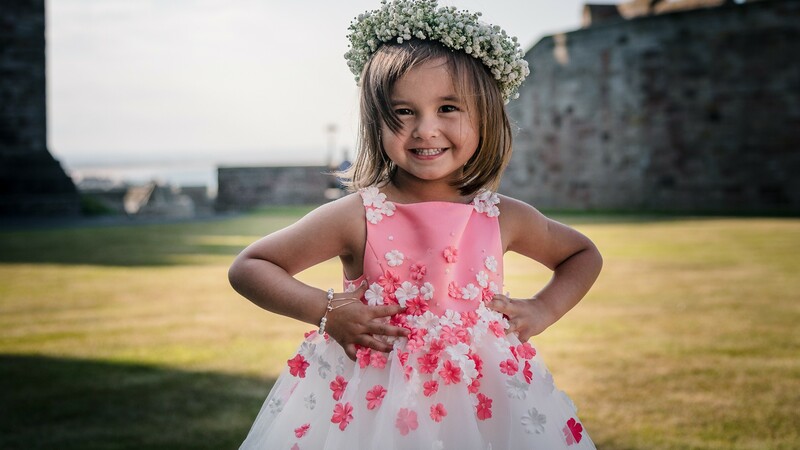 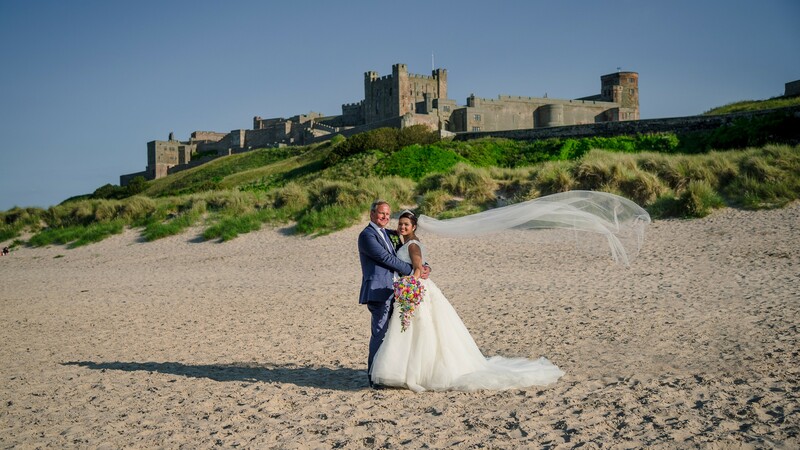 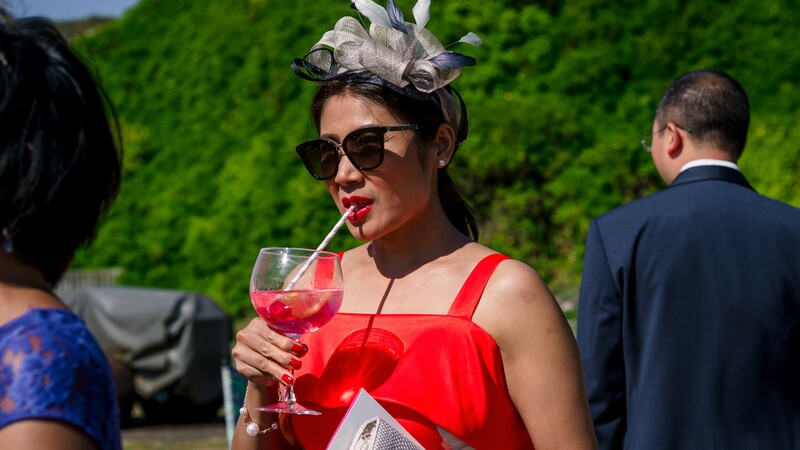 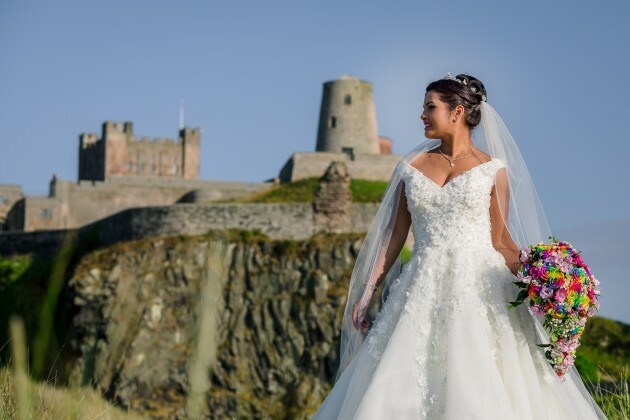 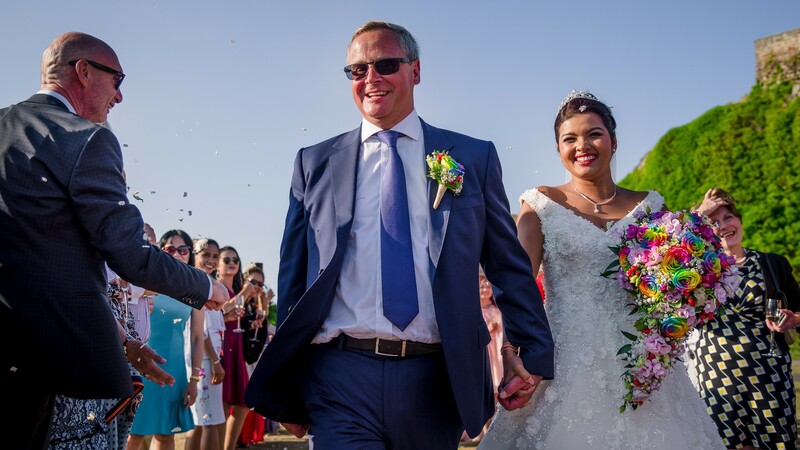 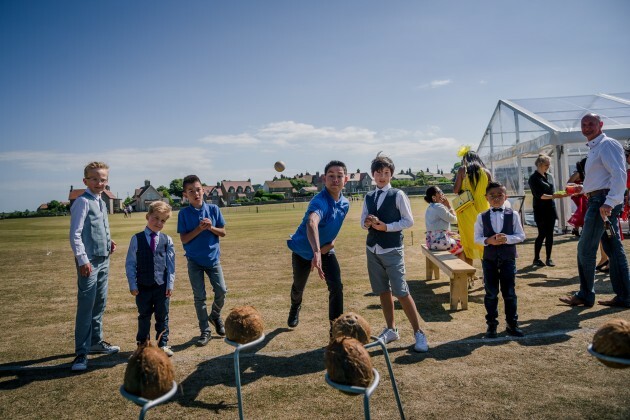 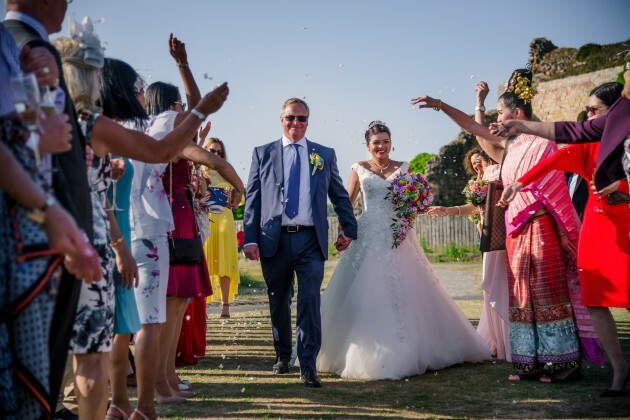 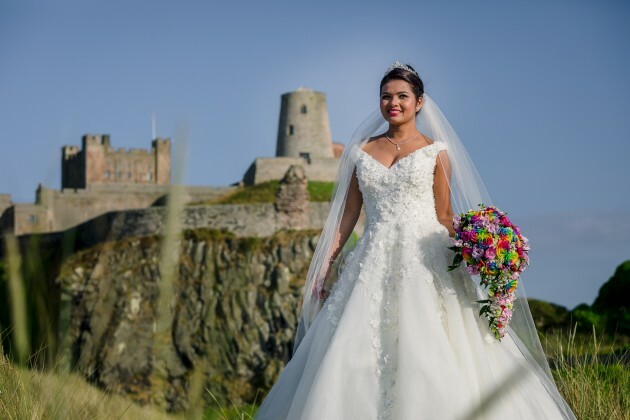 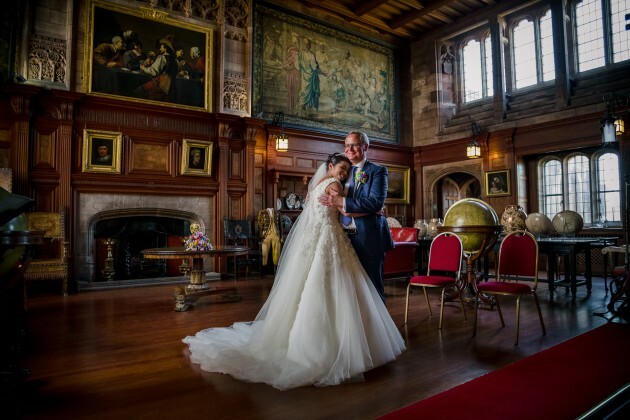 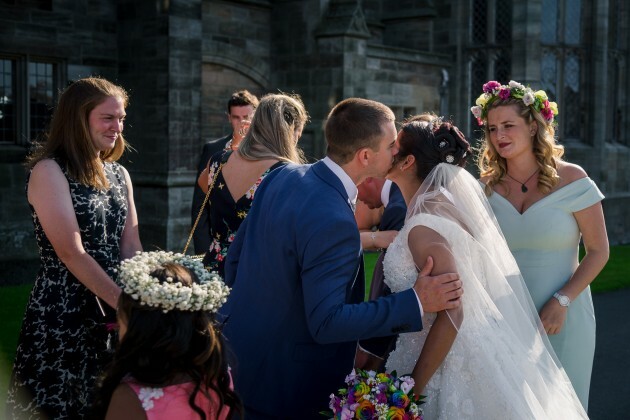 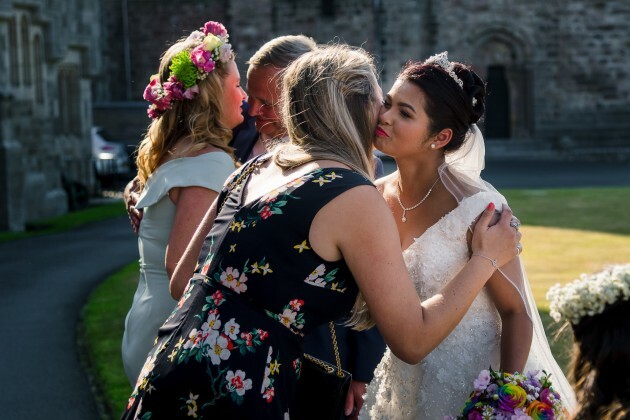 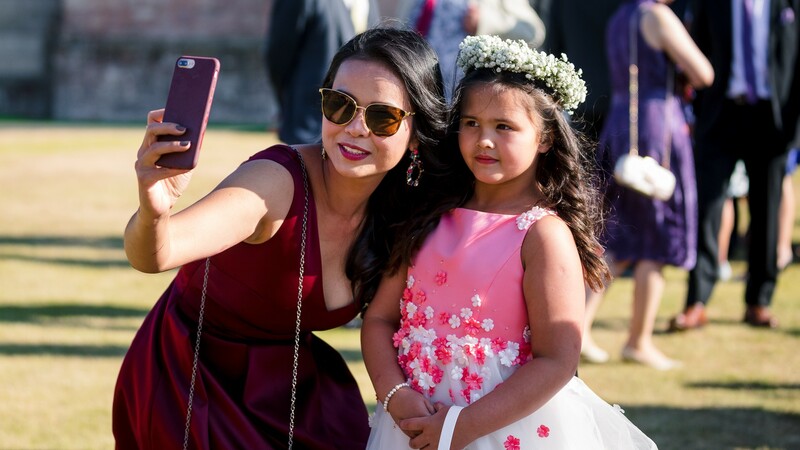 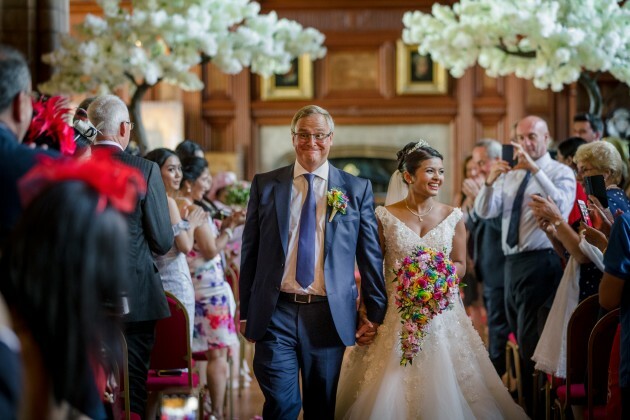 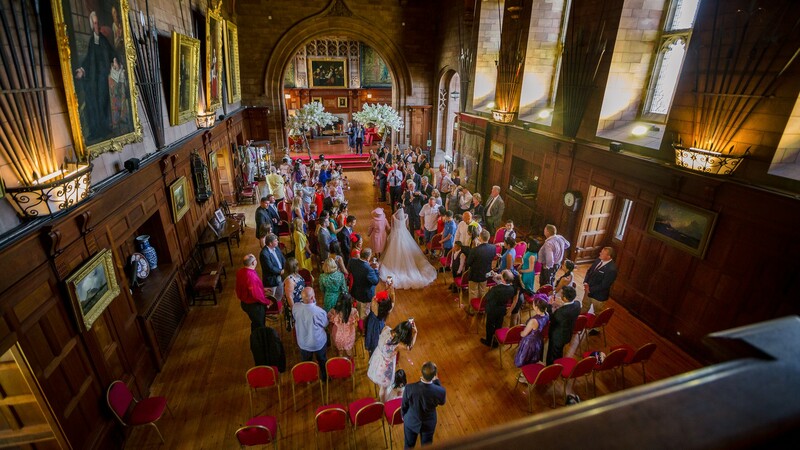 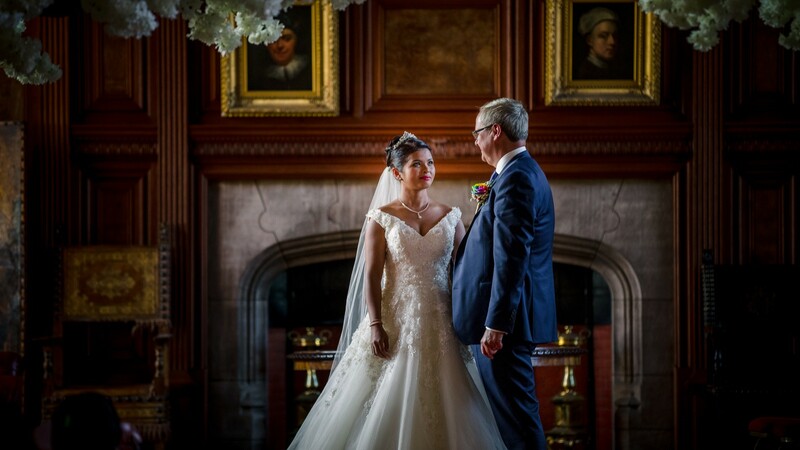 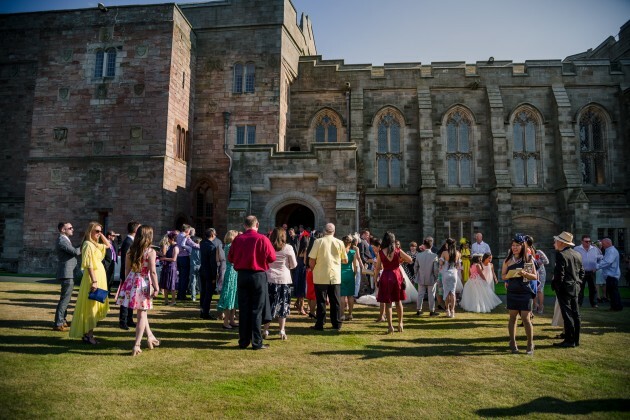 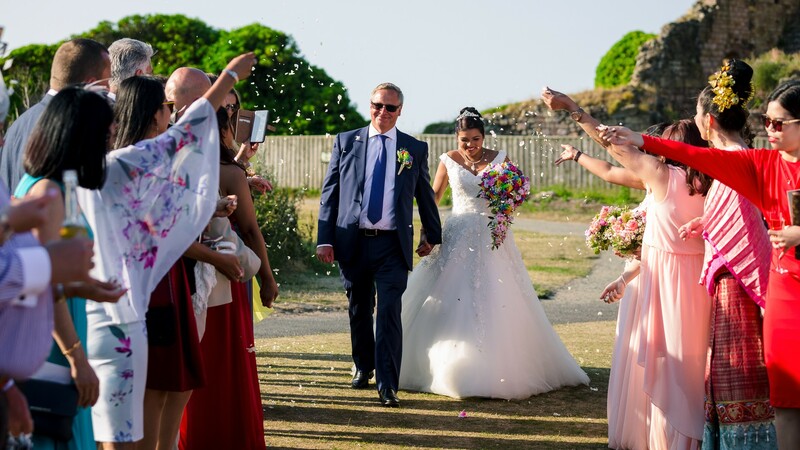 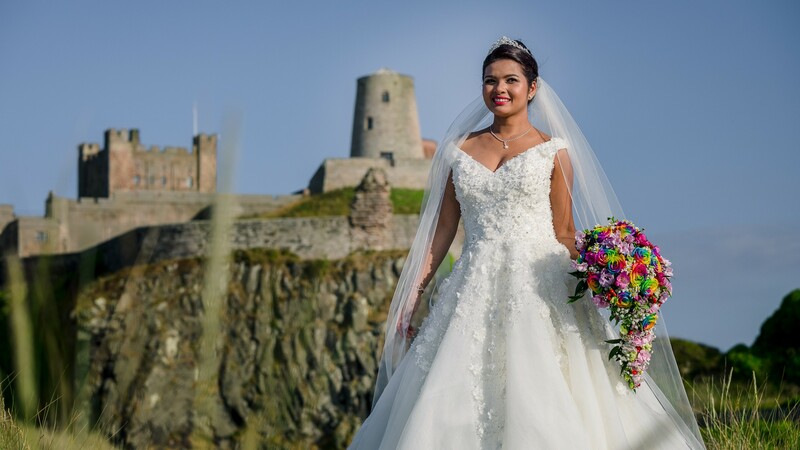 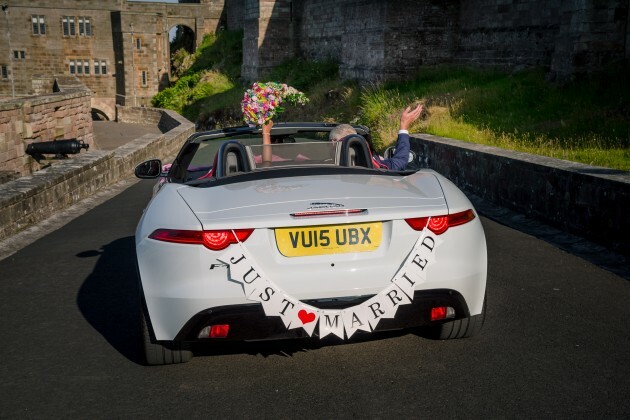 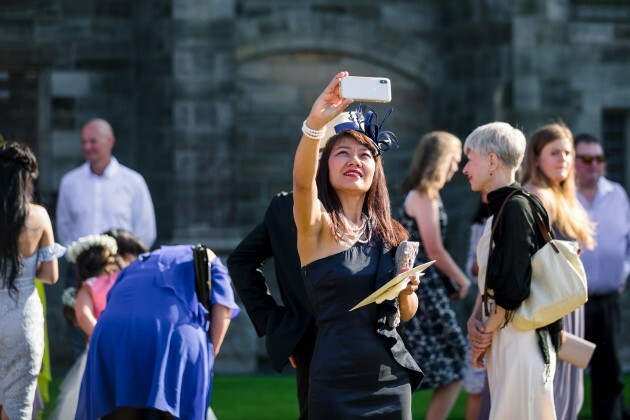 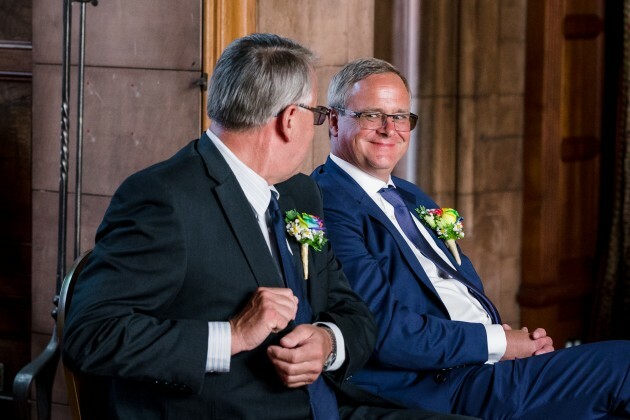 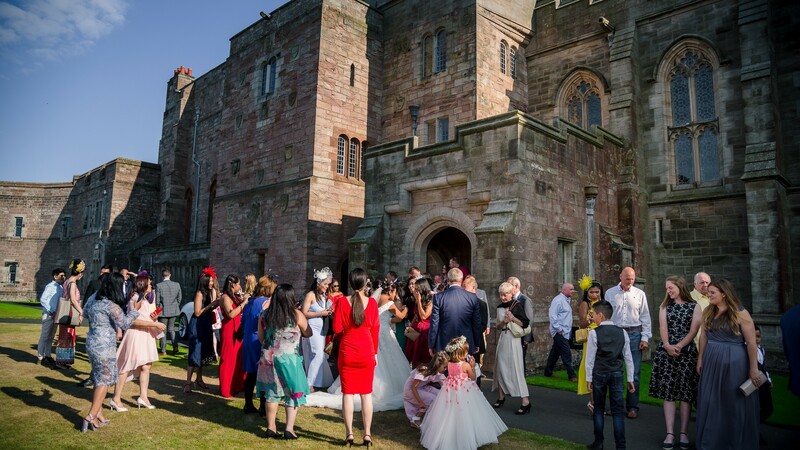 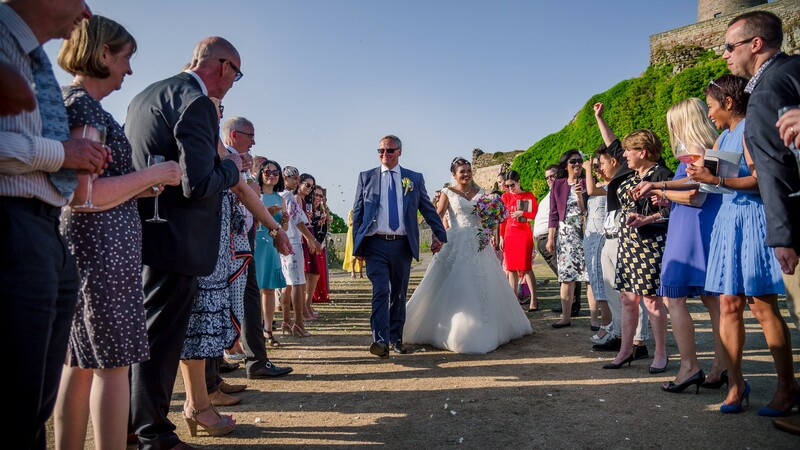 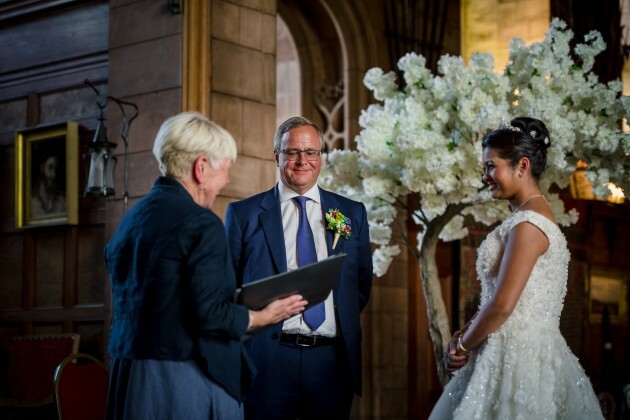 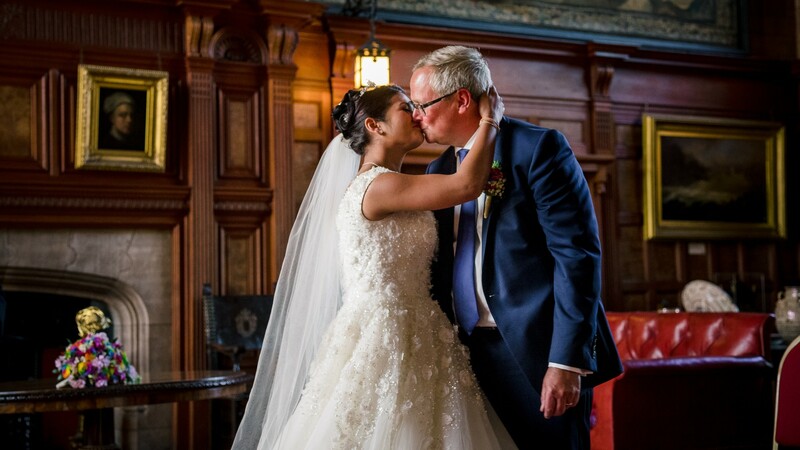 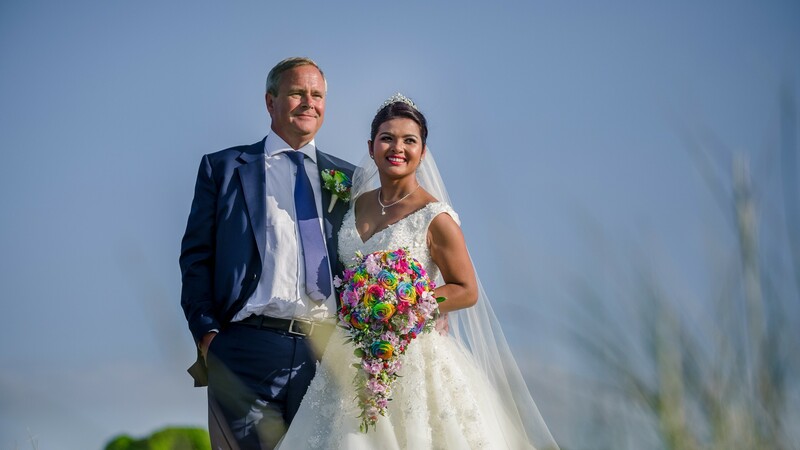 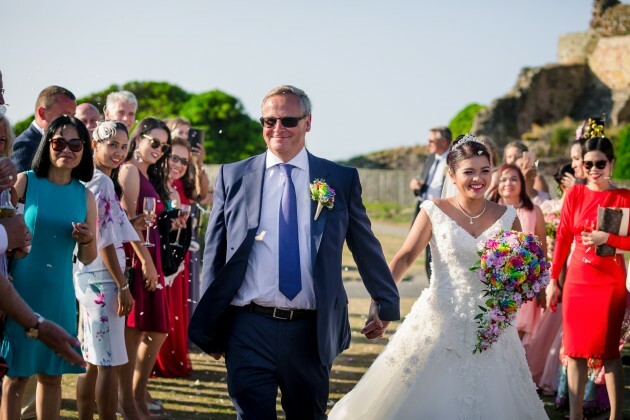 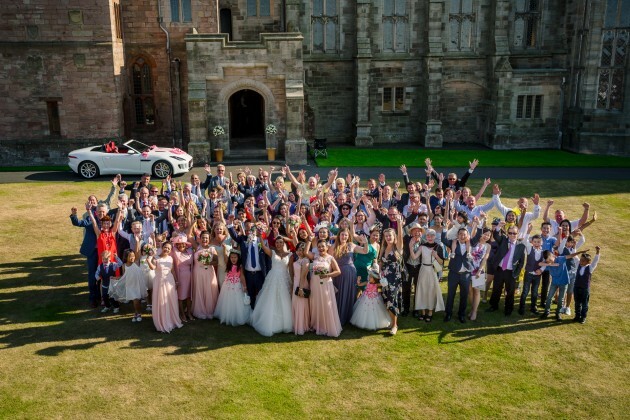 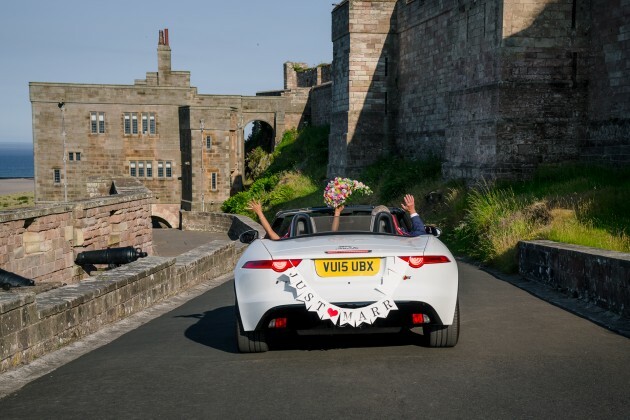 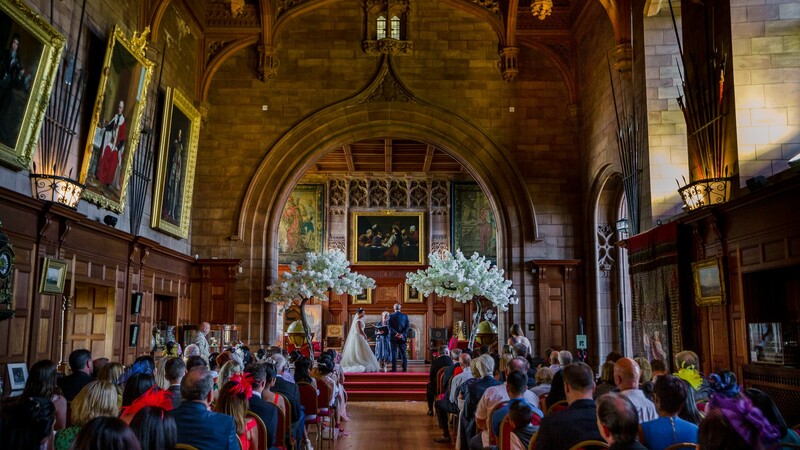 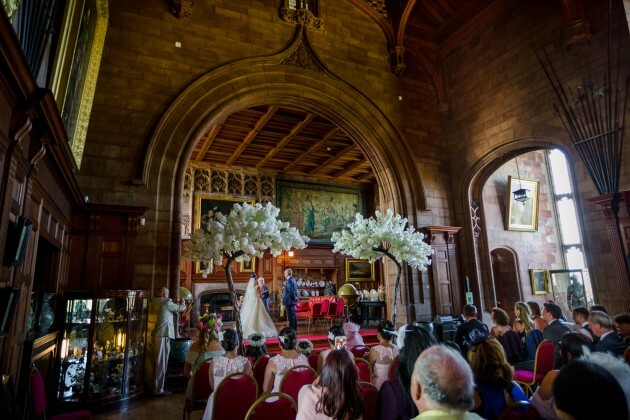 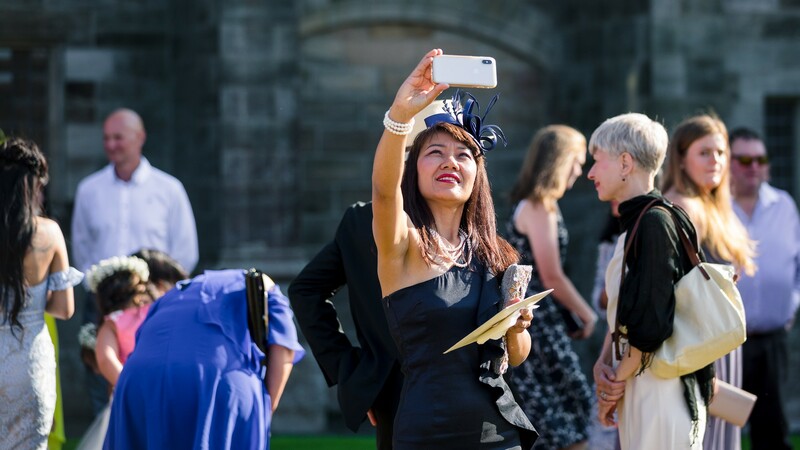 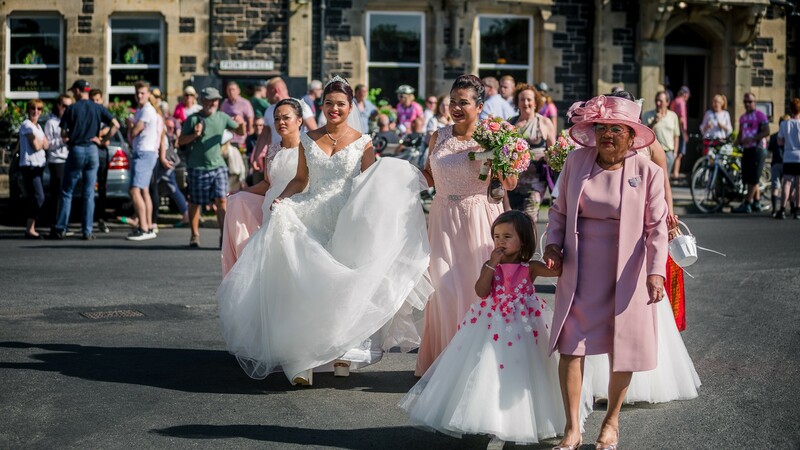 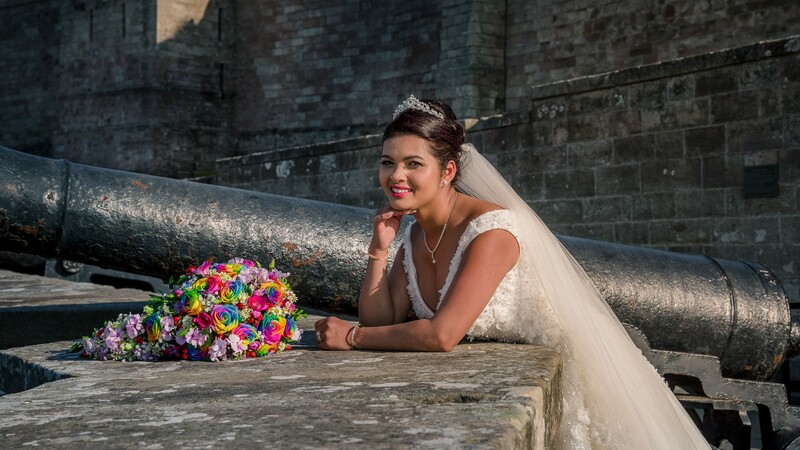 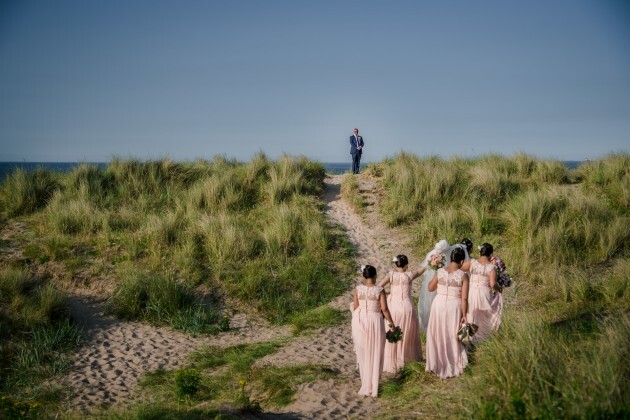 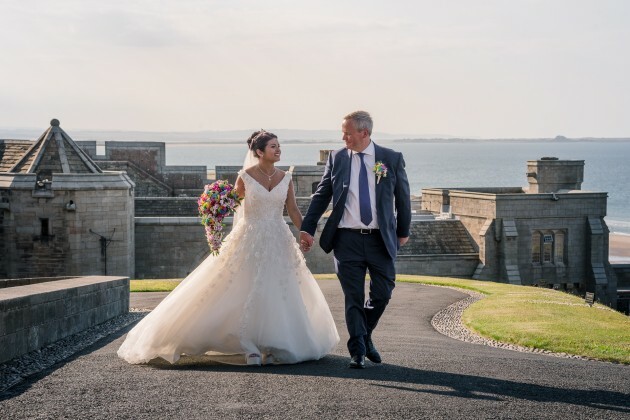 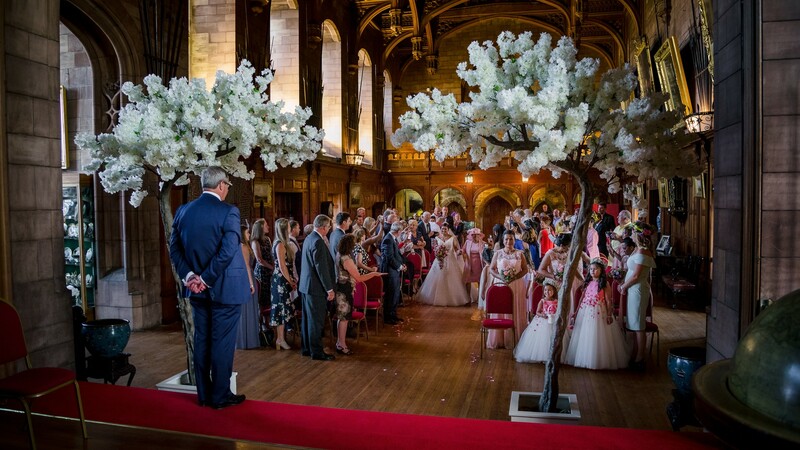 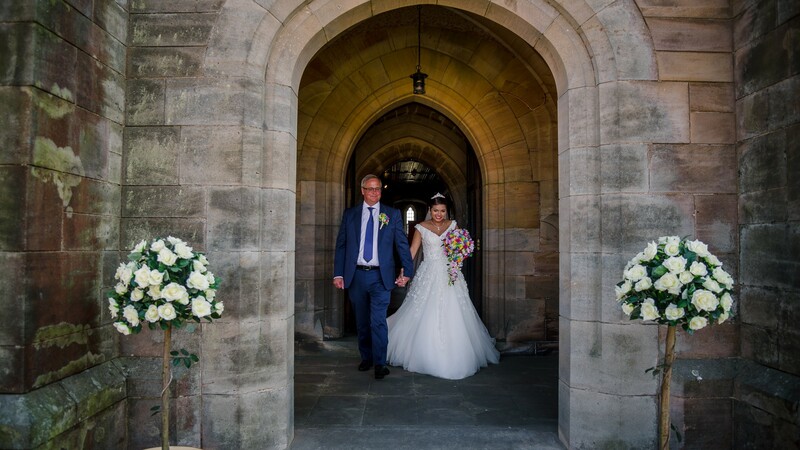 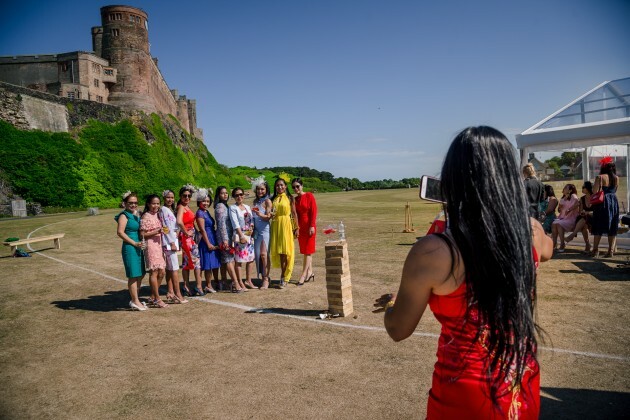 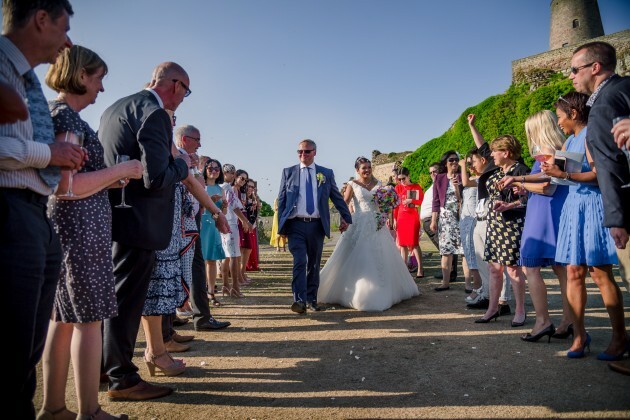 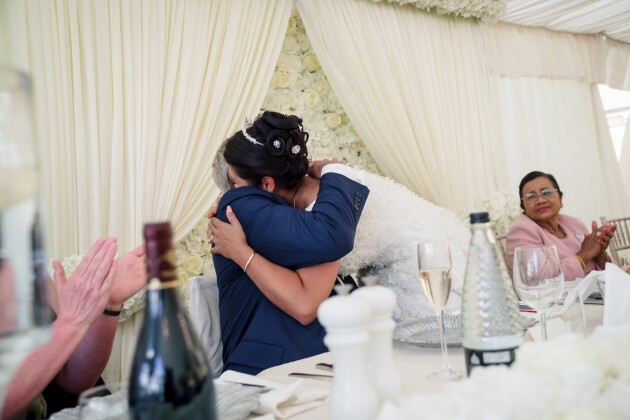 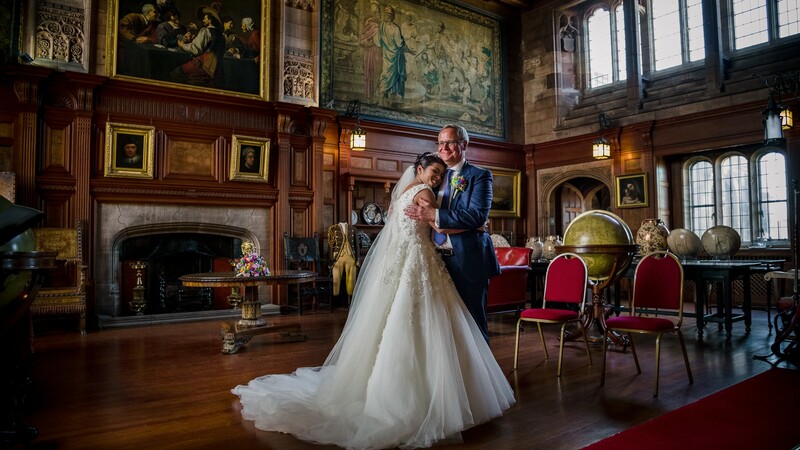 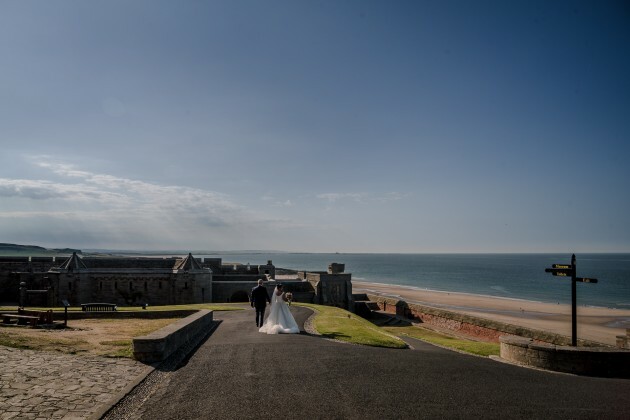 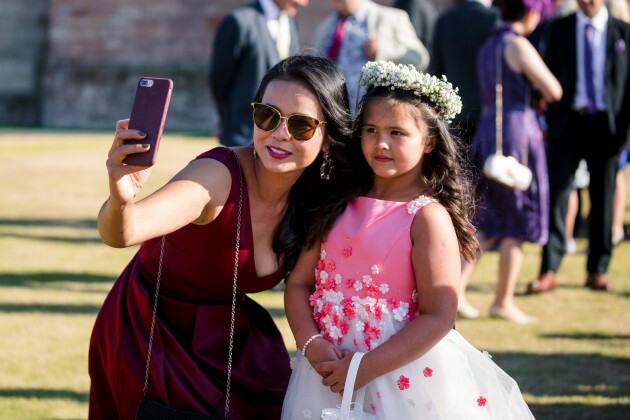 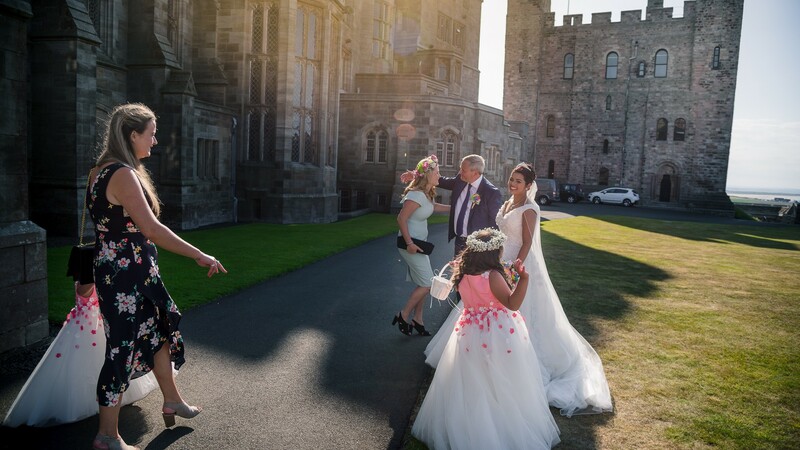 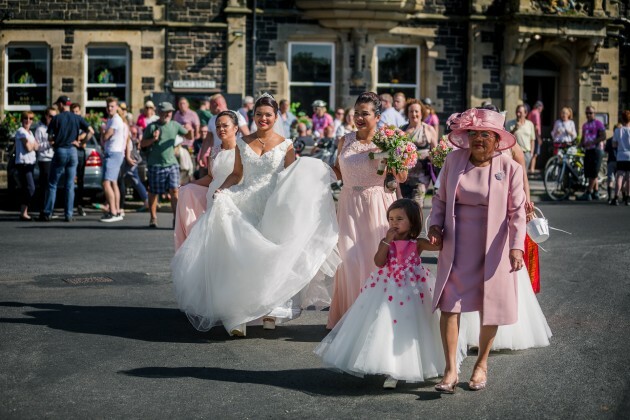 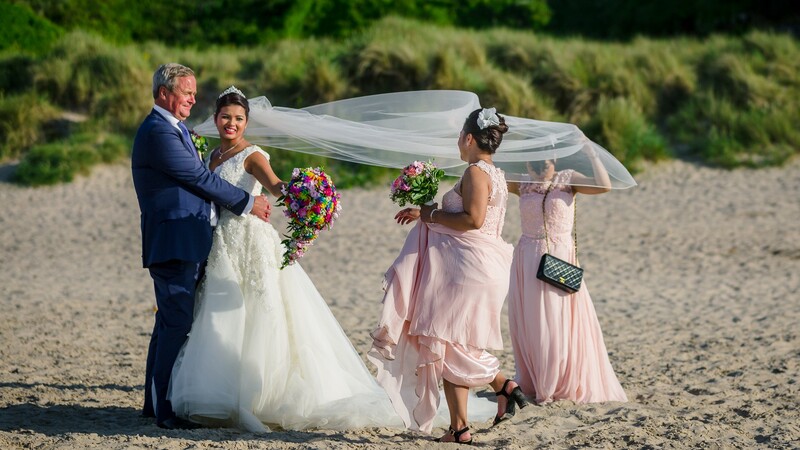 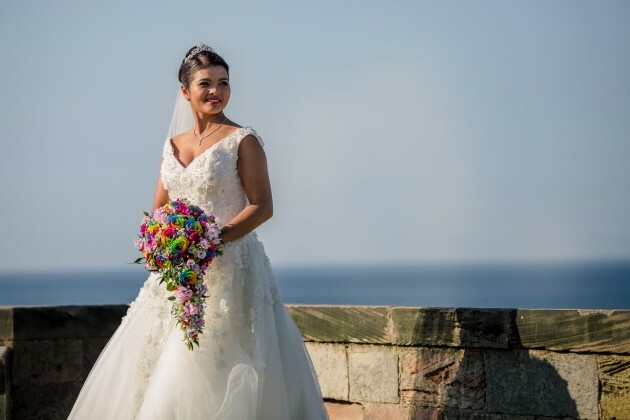 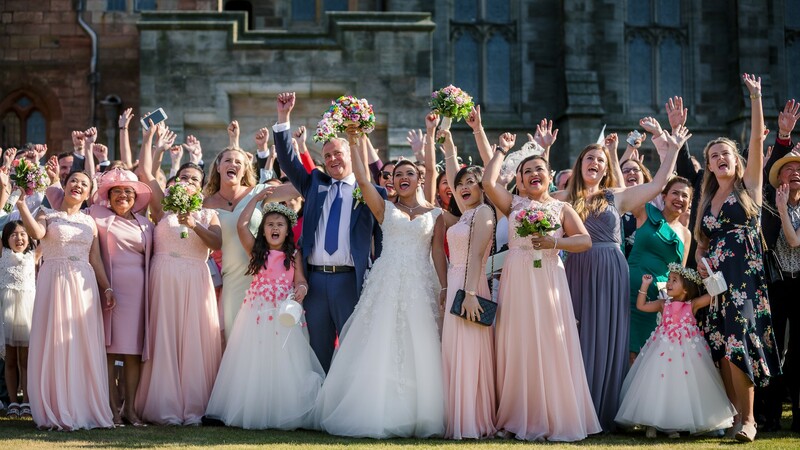 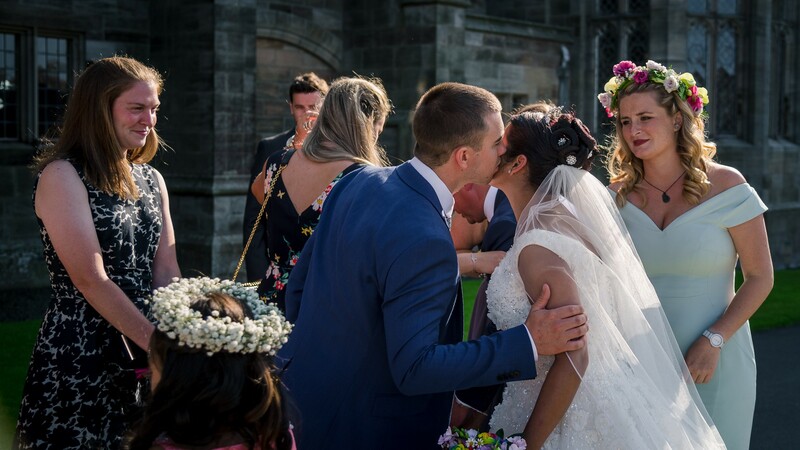 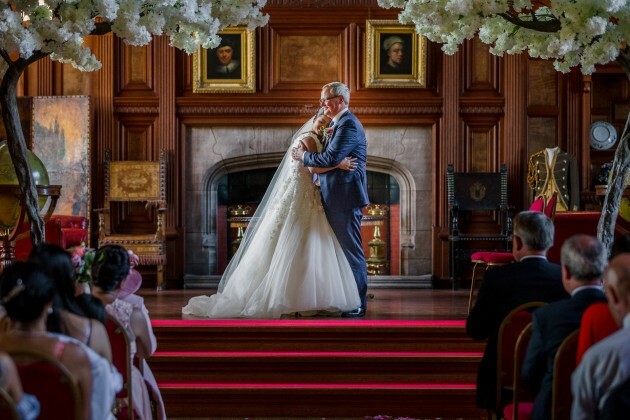 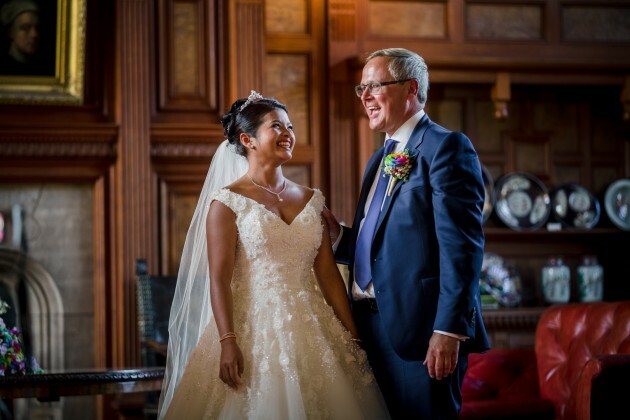 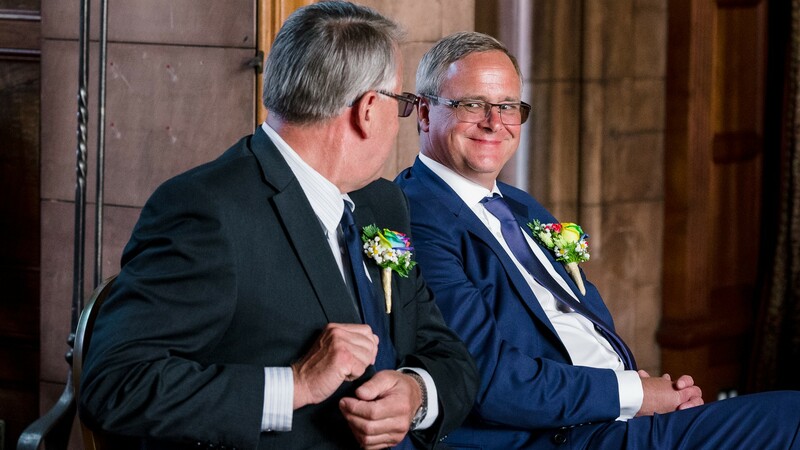 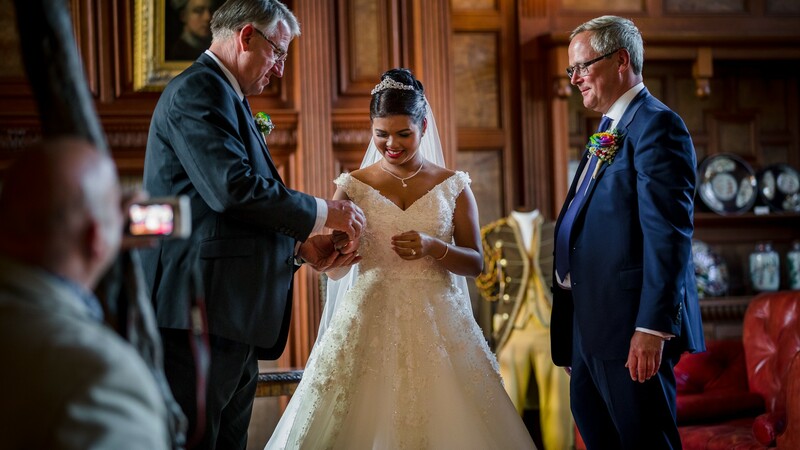 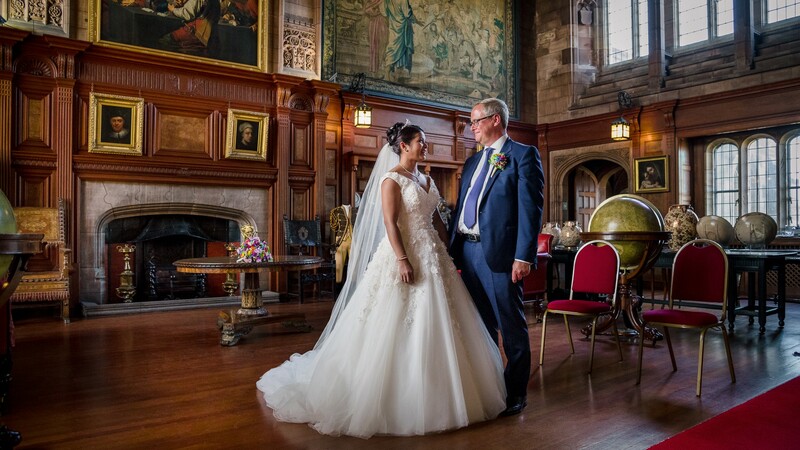 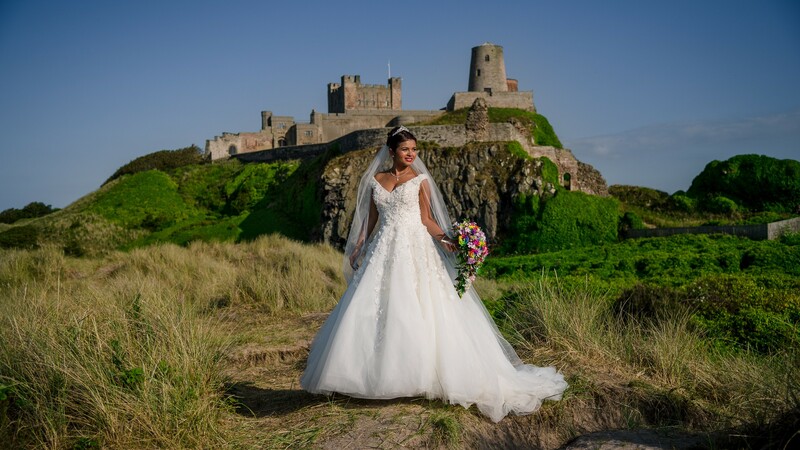 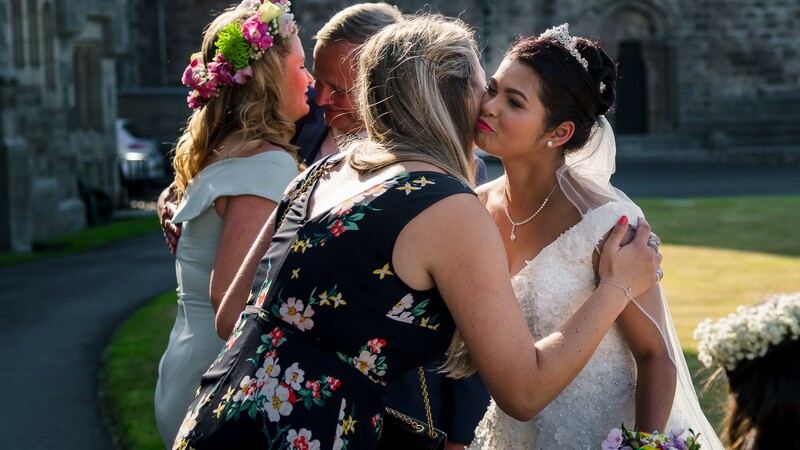 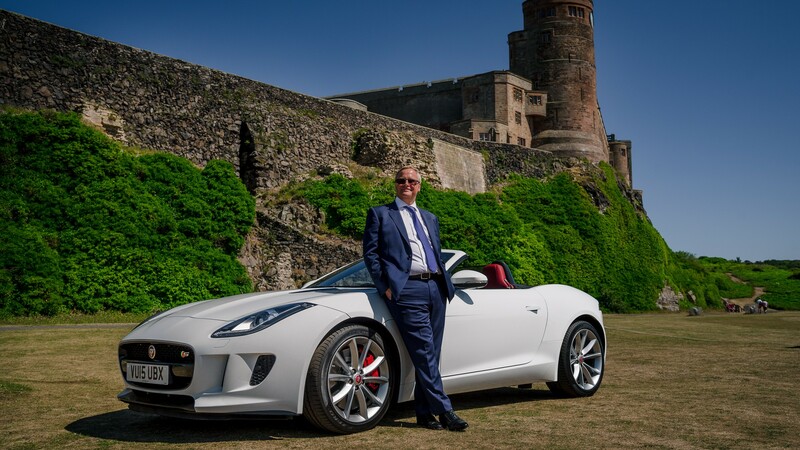 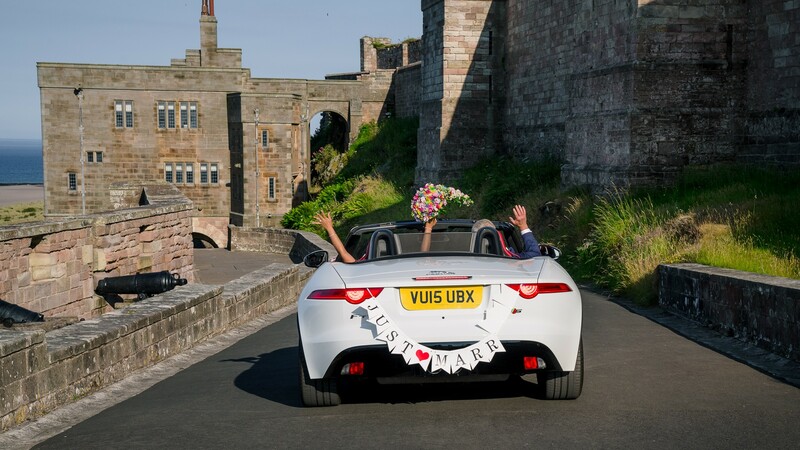 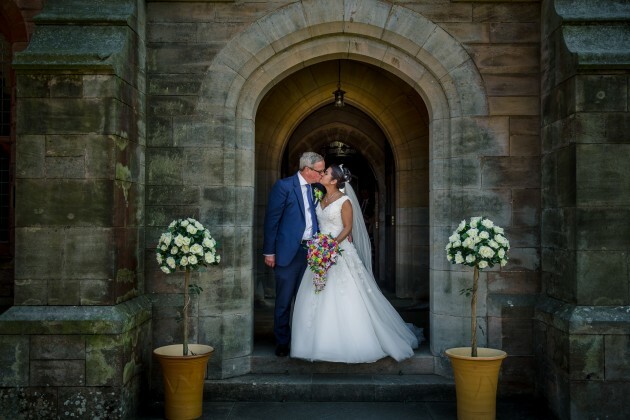 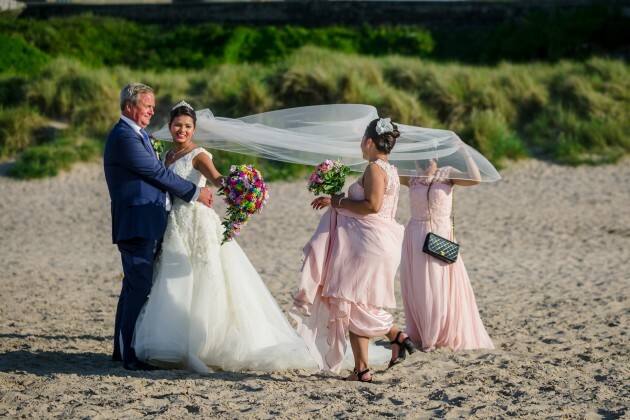 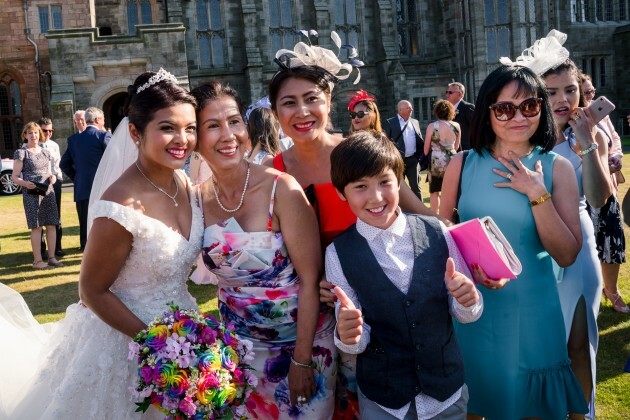 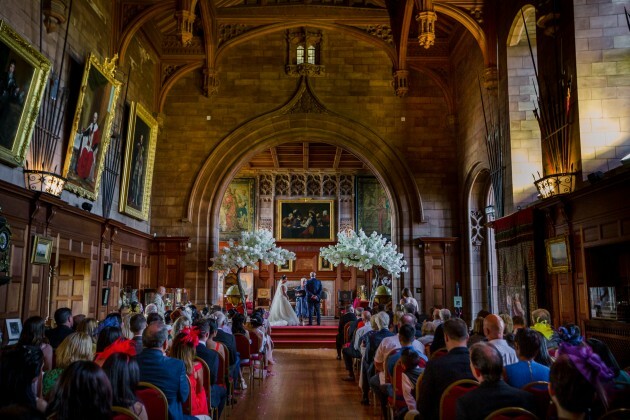 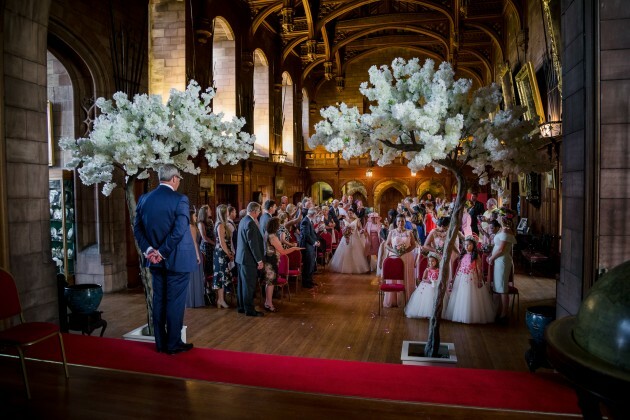 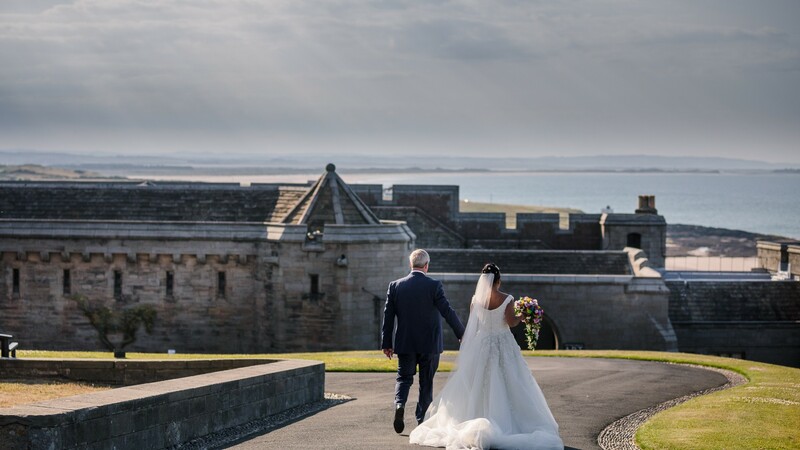 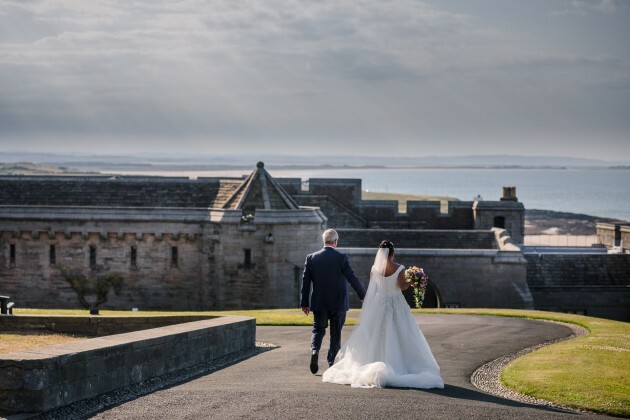 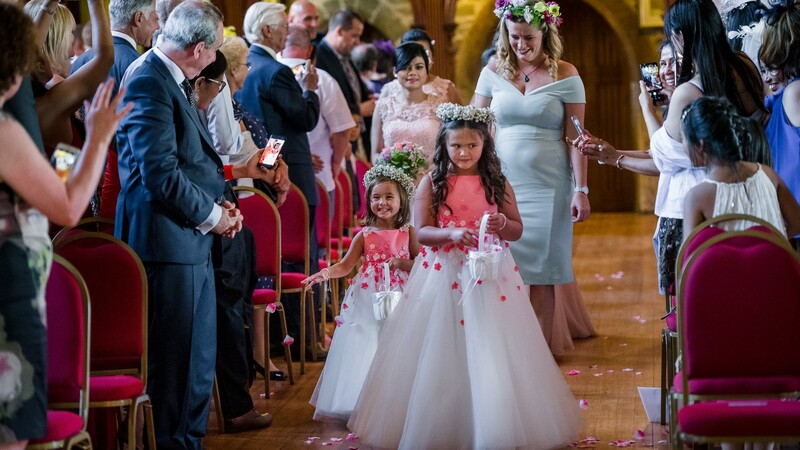 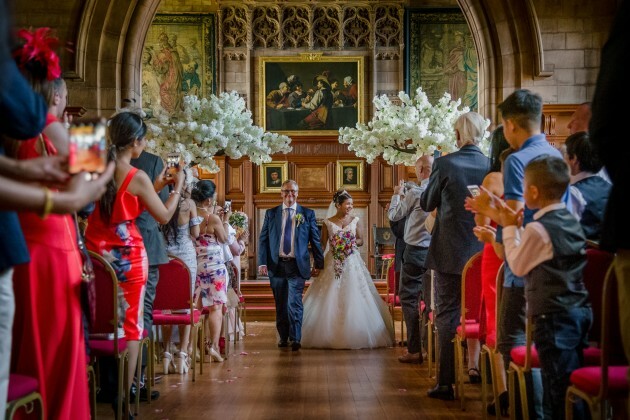 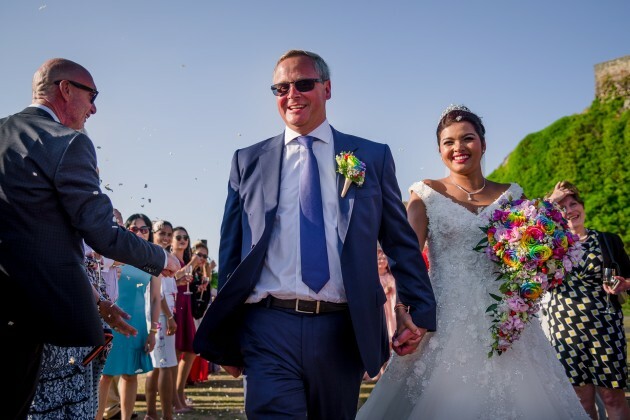 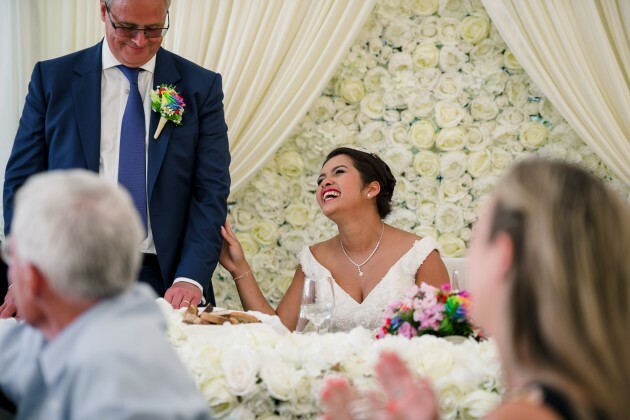 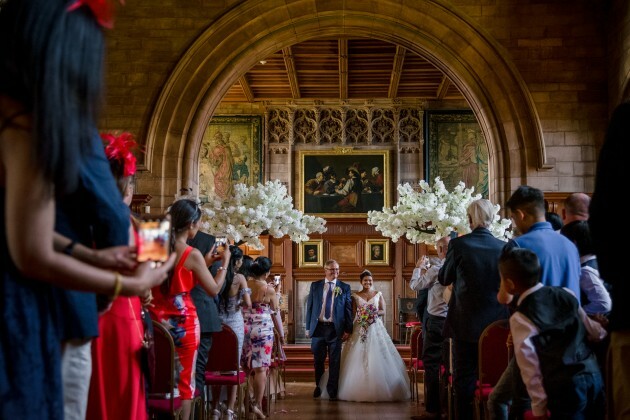 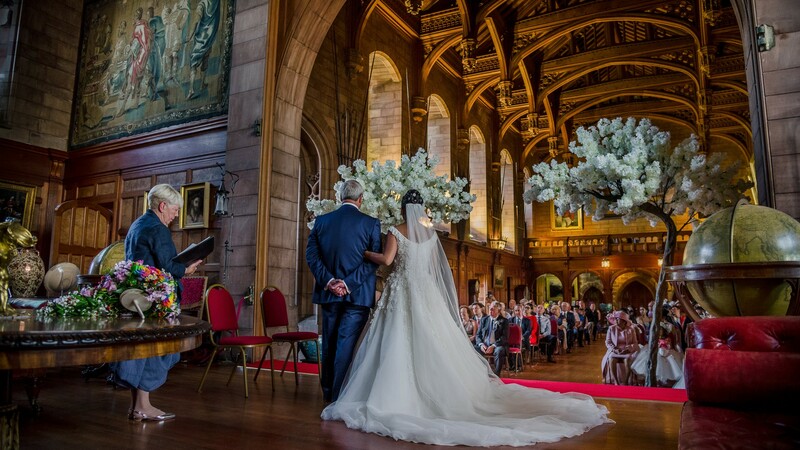 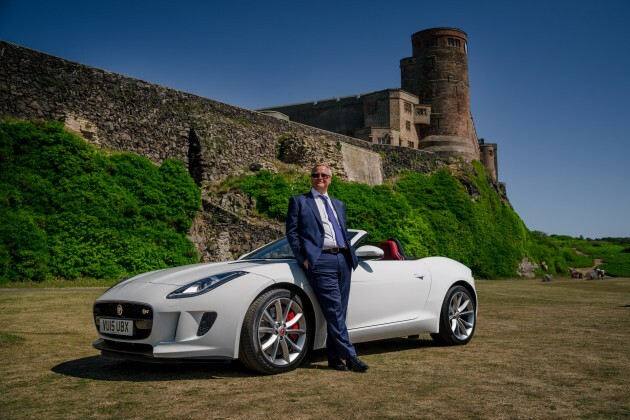 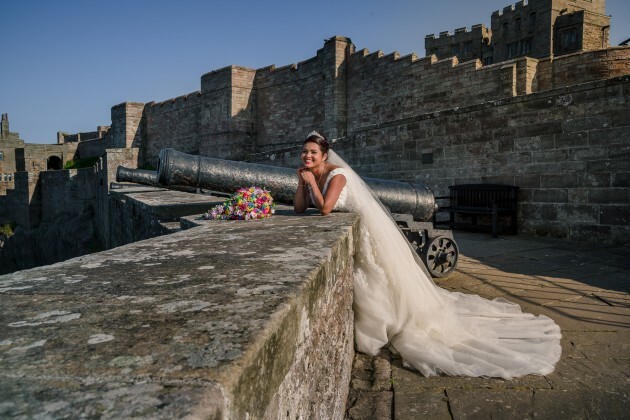 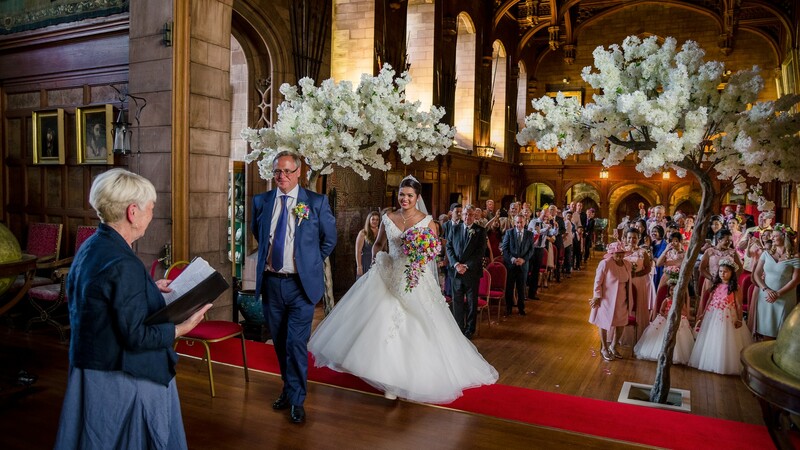 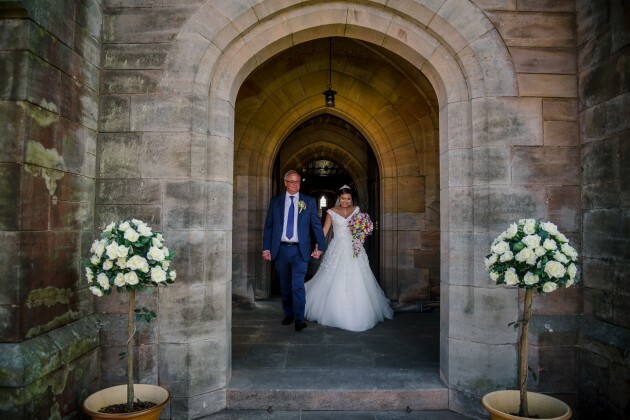 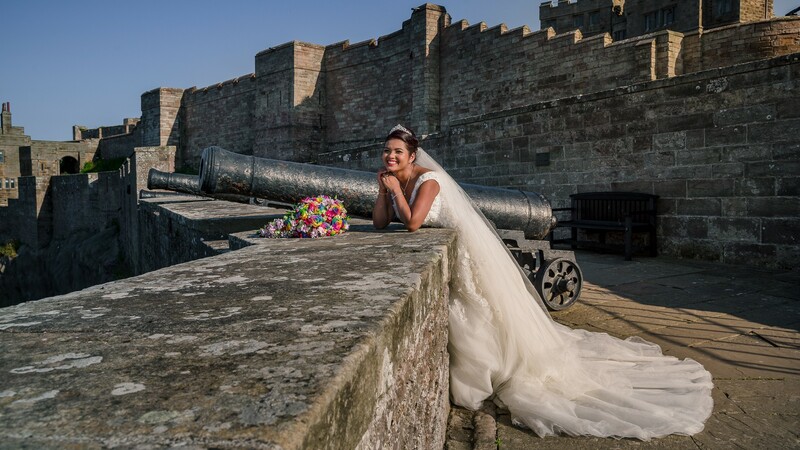 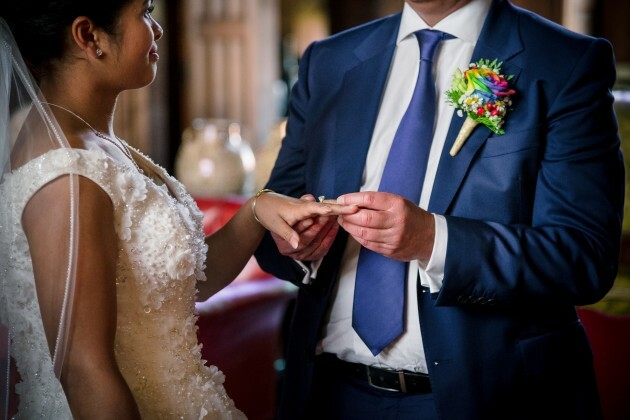 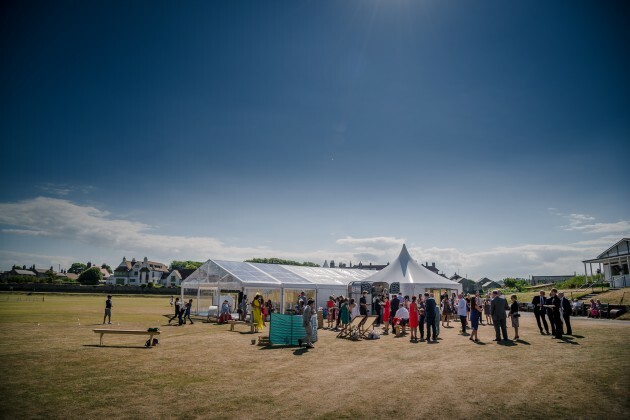 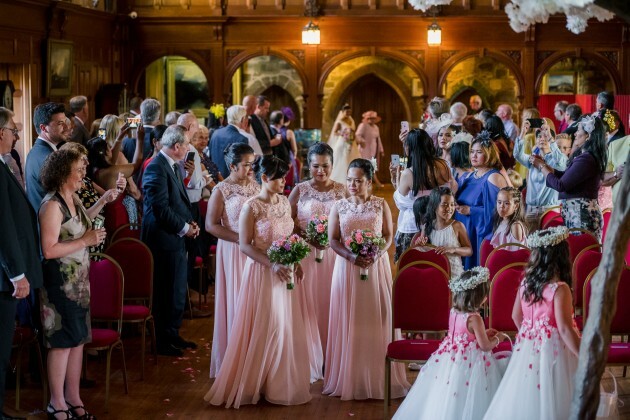 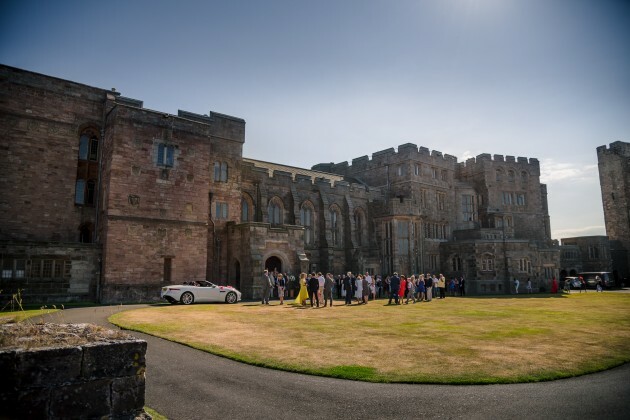 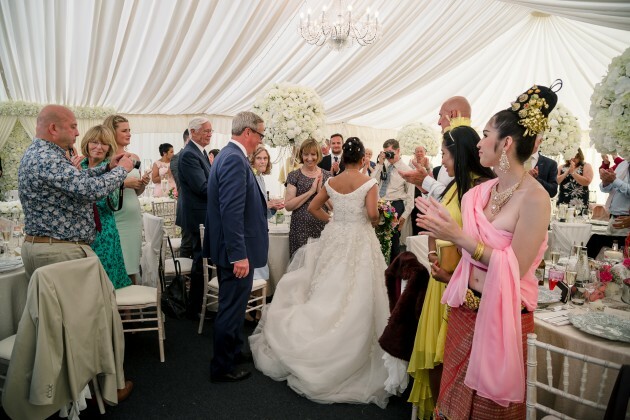 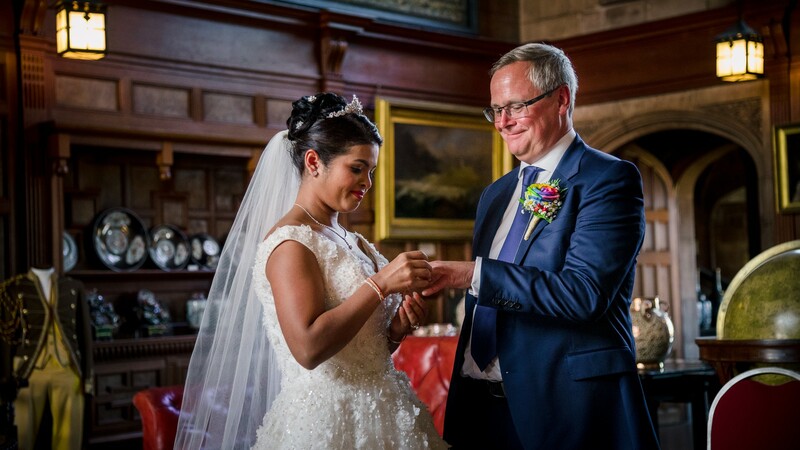 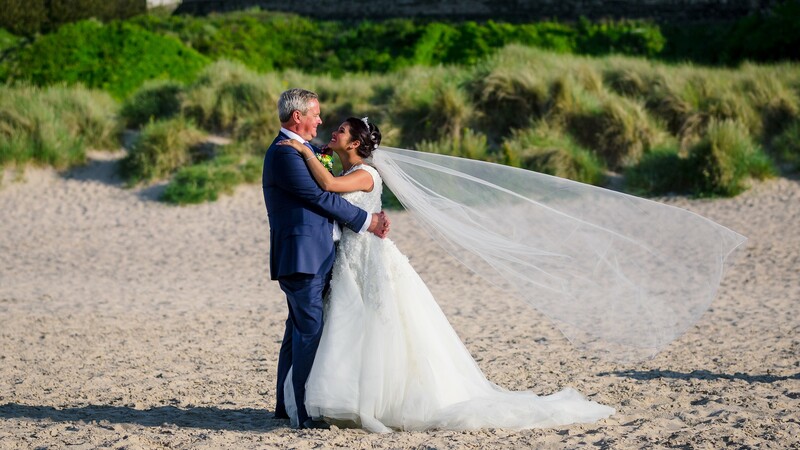 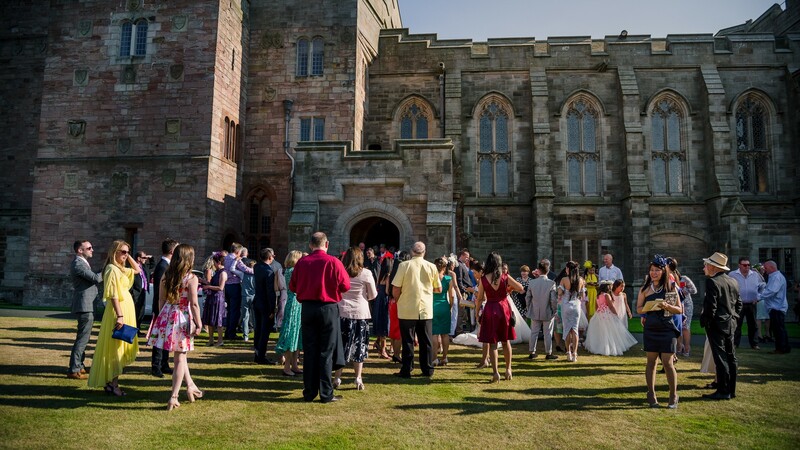 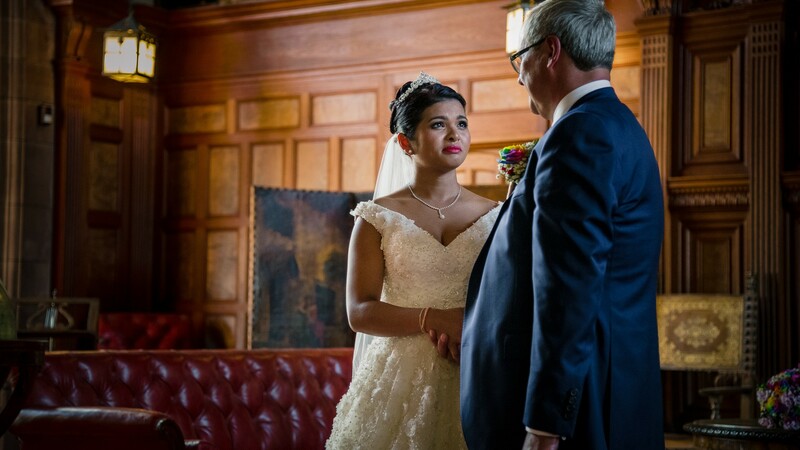 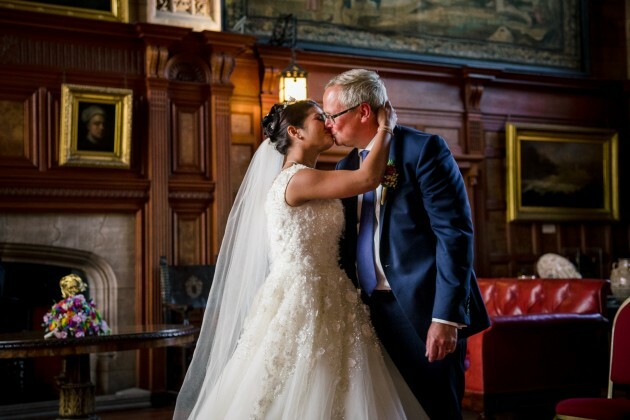 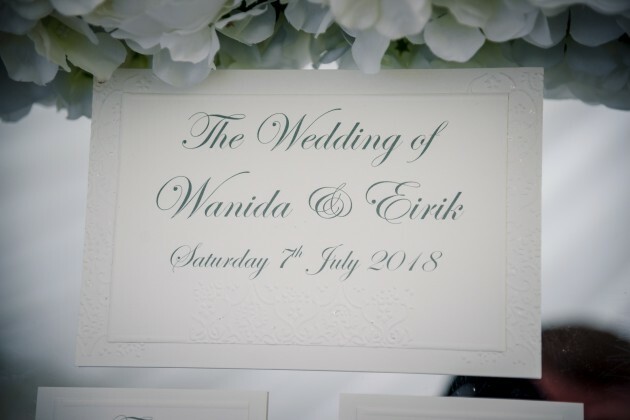 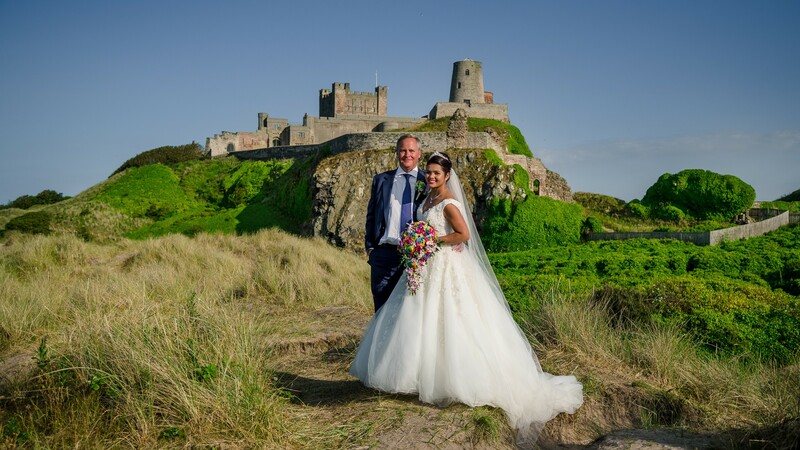 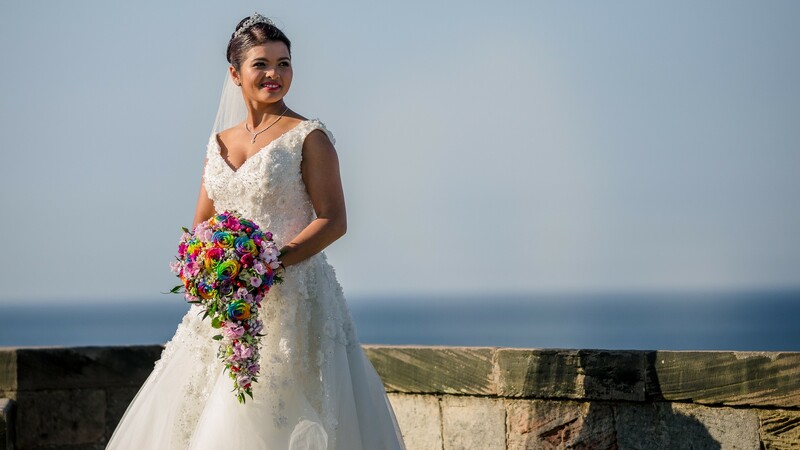 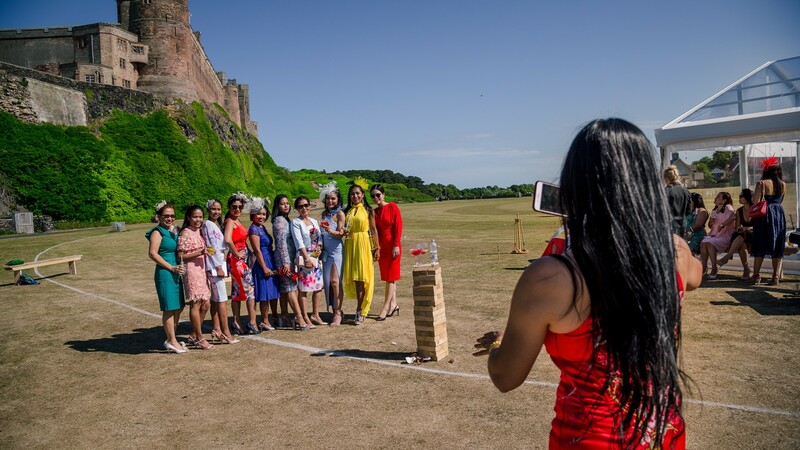 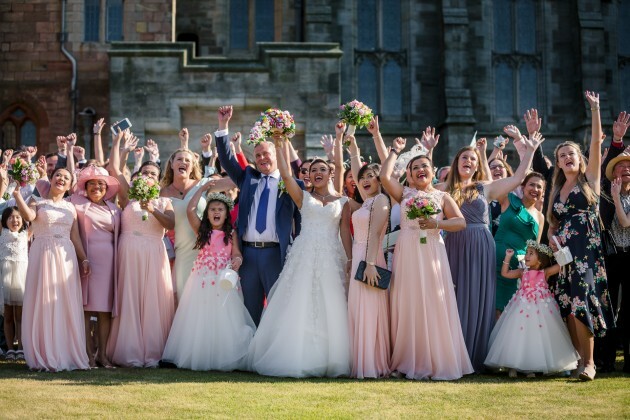 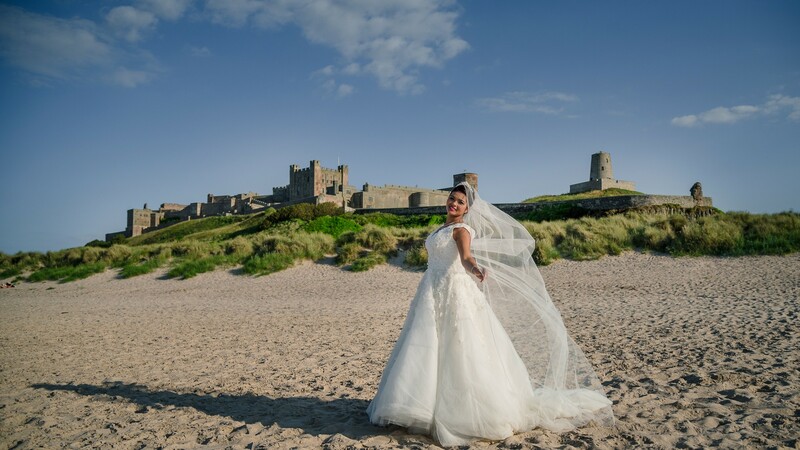 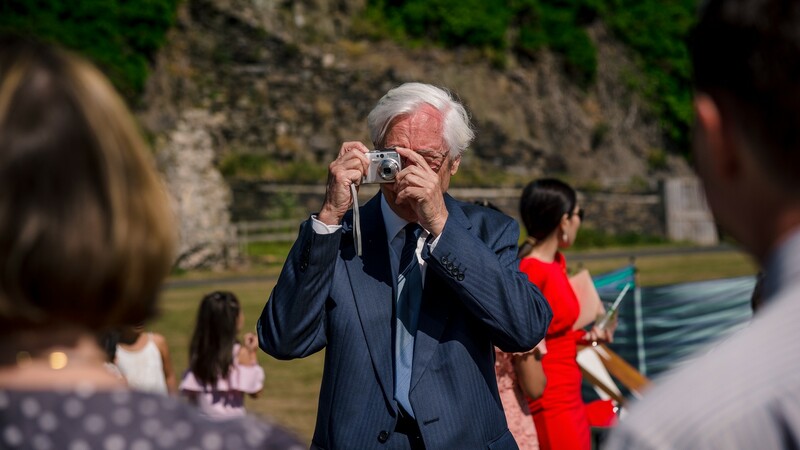 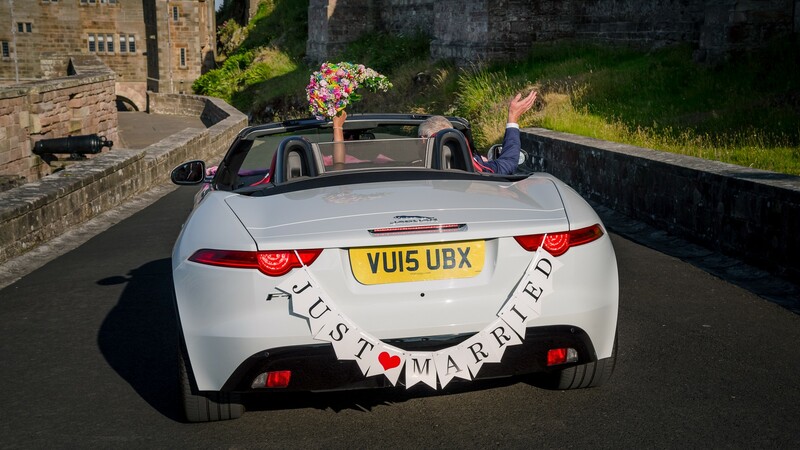 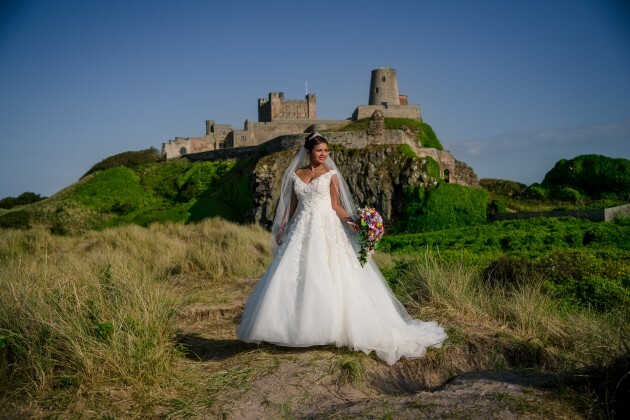 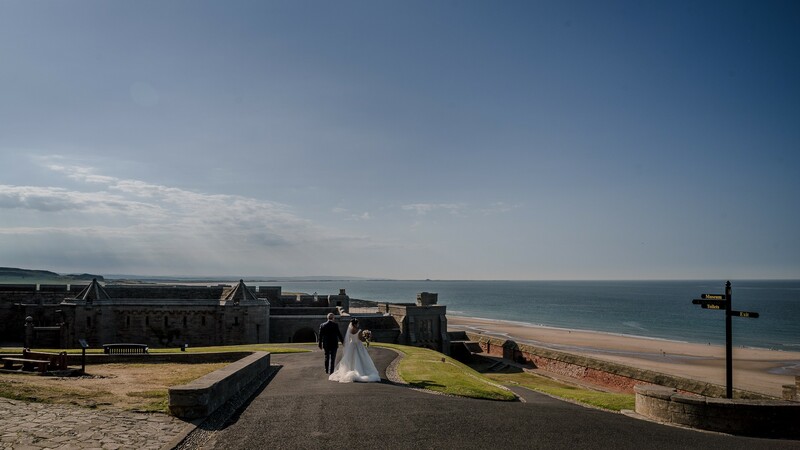 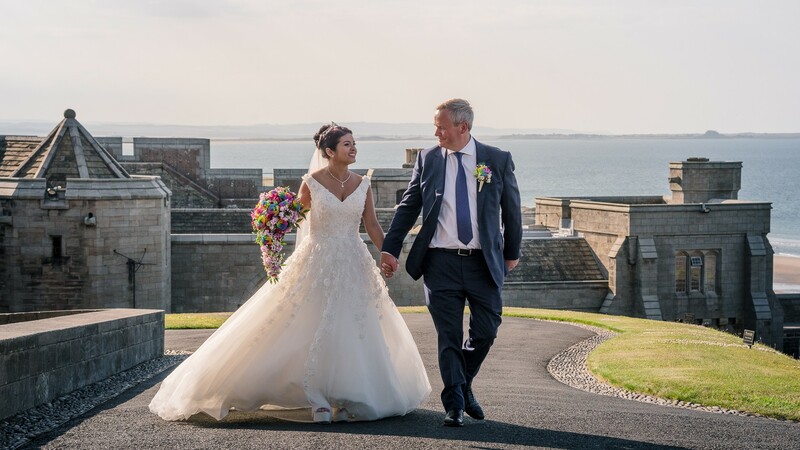 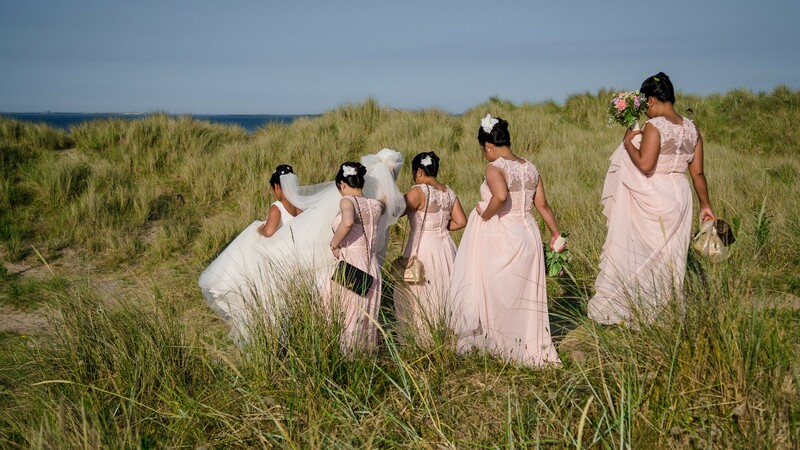 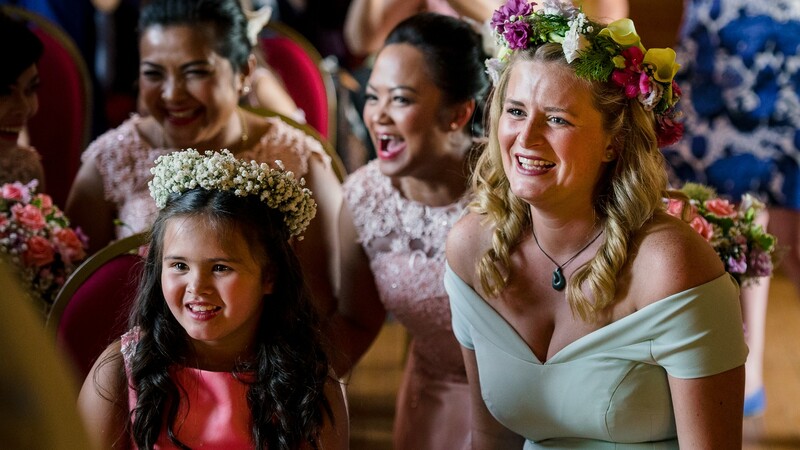 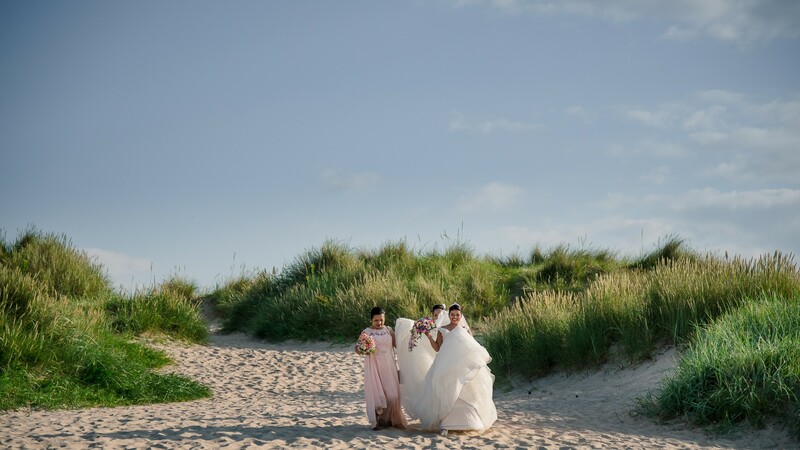 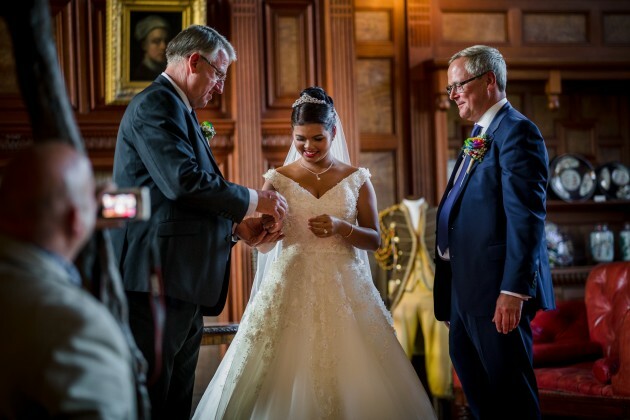 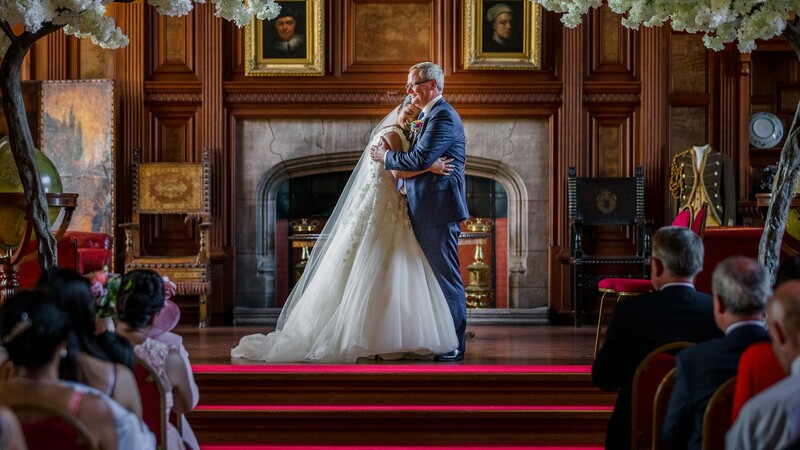 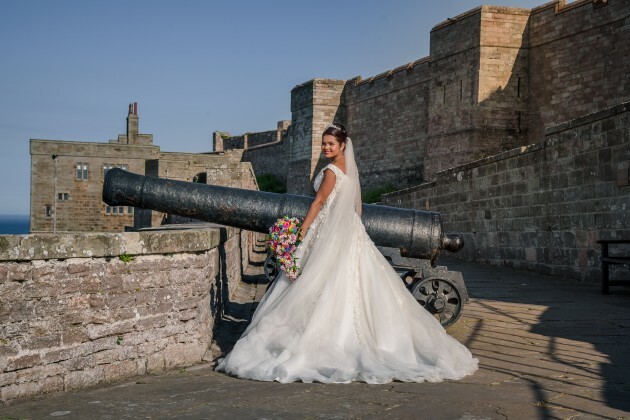 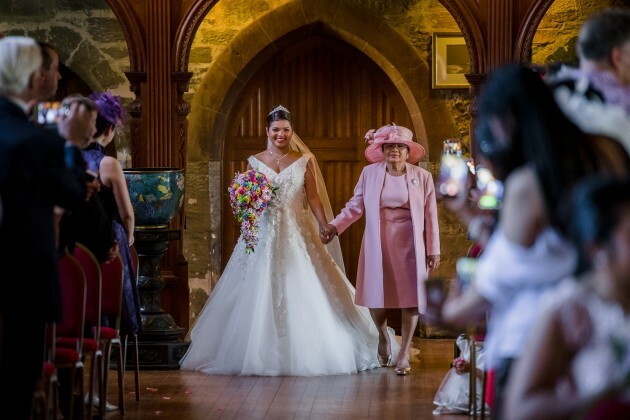 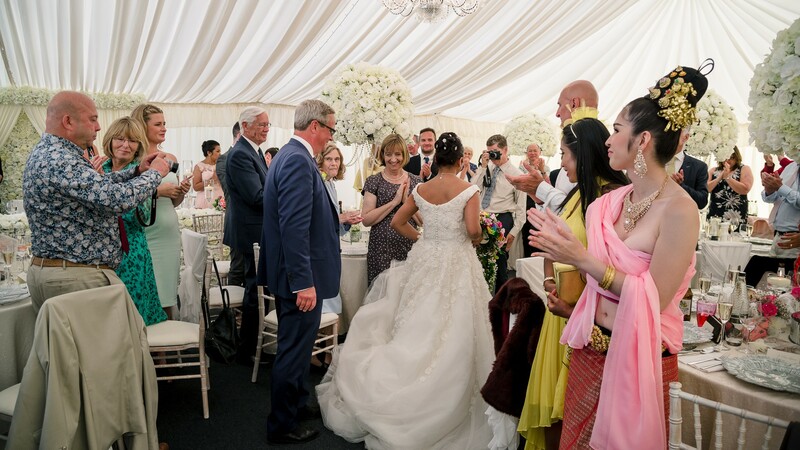 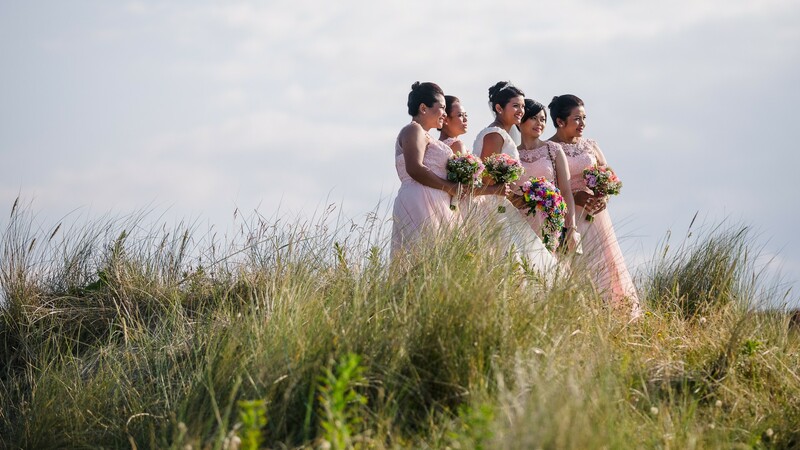 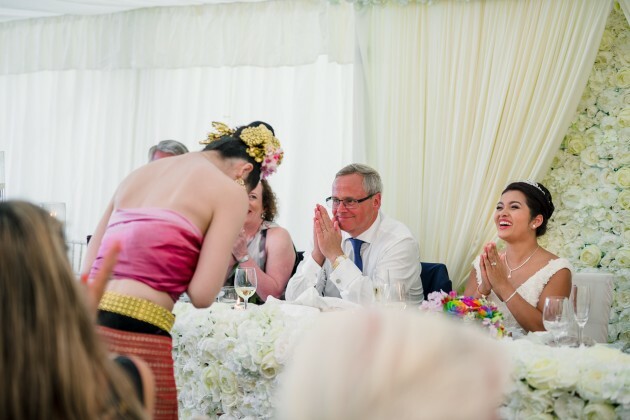 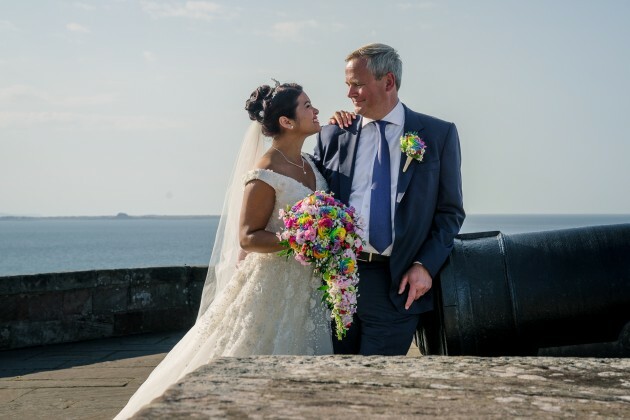 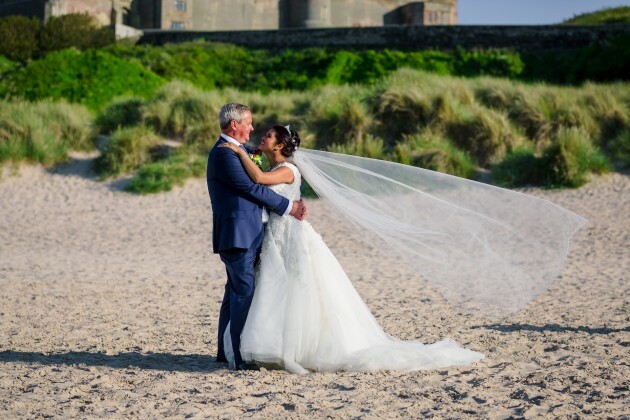 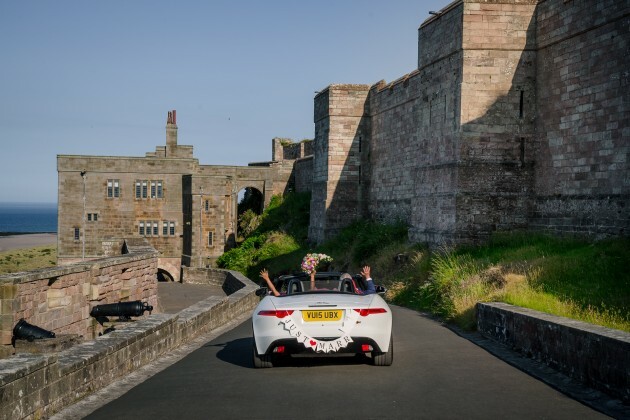 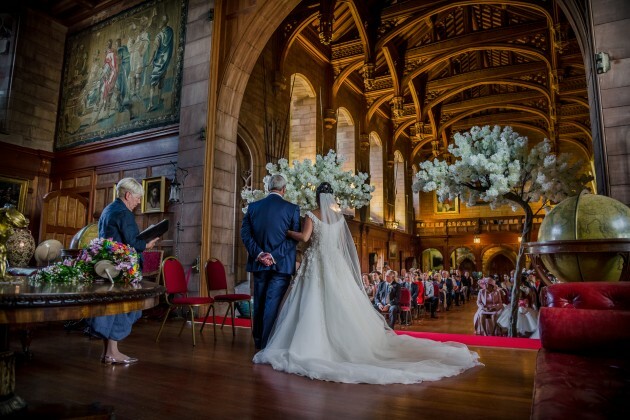 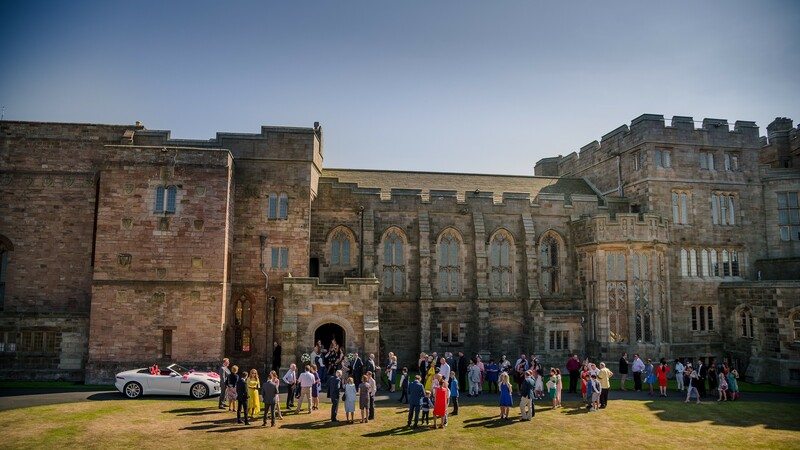 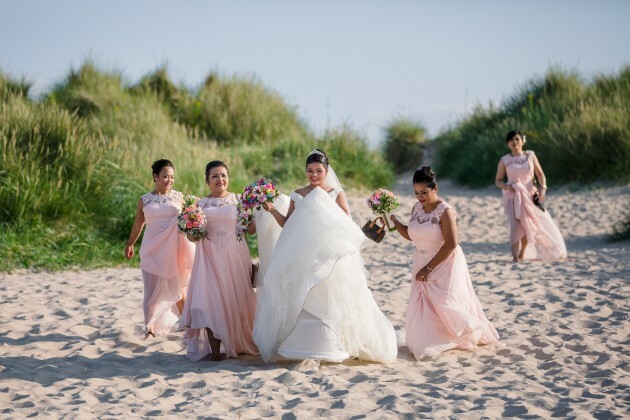 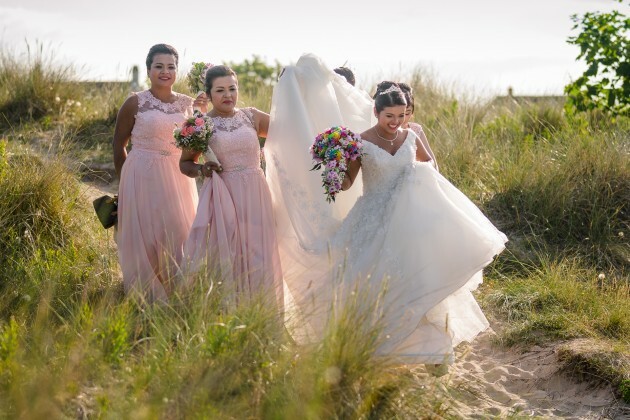 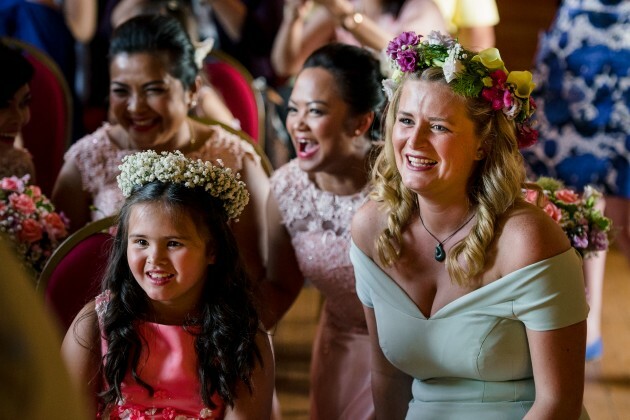 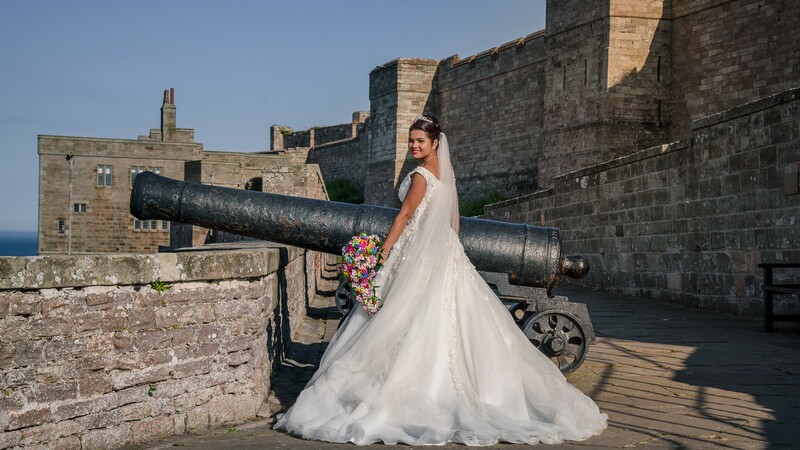 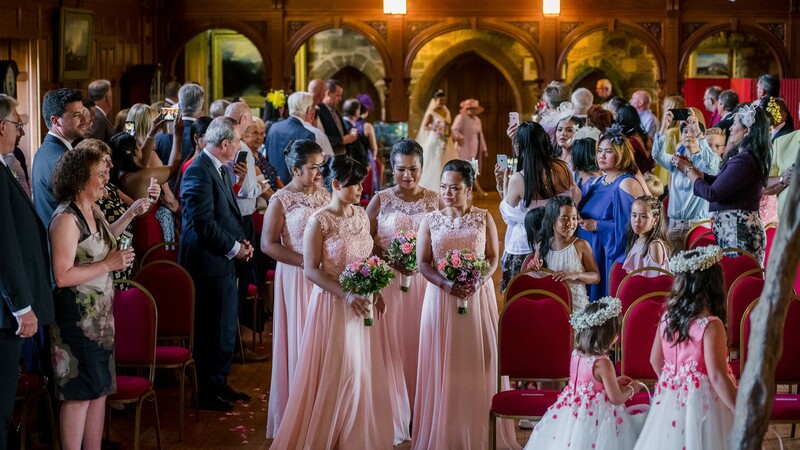 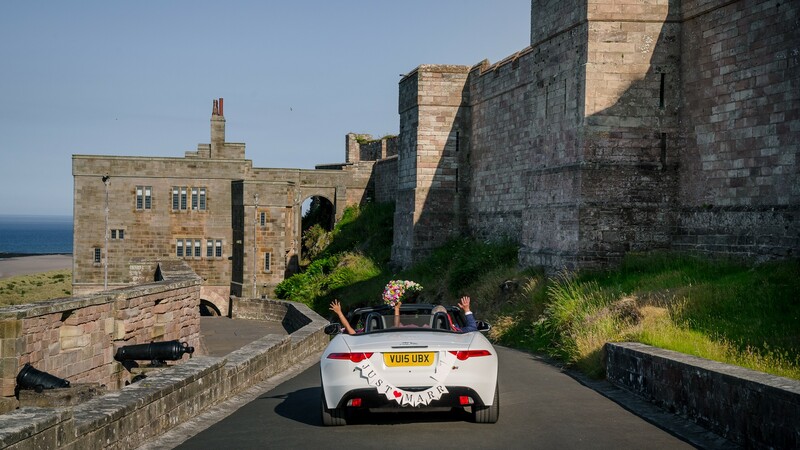 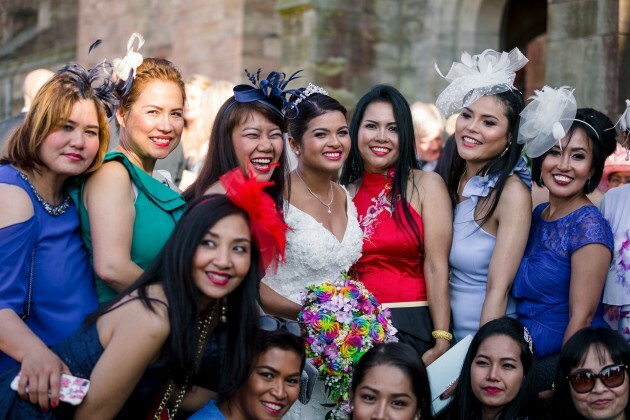 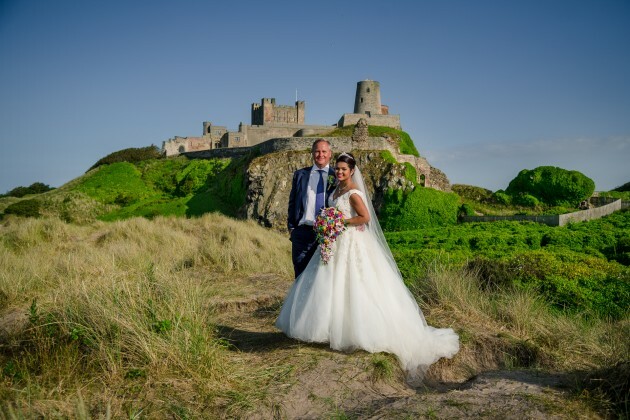 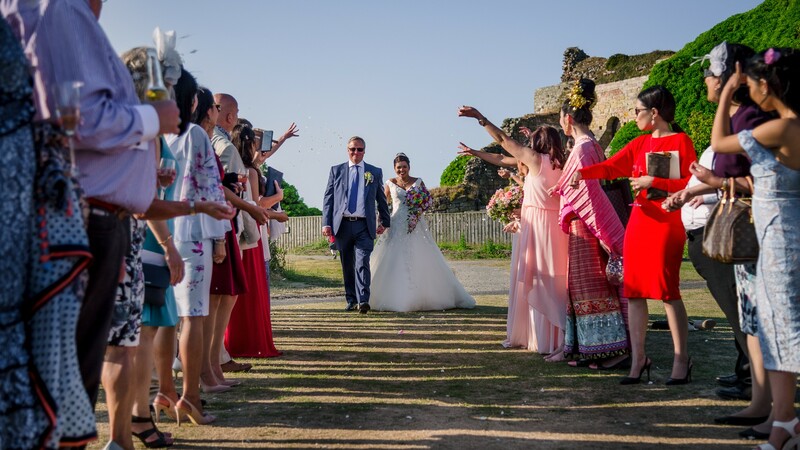 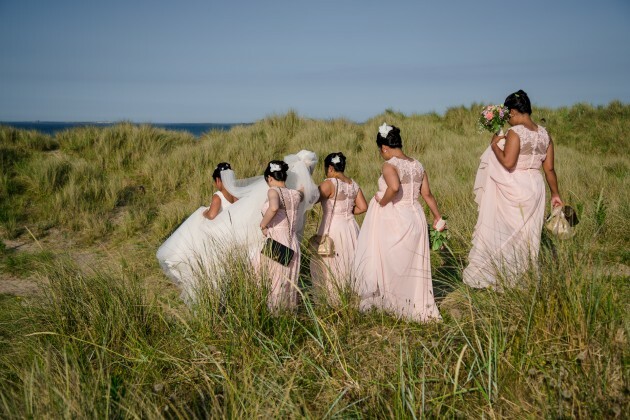 Wanida and Eirik were very excited about sharing their Northumberland wedding day with their family and friends at the fabulous Bamburgh Castle. 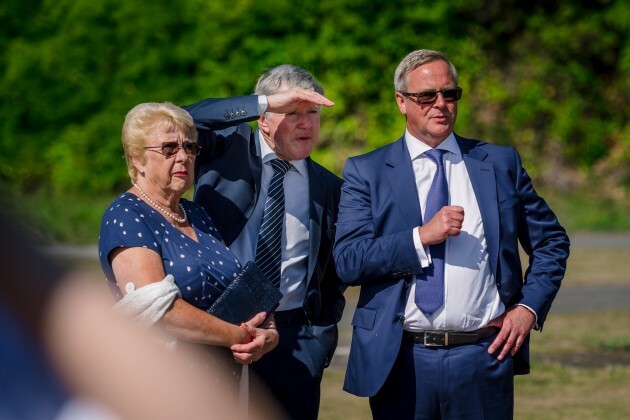 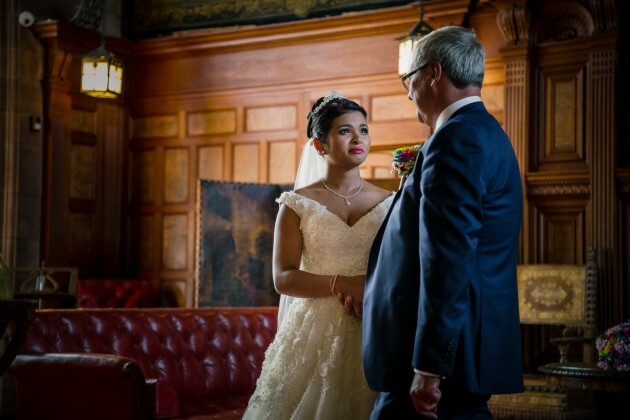 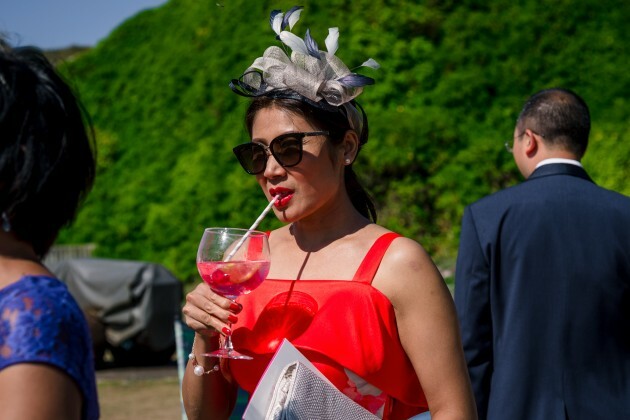 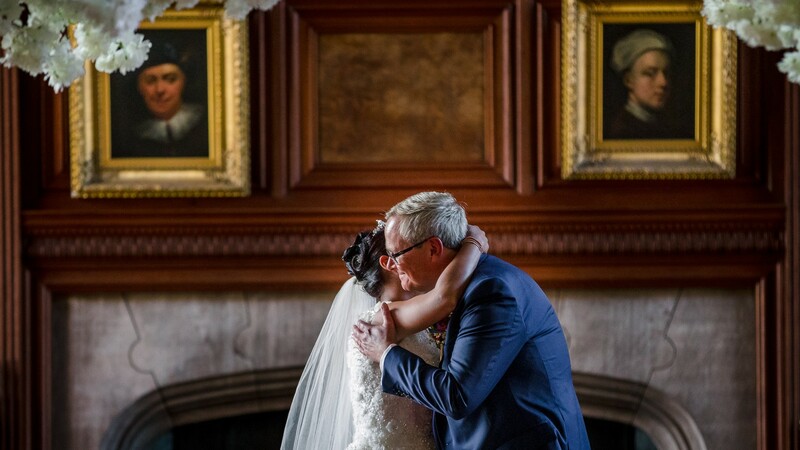 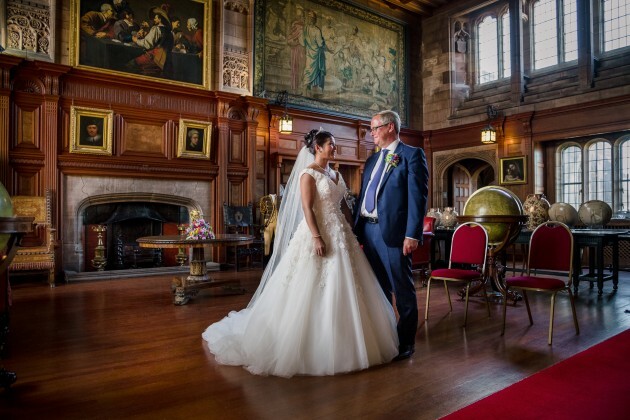 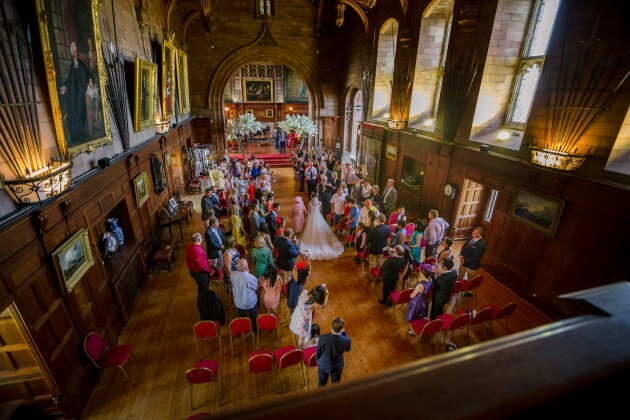 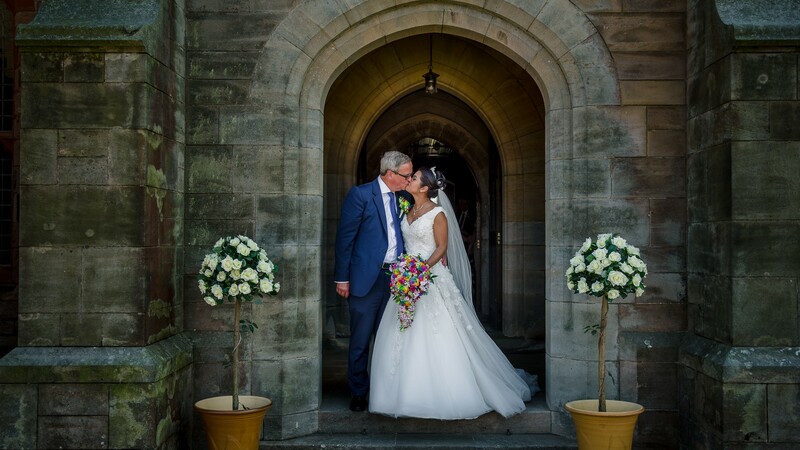 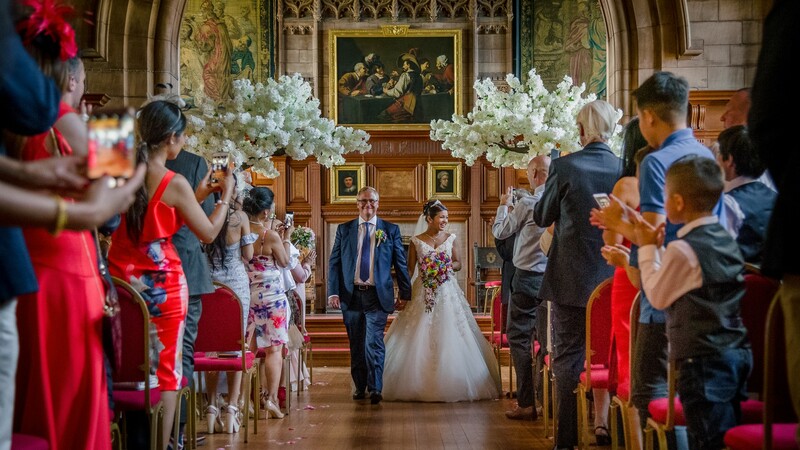 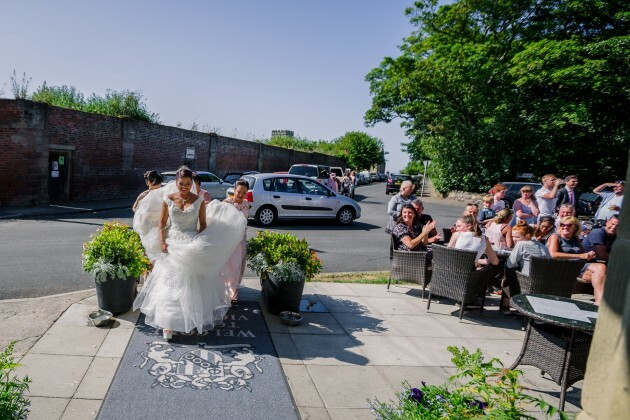 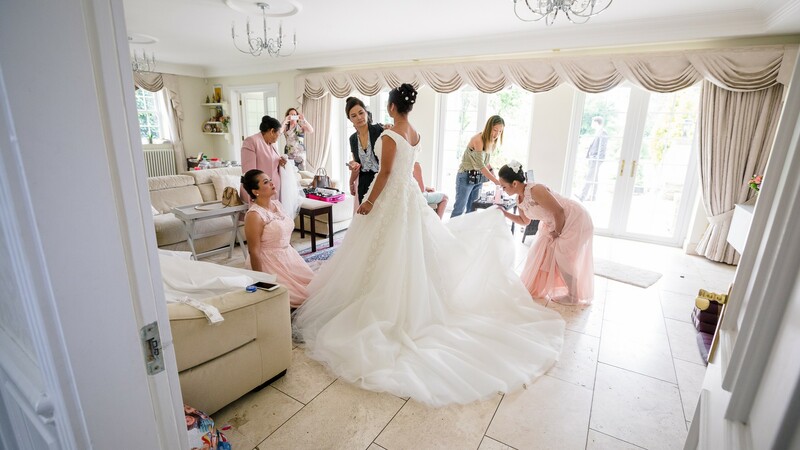 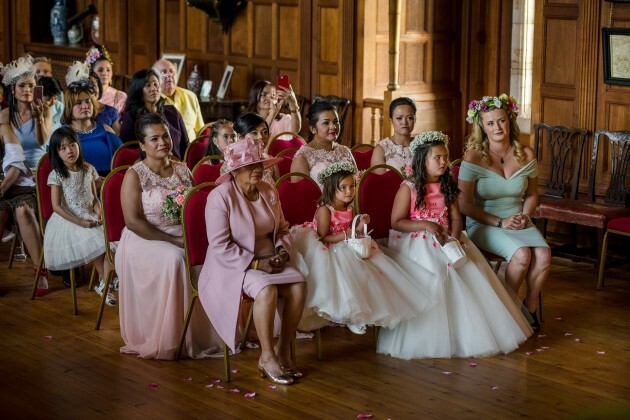 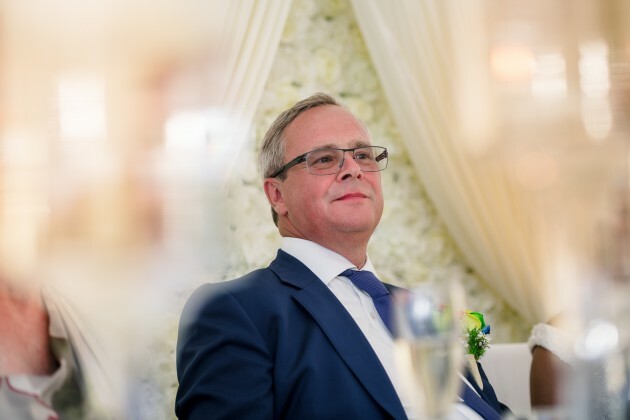 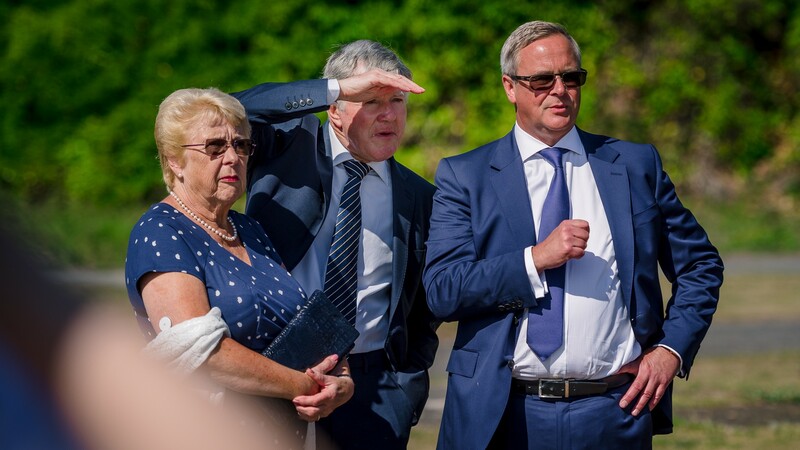 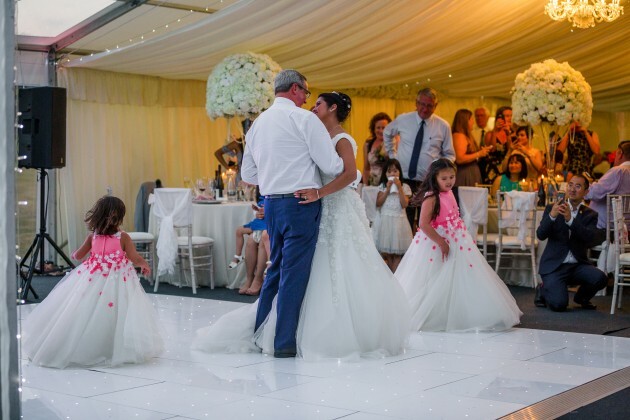 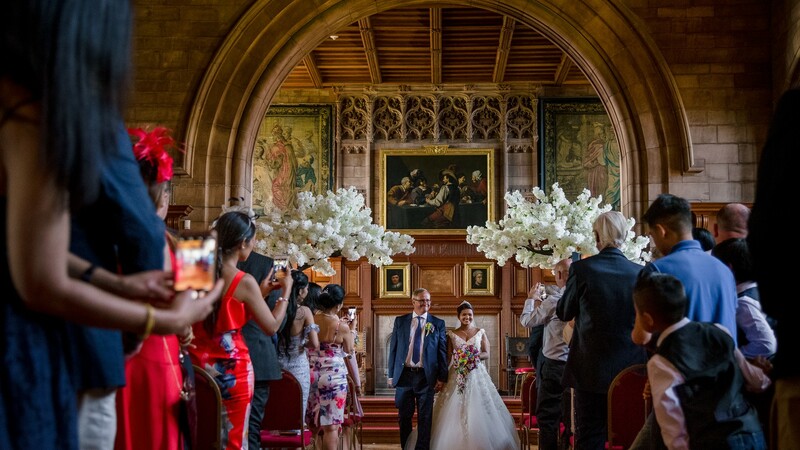 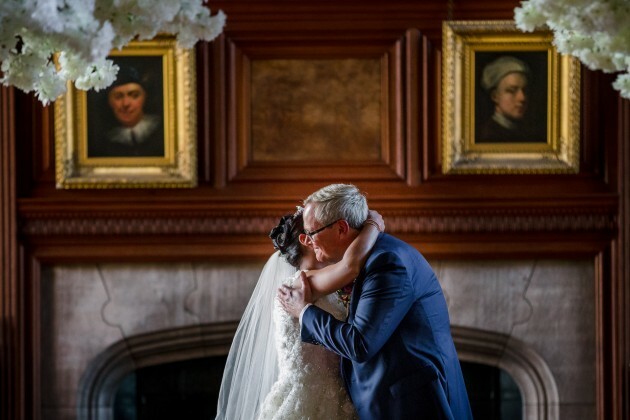 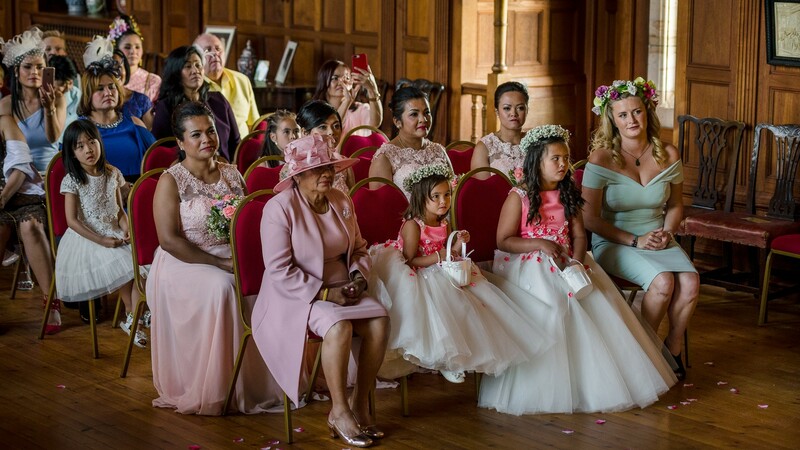 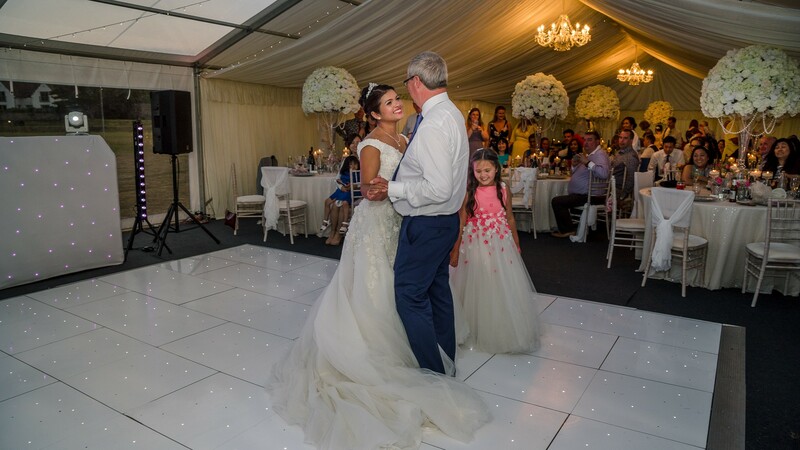 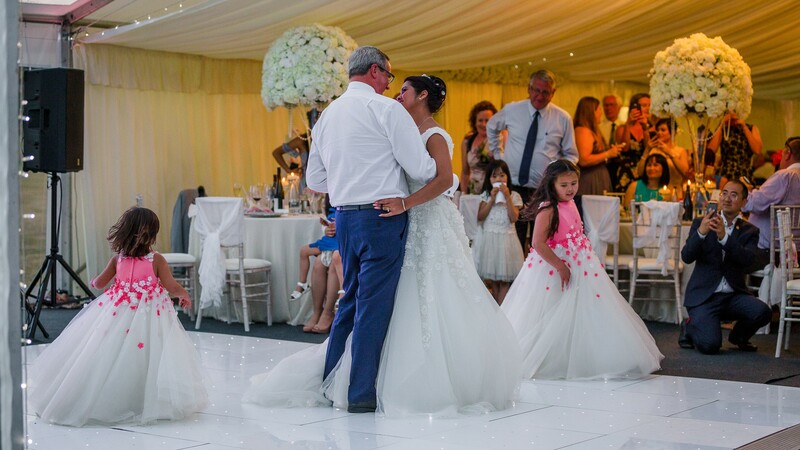 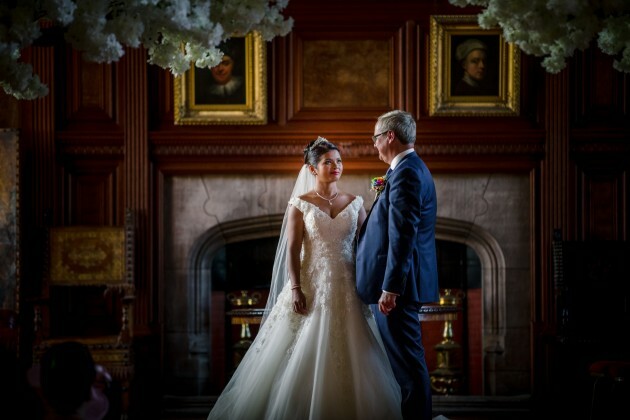 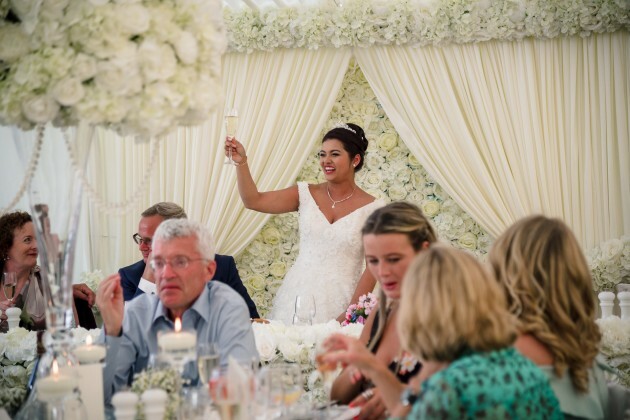 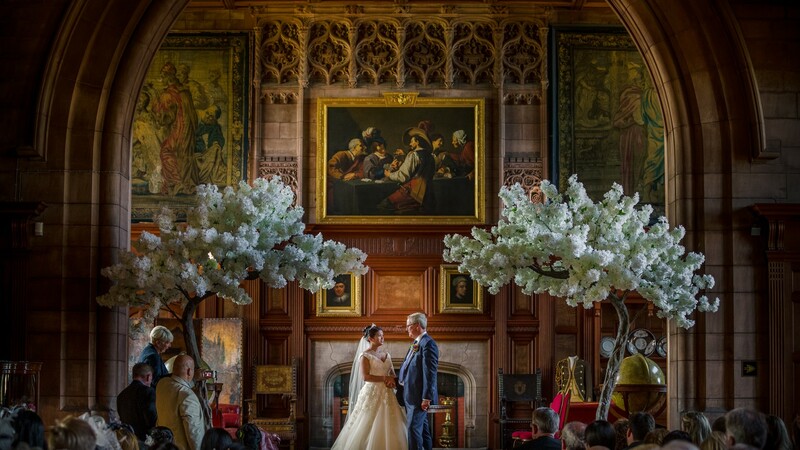 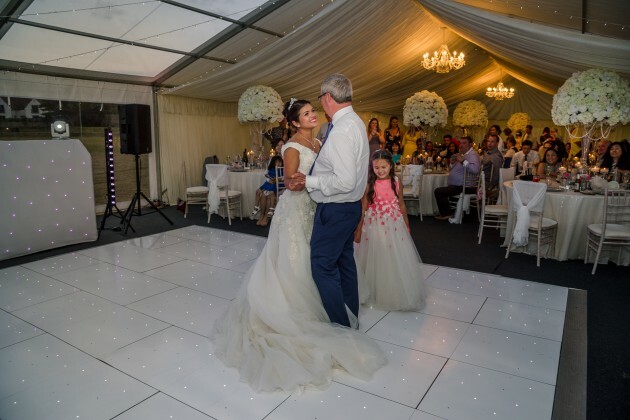 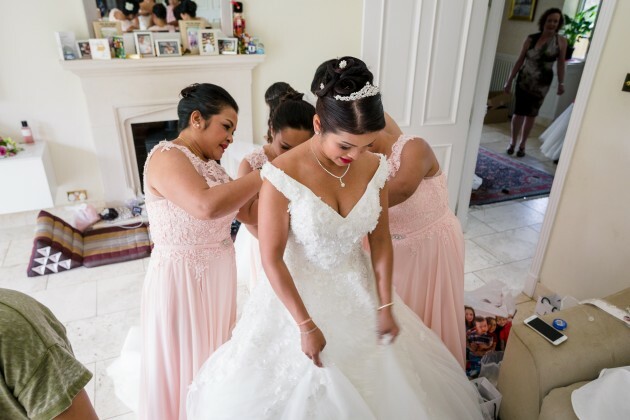 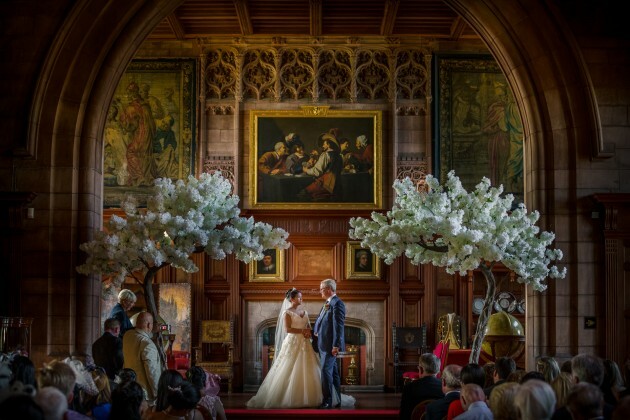 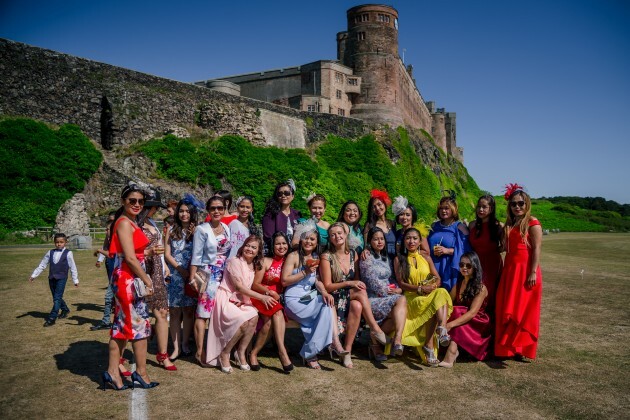 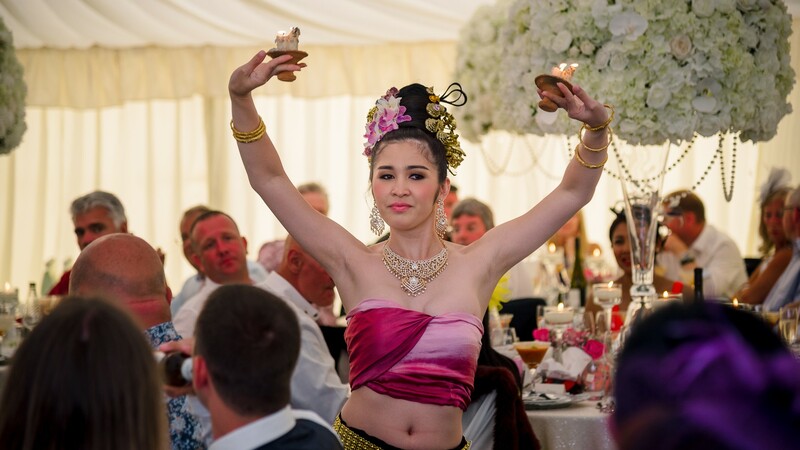 They loved the whole grand setting both inside and out, so on our first meeting the told us how they wanted someone to photograph it that would capture the whole atmosphere of this beautiful historic Building. 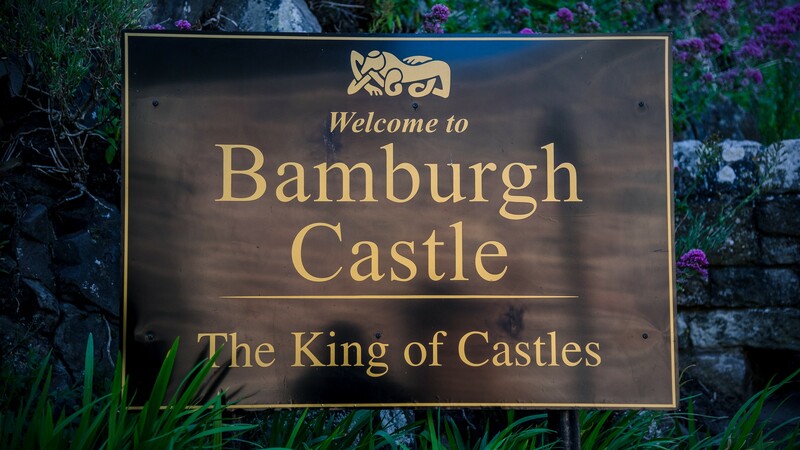 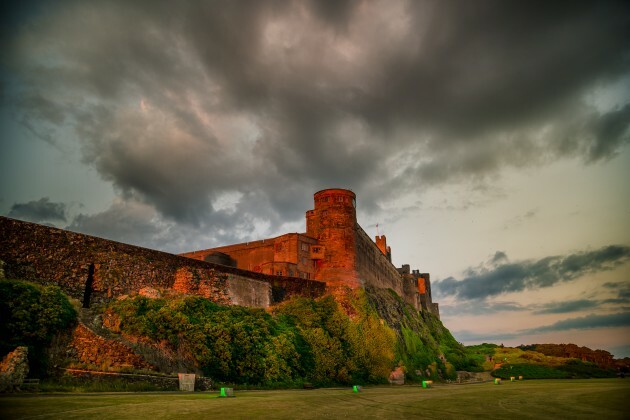 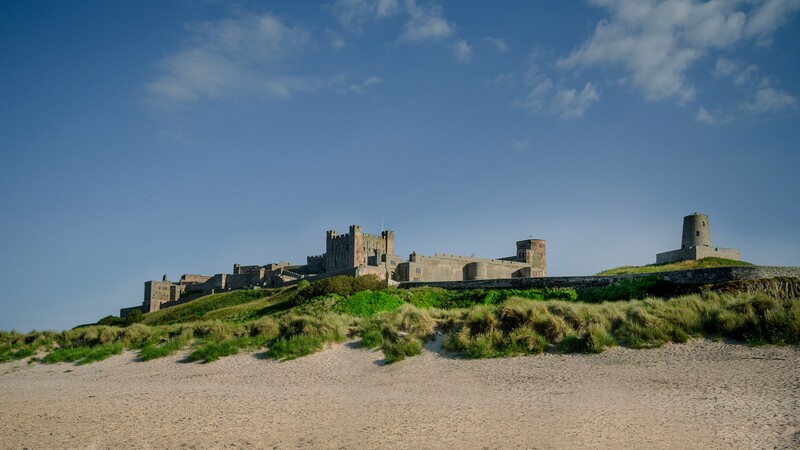 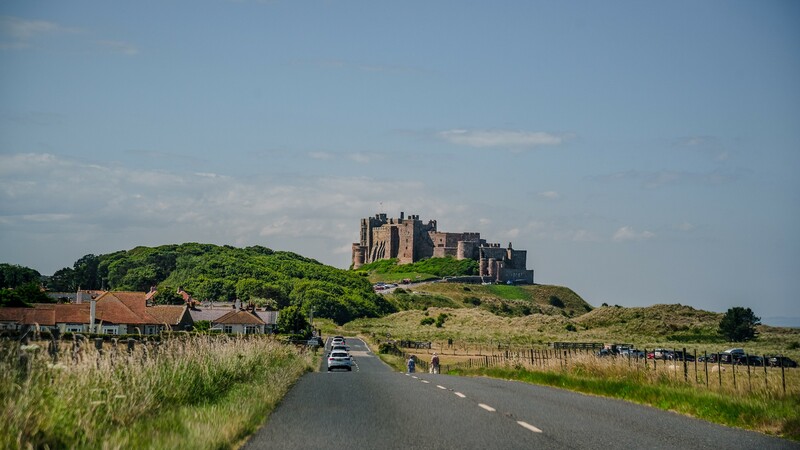 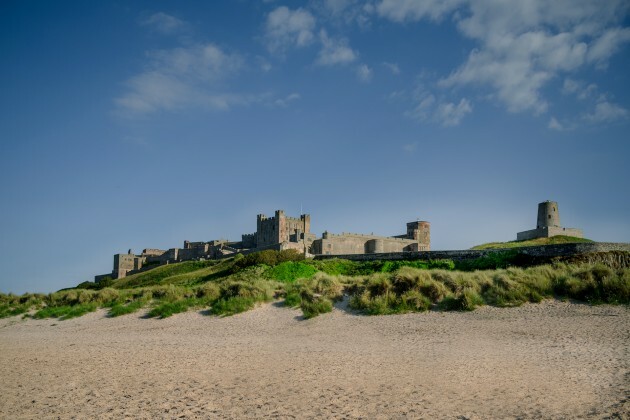 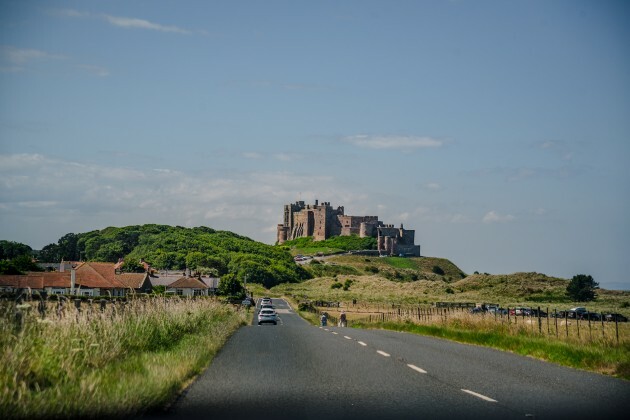 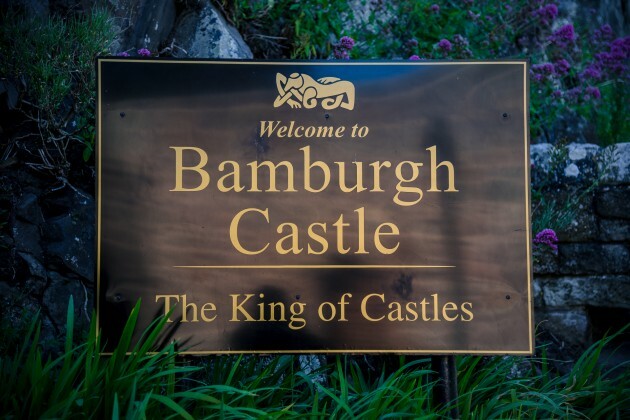 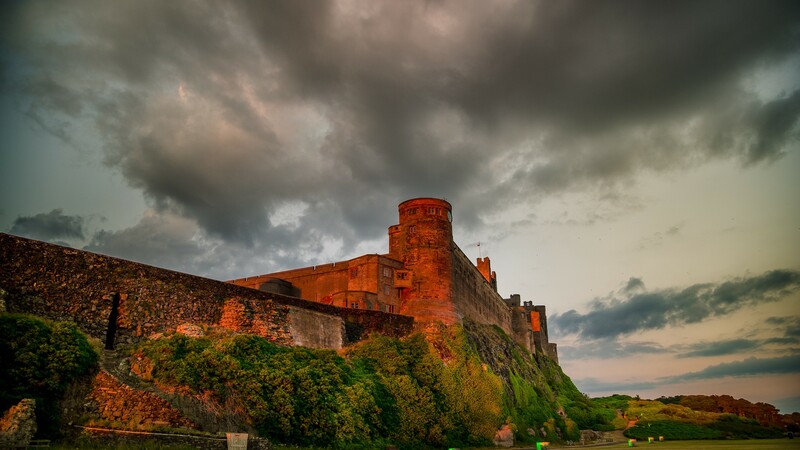 This King of Castles is not only one of the most beautiful and awe-inspiring castle in the country on the inside it is also a truly breath-taking backdop to Bamburgh beach. 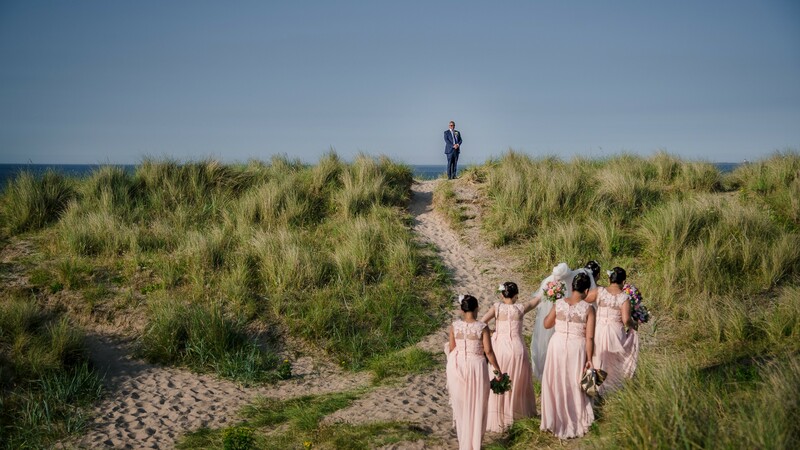 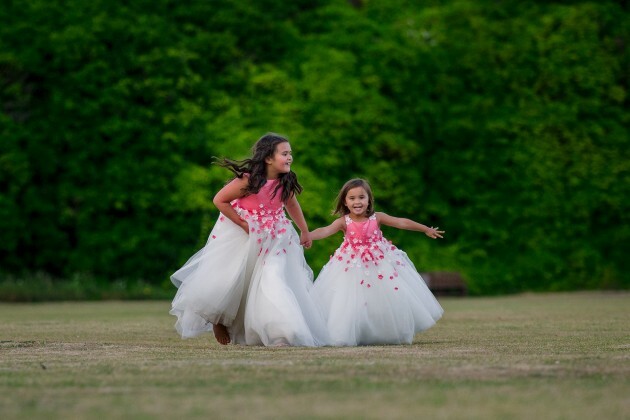 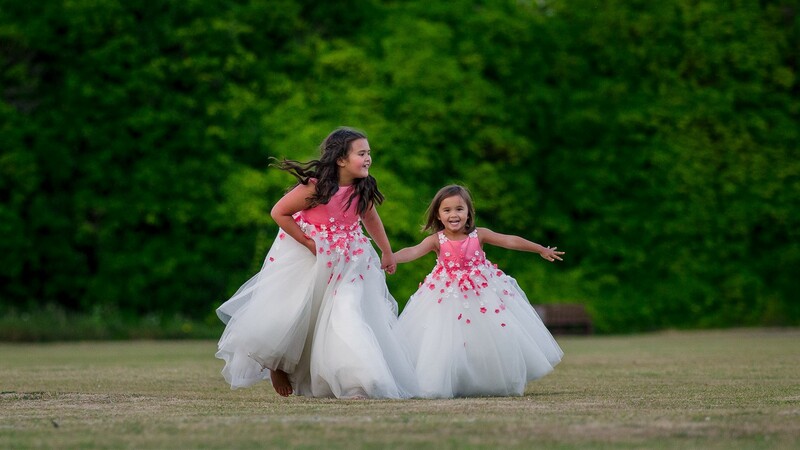 A month prior to the wedding we had the privilege of meeting Eirik and Wanida along with their daughters, Natasha, Naomi, Alice, Lara, Amelia, where we photographed them in another stunning Northmberland location, Alnwick Gardens. 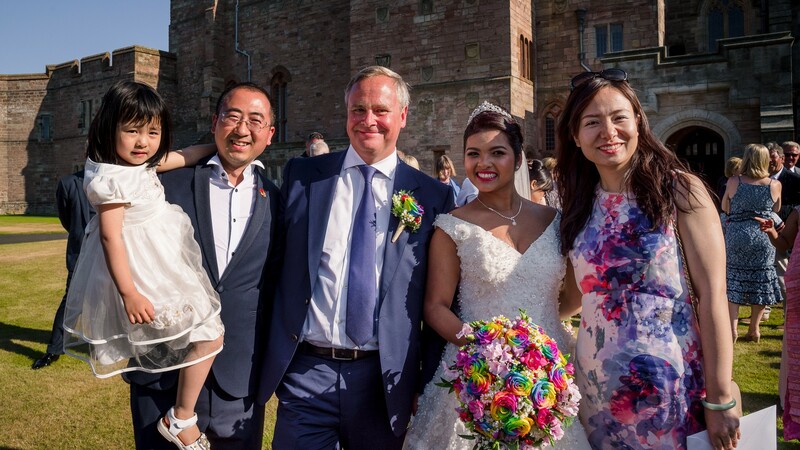 It was lovely to get to know them all a little better and hear more about their wedding plans. 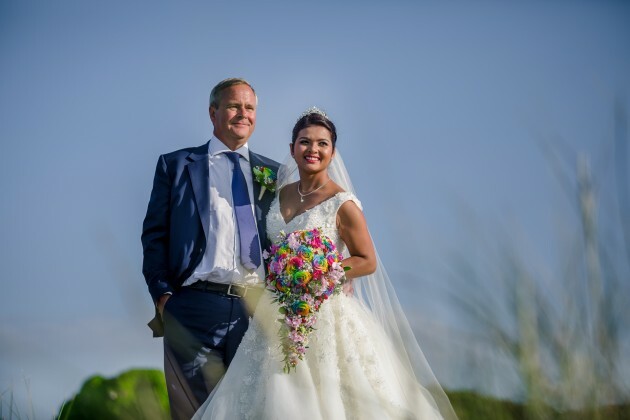 In no time at all the big day arrived and the weather was just perfect for a wedding almost on the beach. 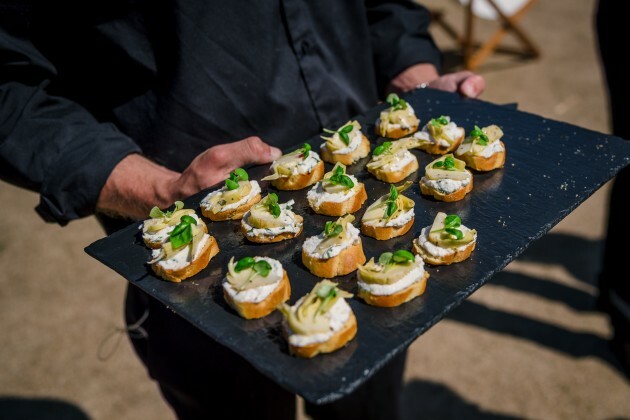 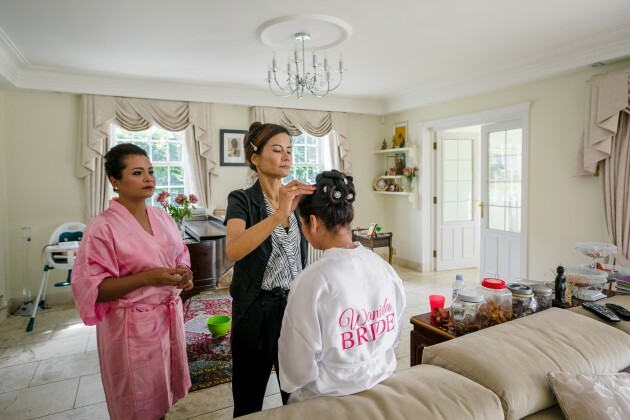 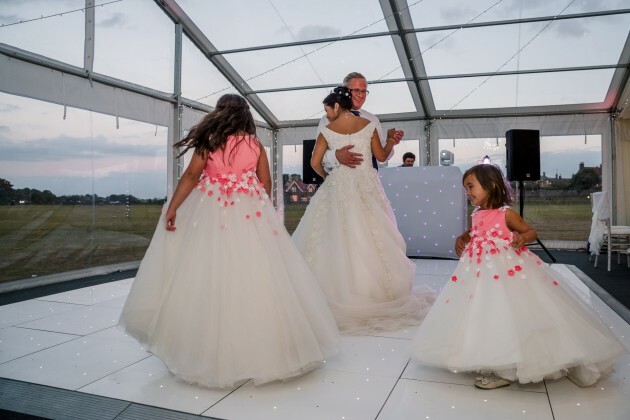 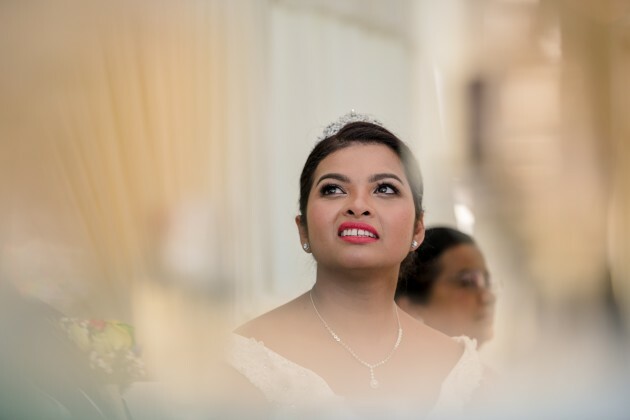 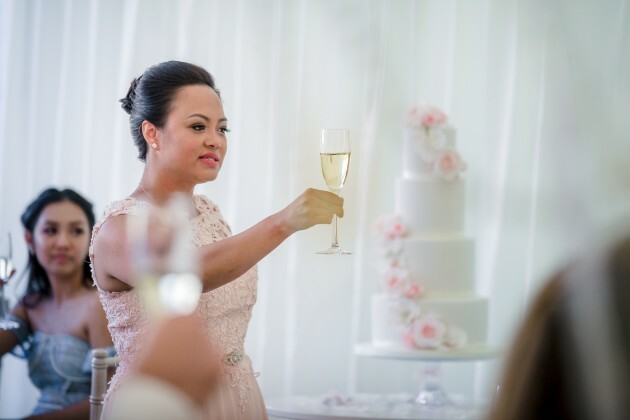 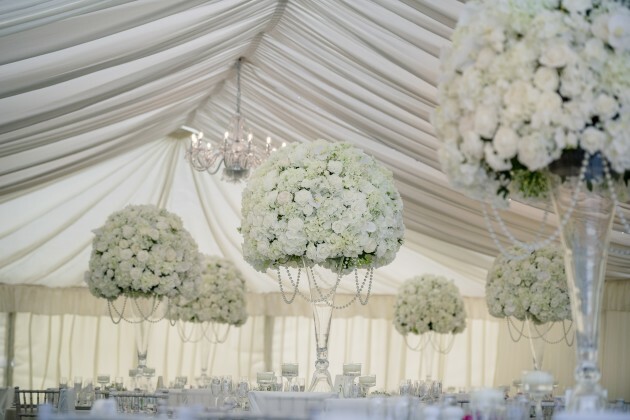 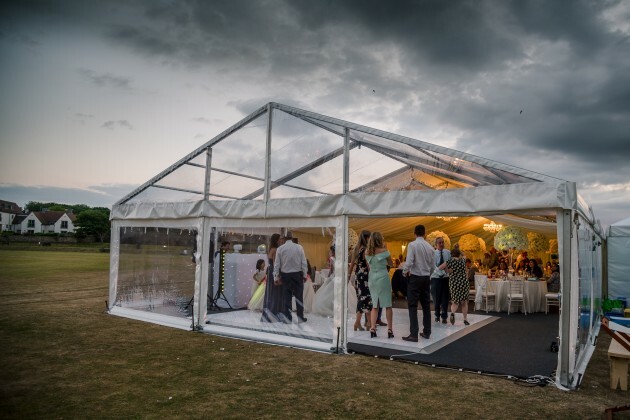 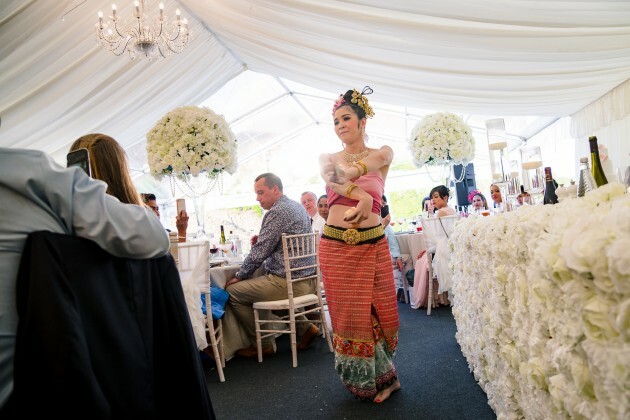 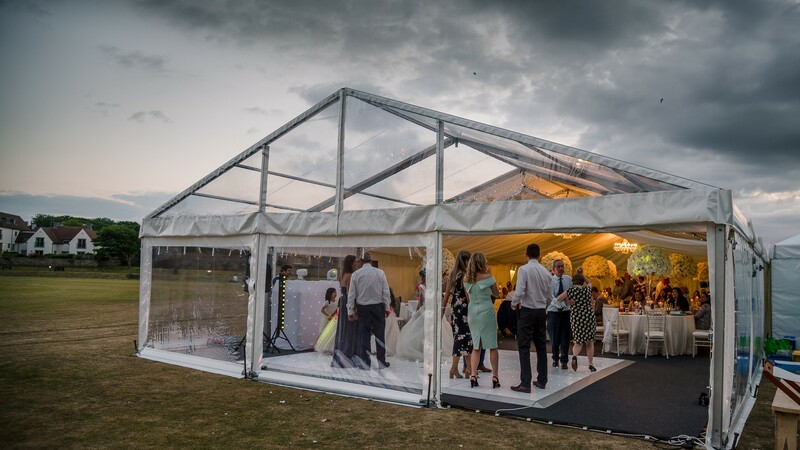 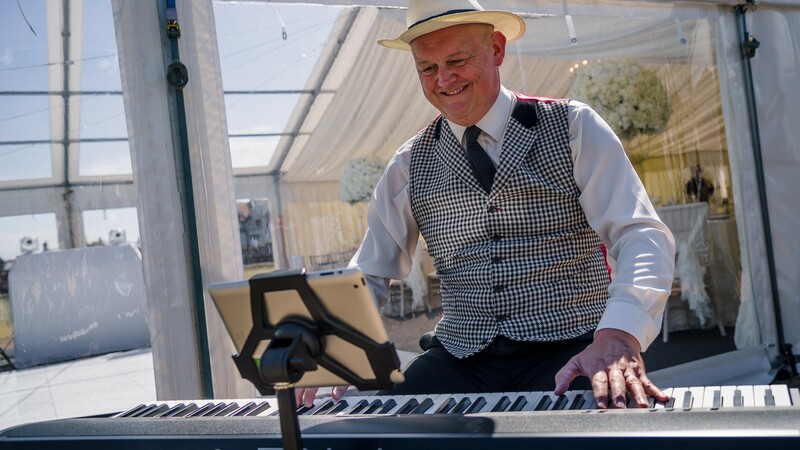 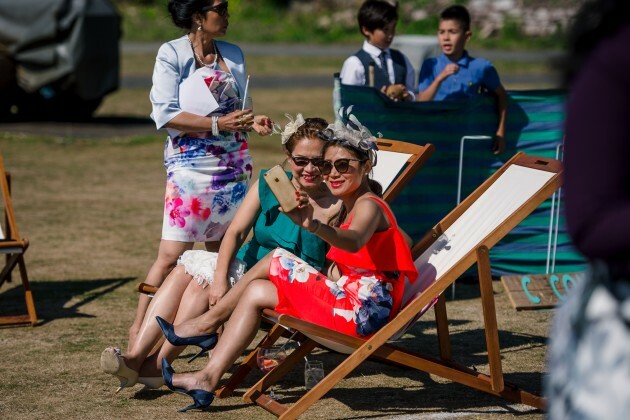 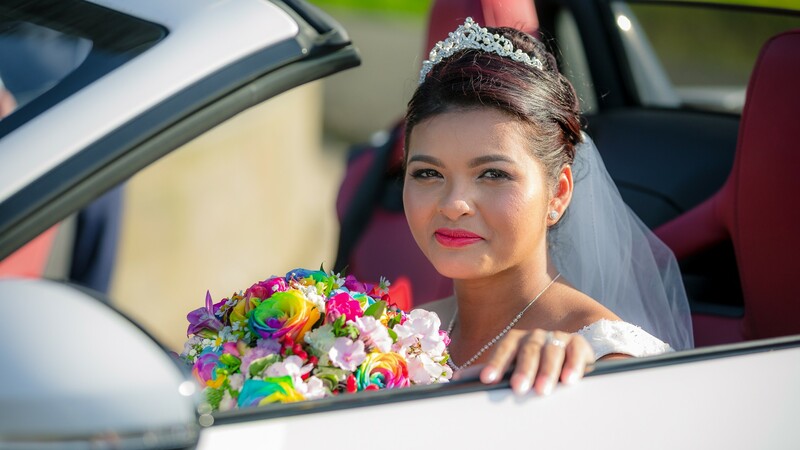 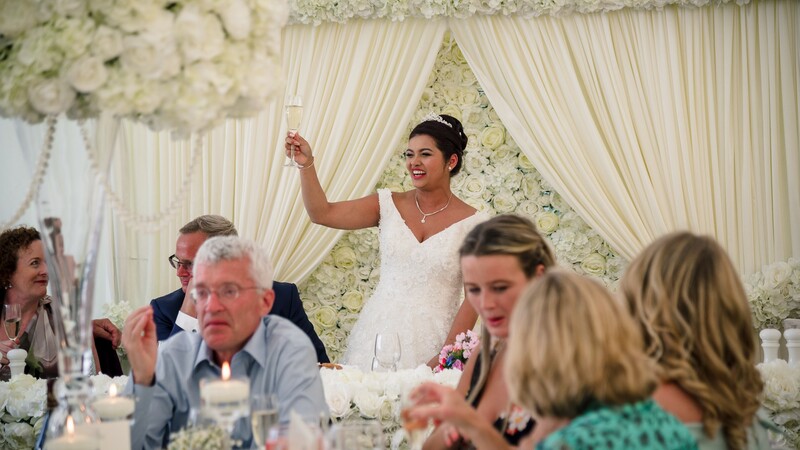 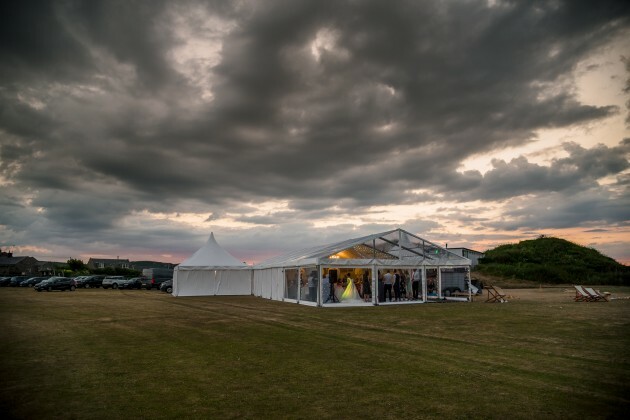 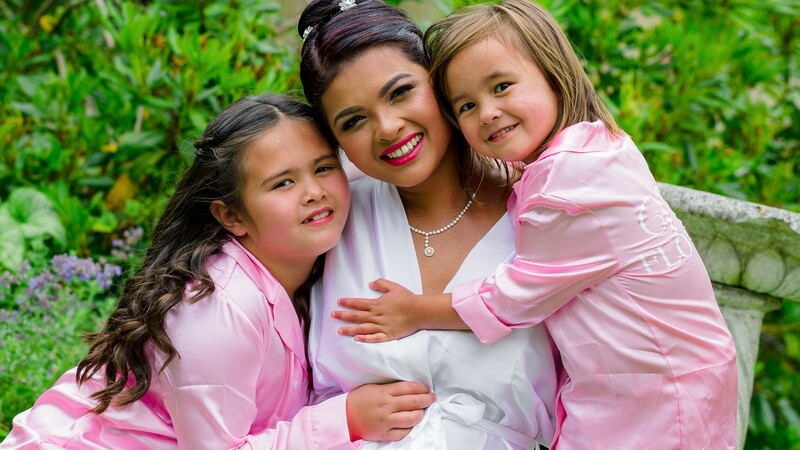 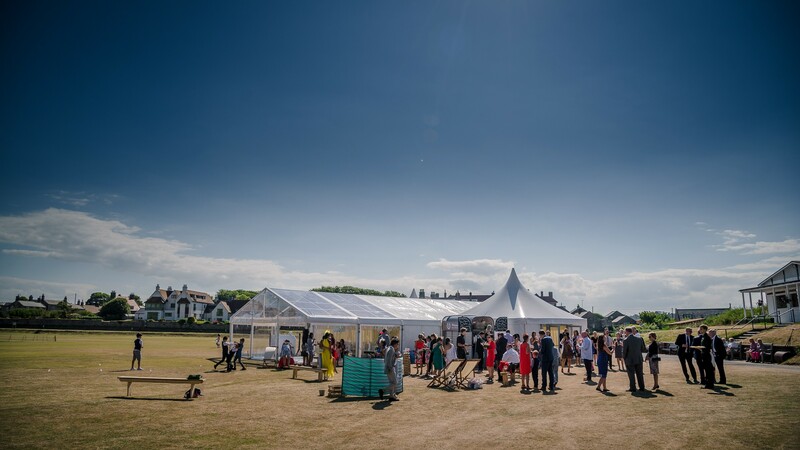 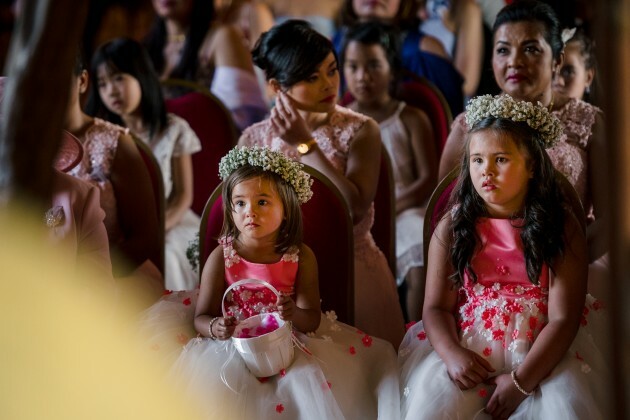 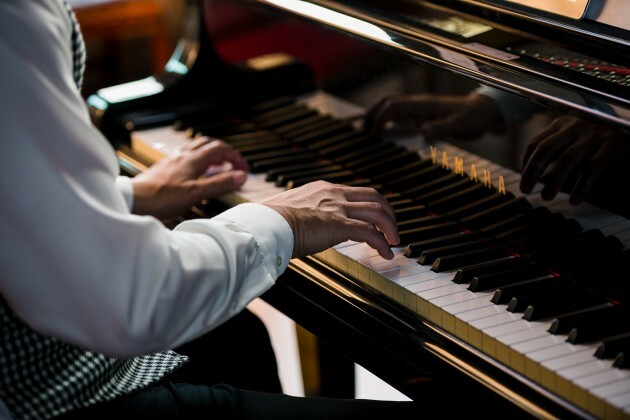 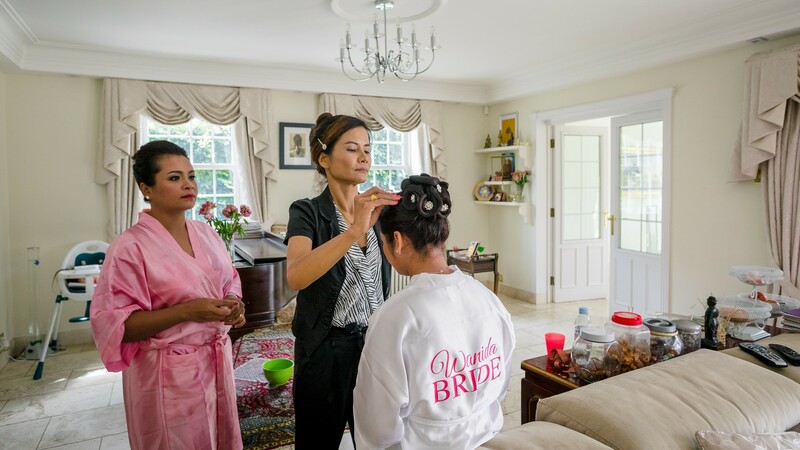 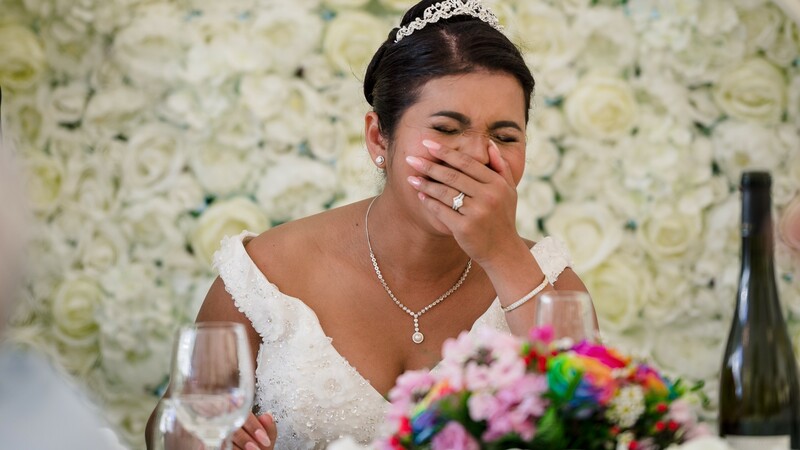 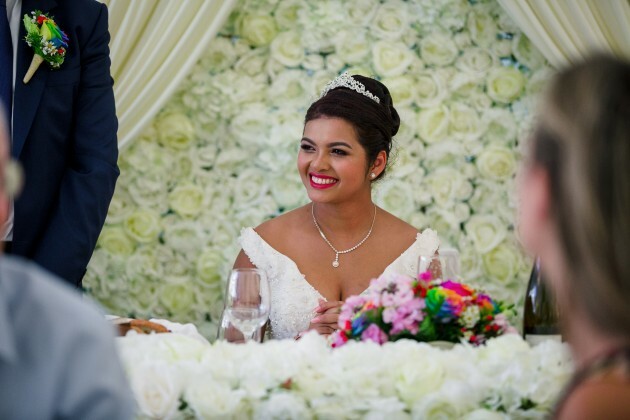 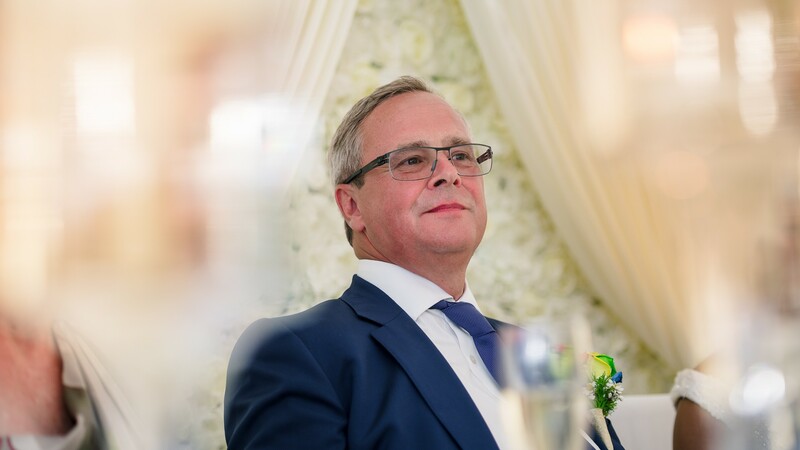 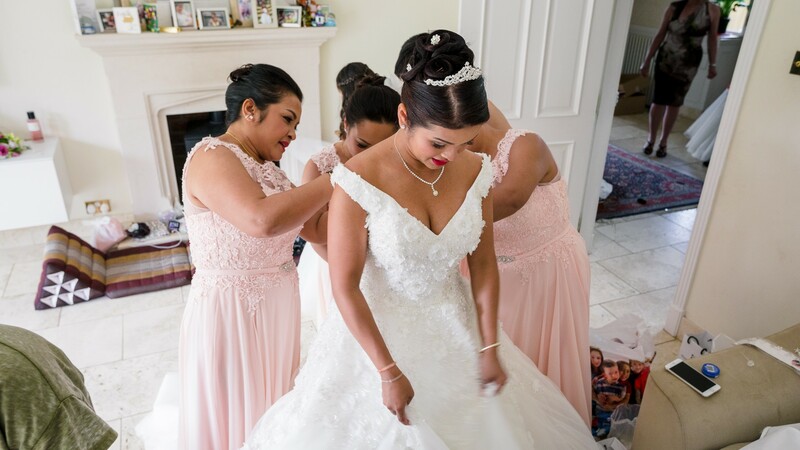 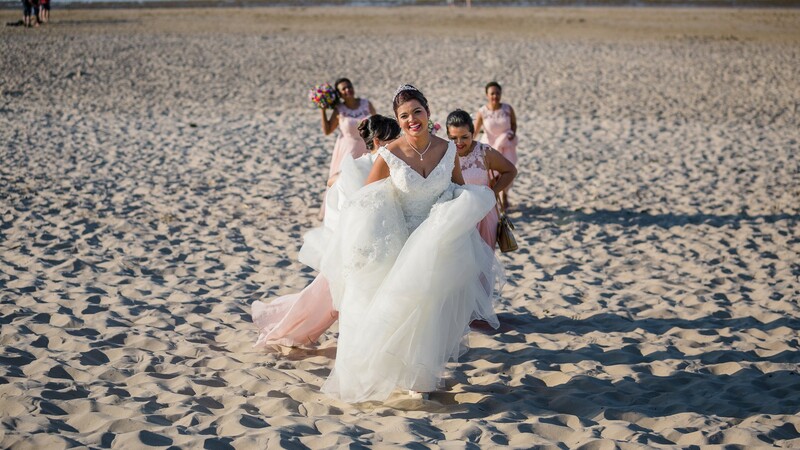 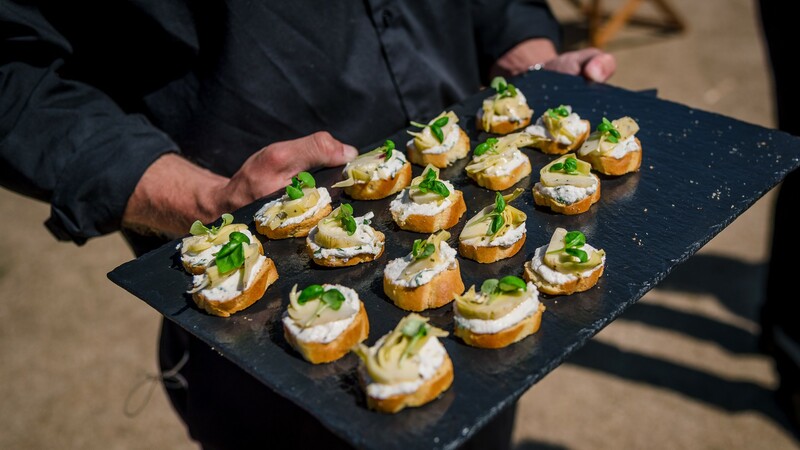 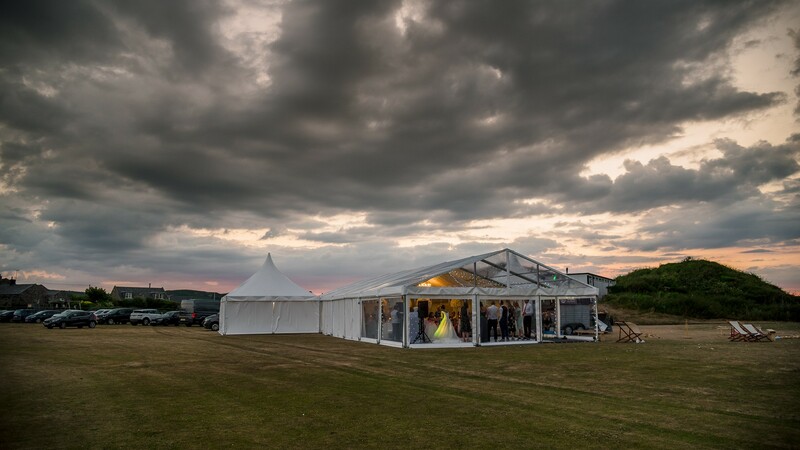 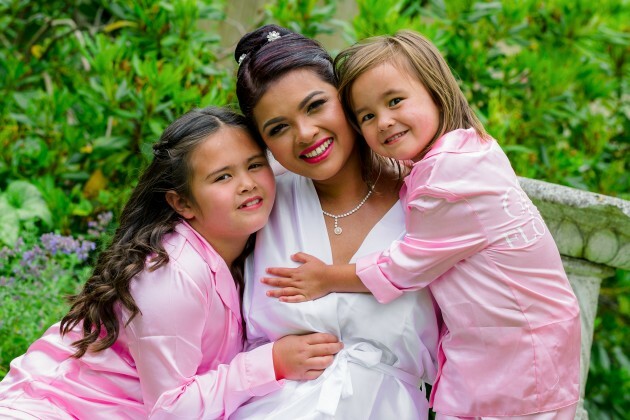 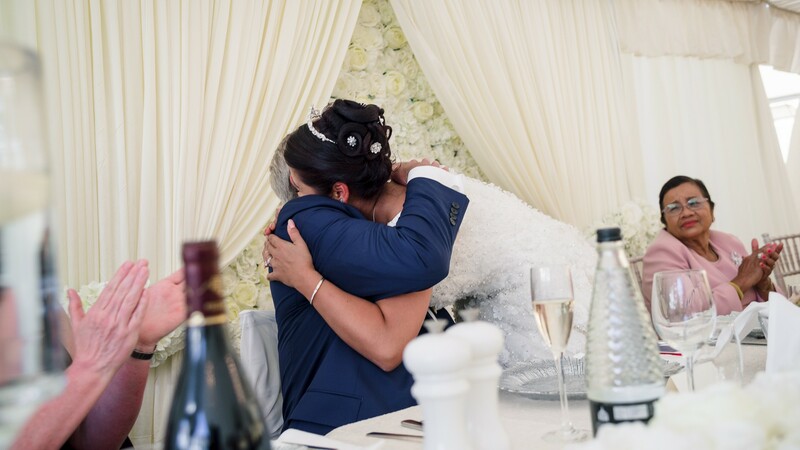 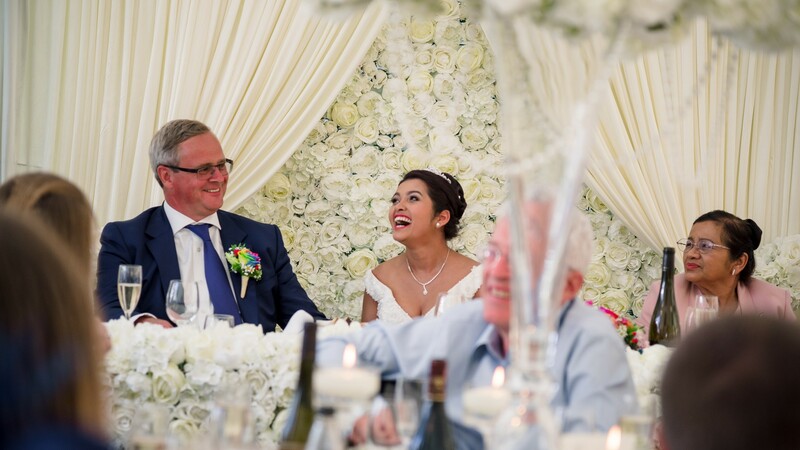 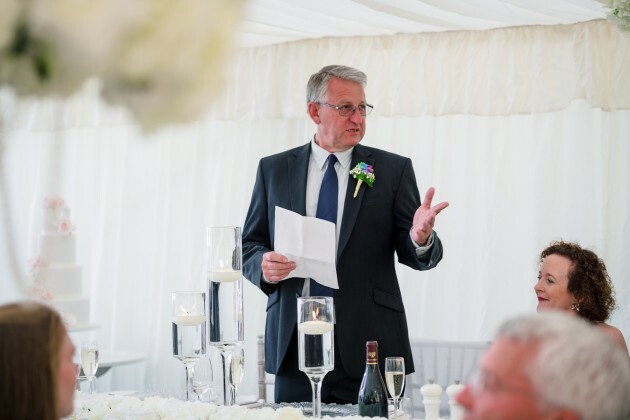 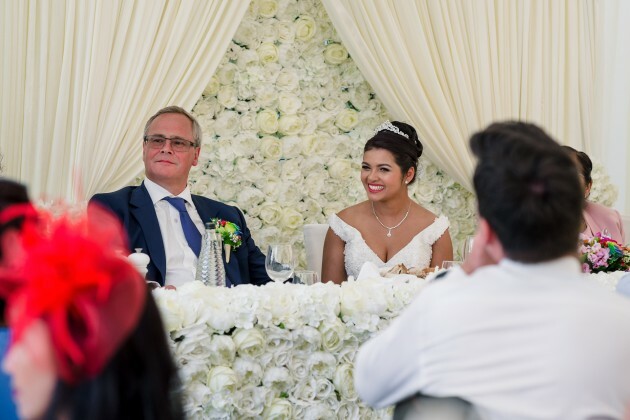 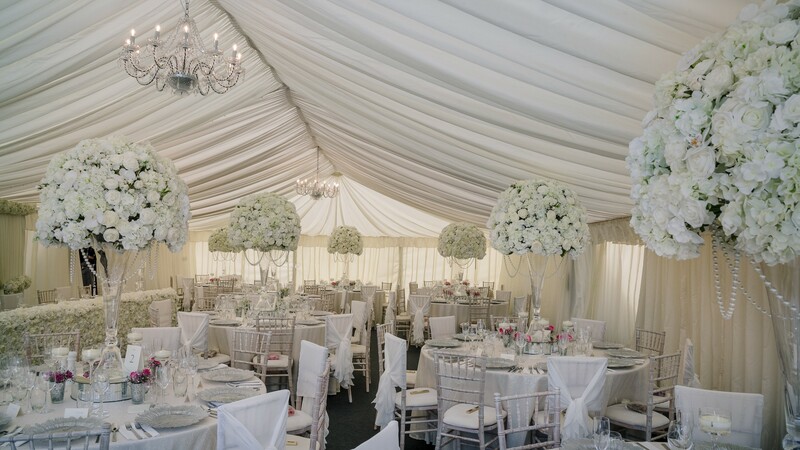 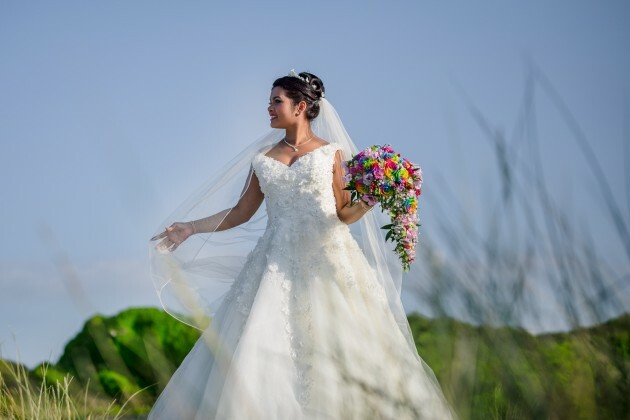 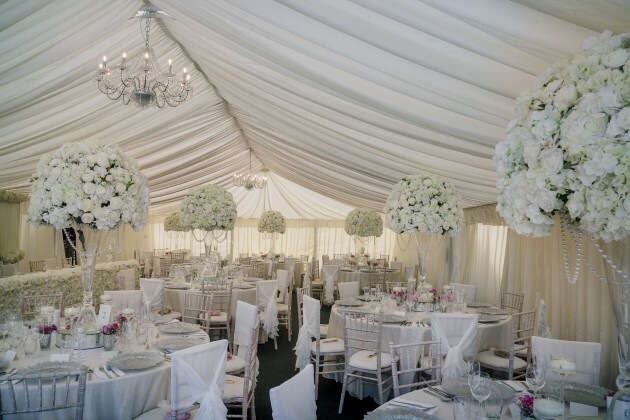 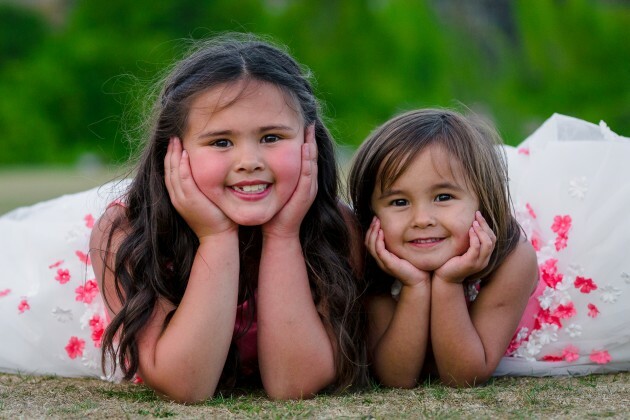 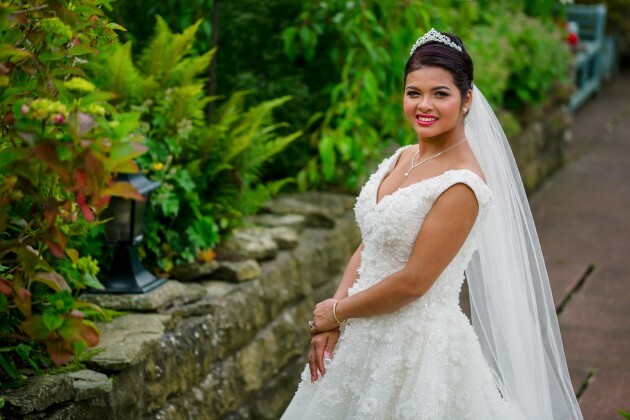 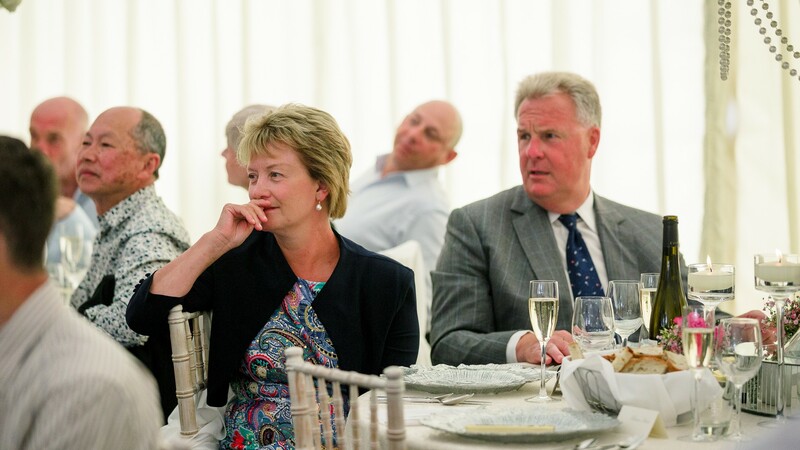 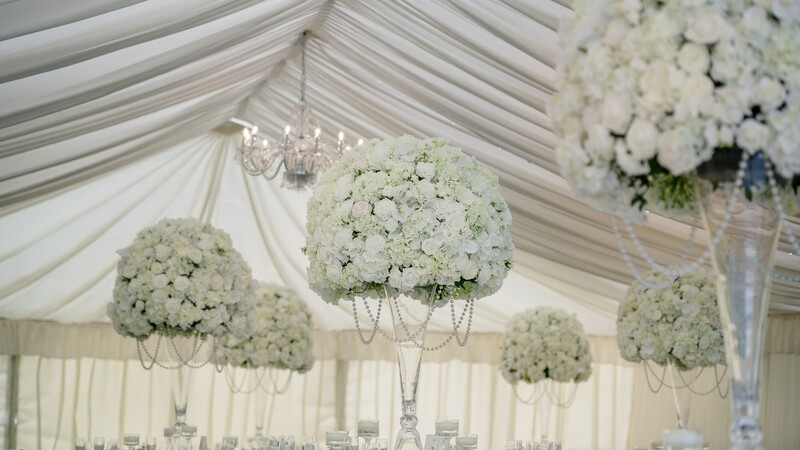 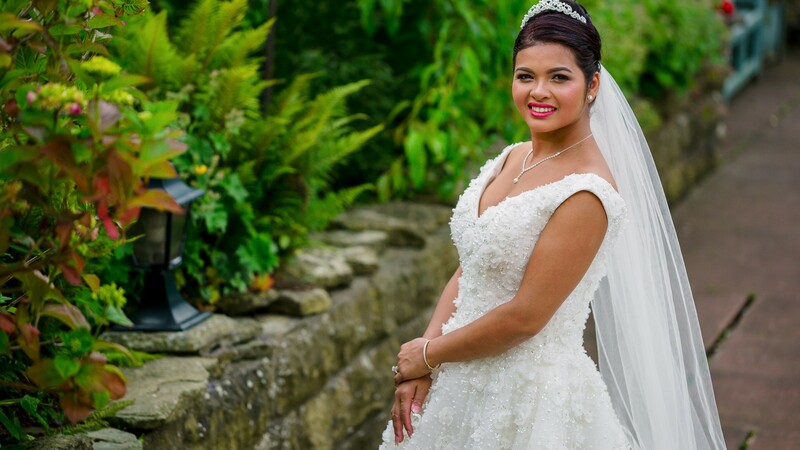 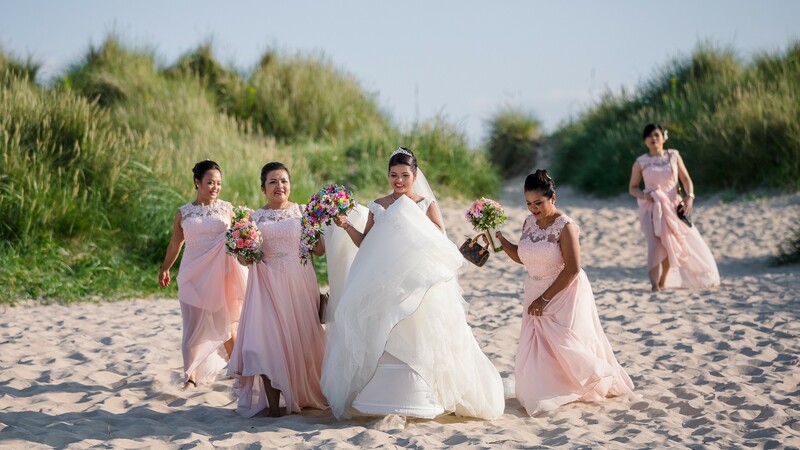 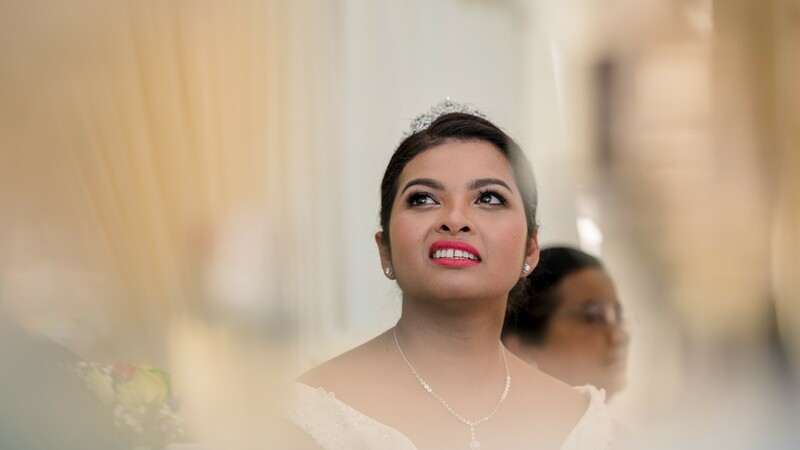 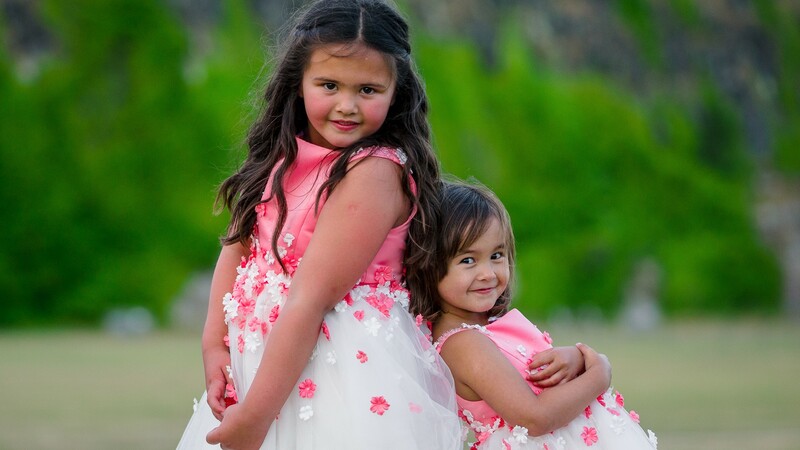 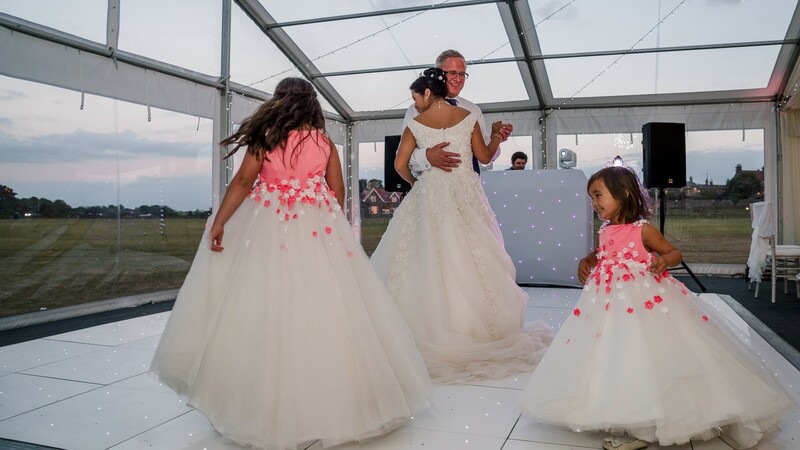 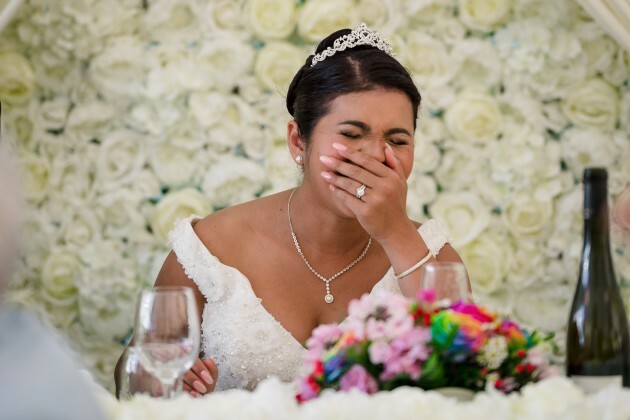 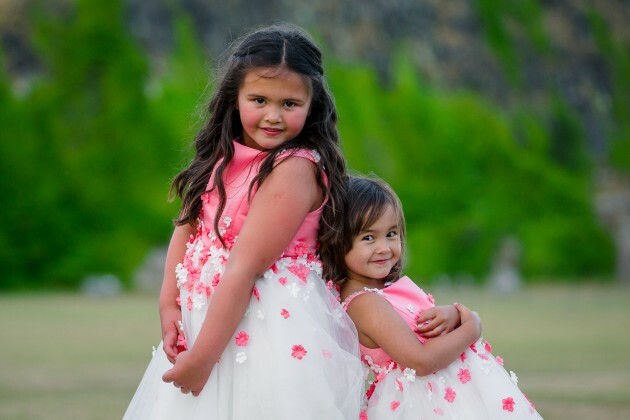 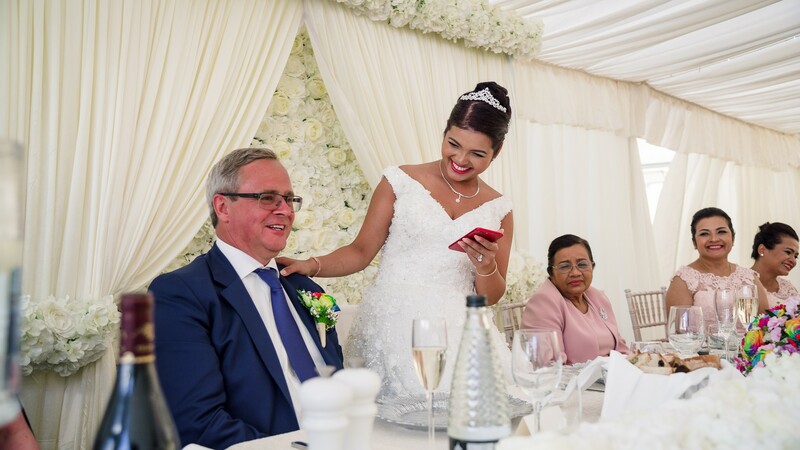 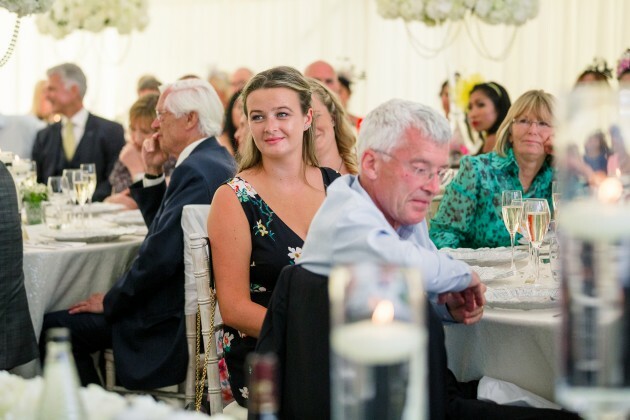 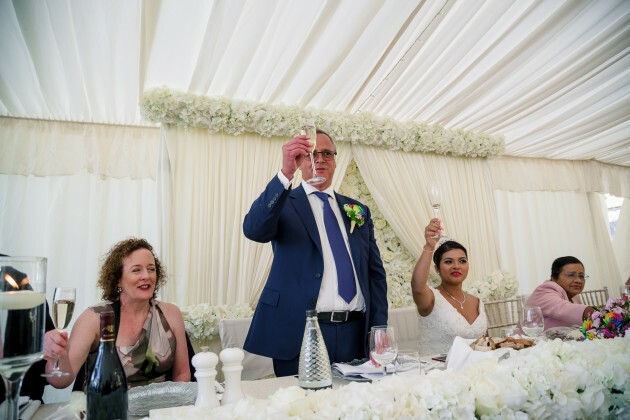 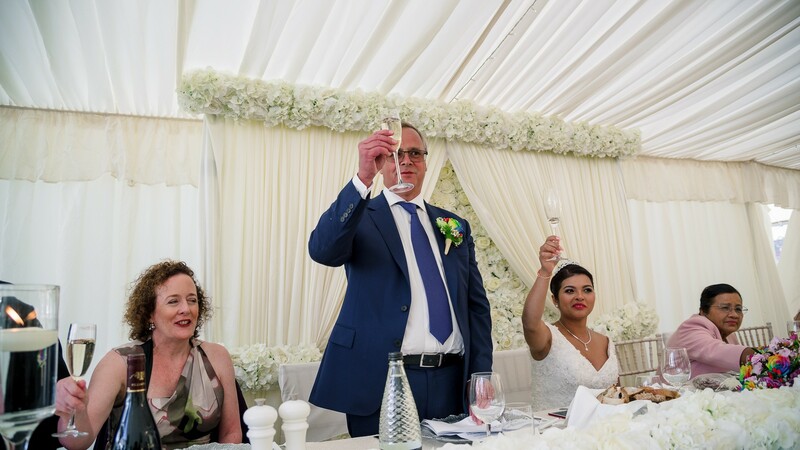 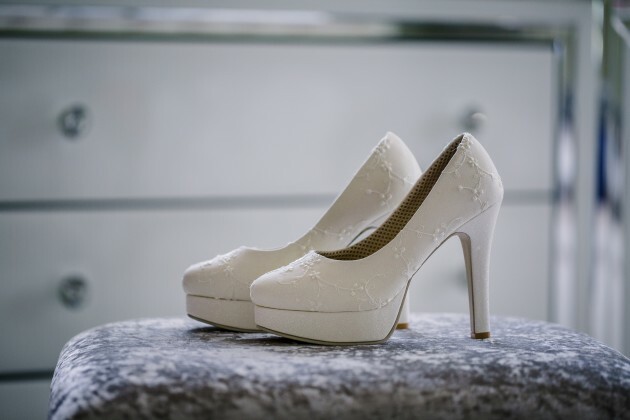 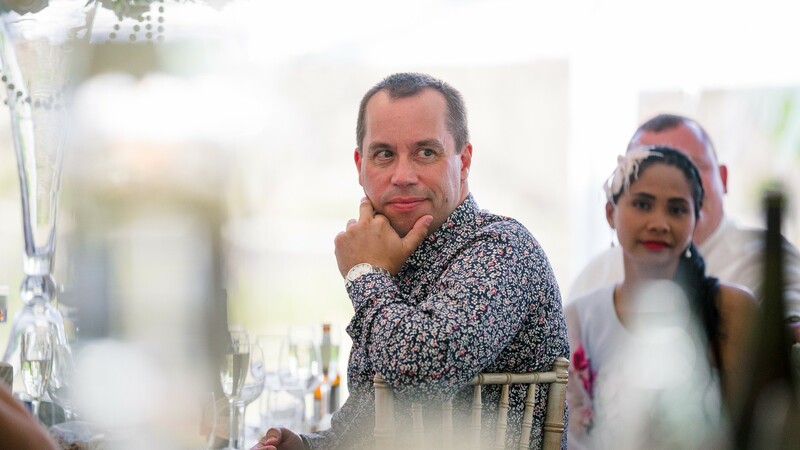 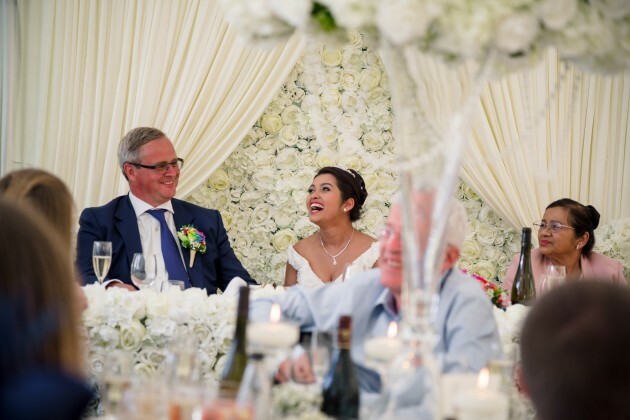 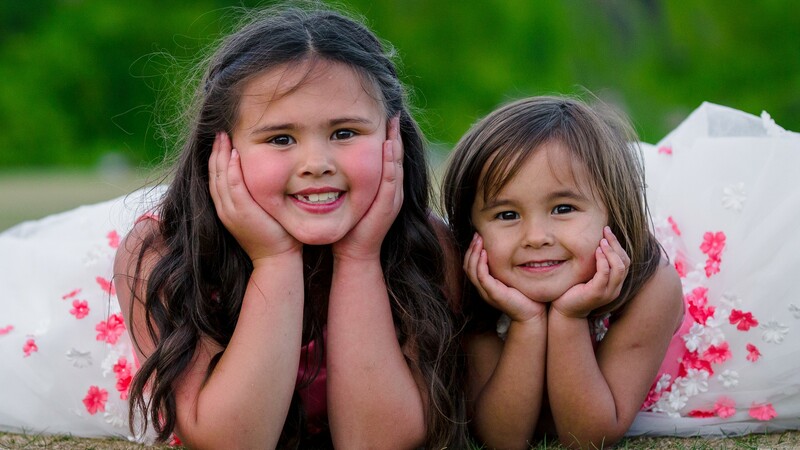 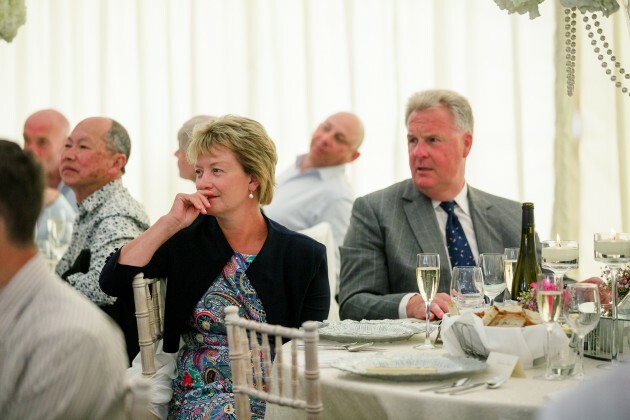 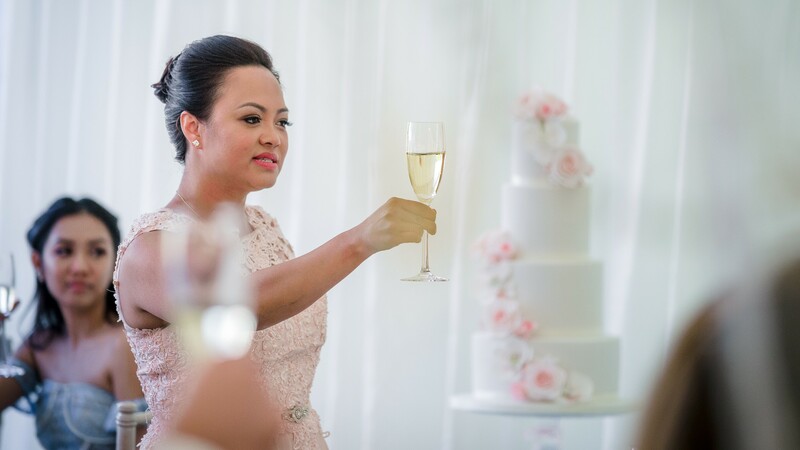 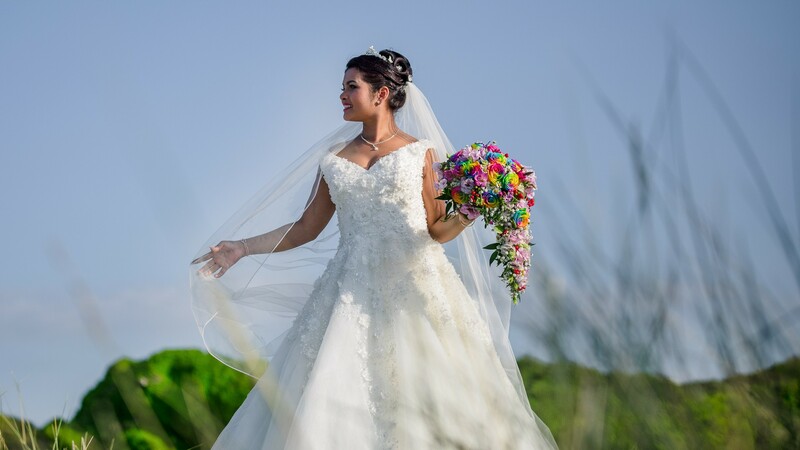 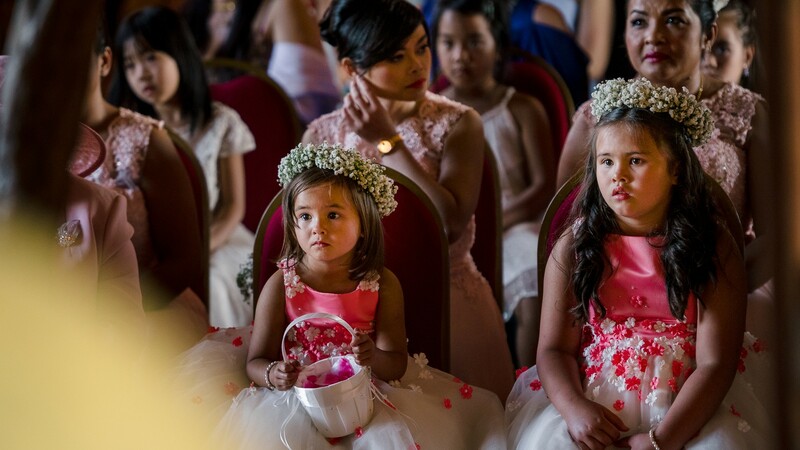 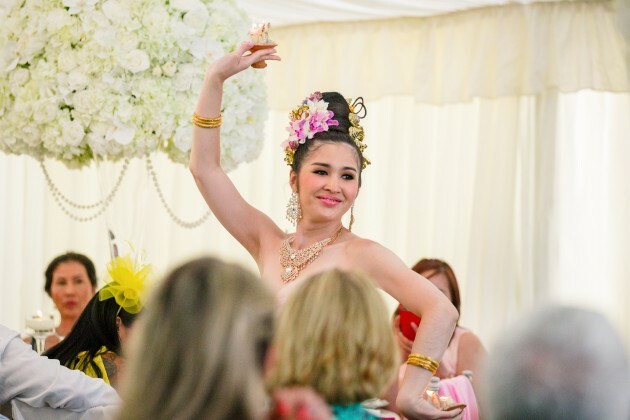 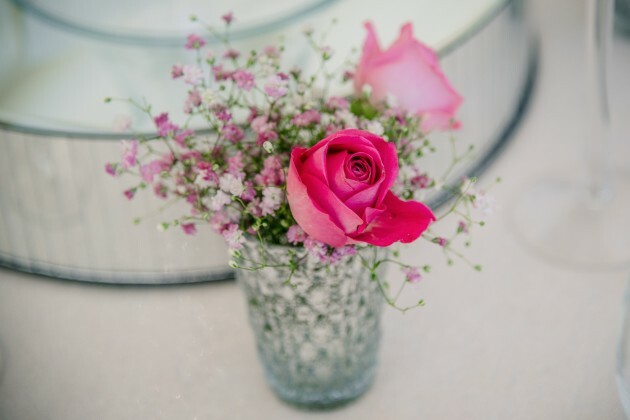 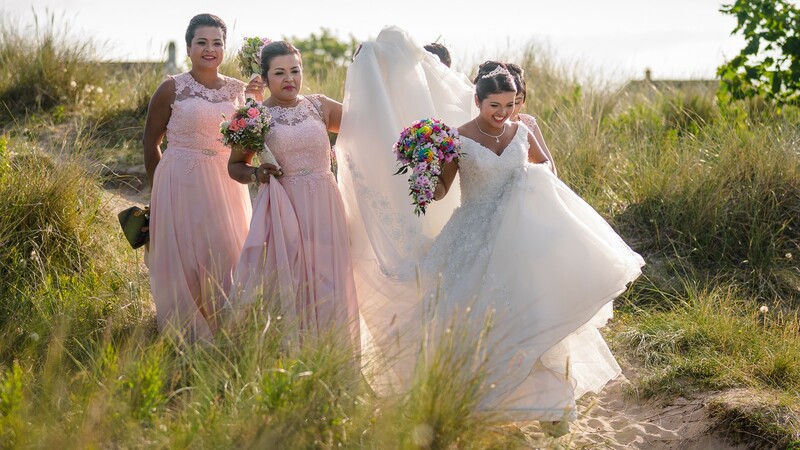 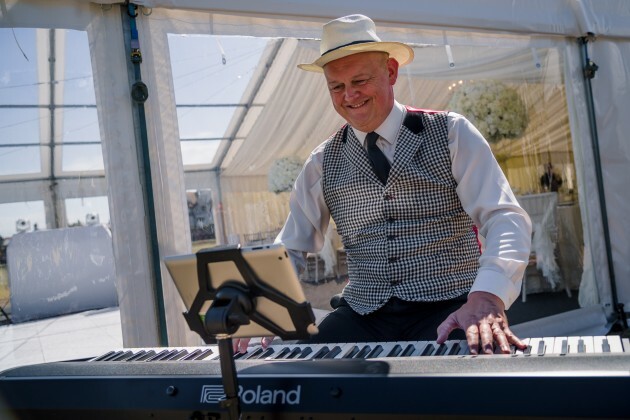 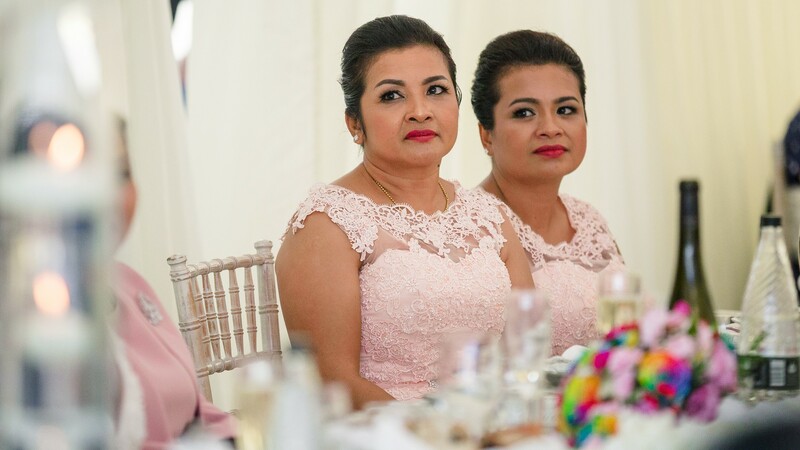 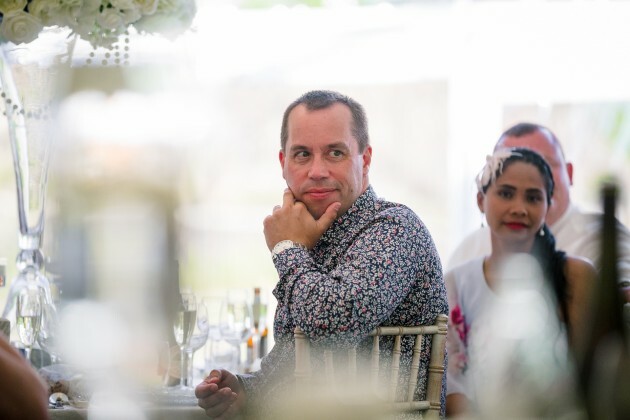 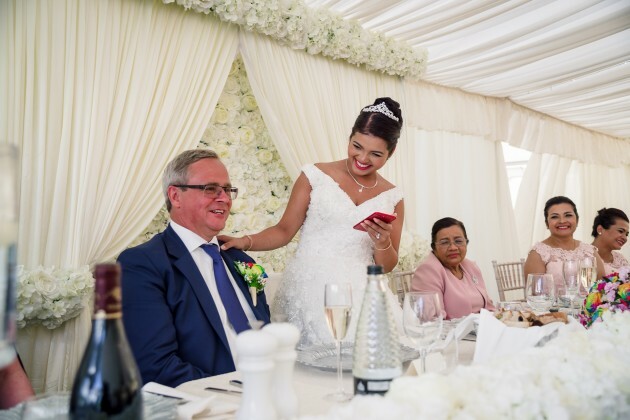 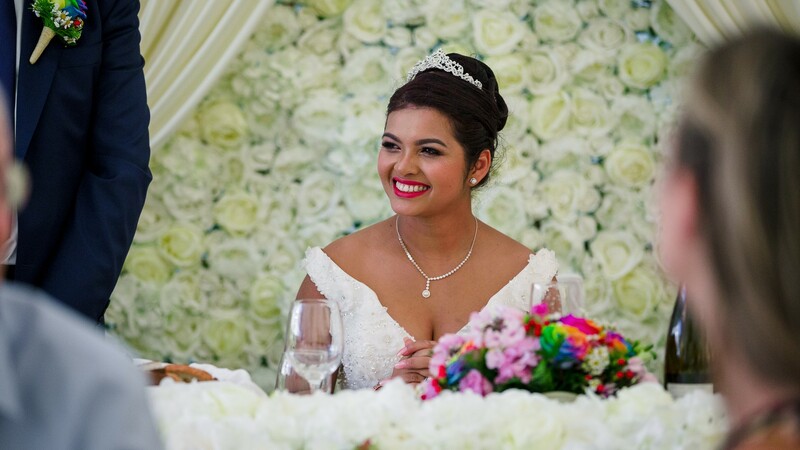 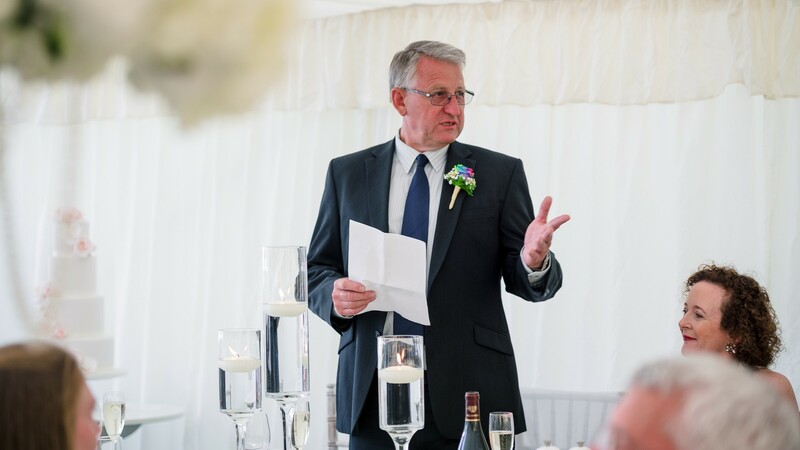 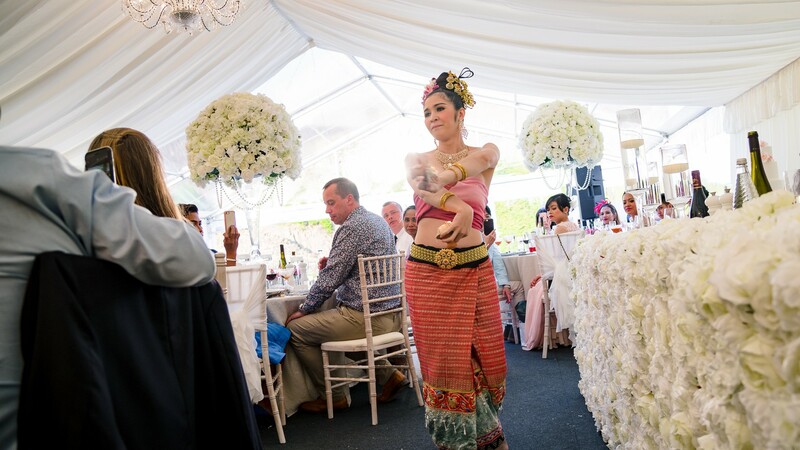 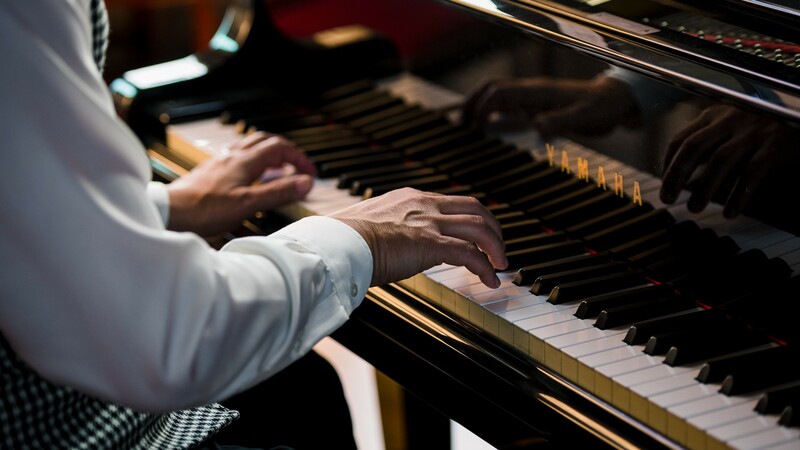 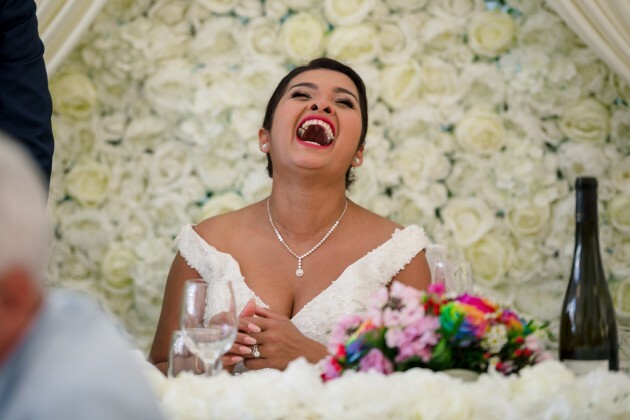 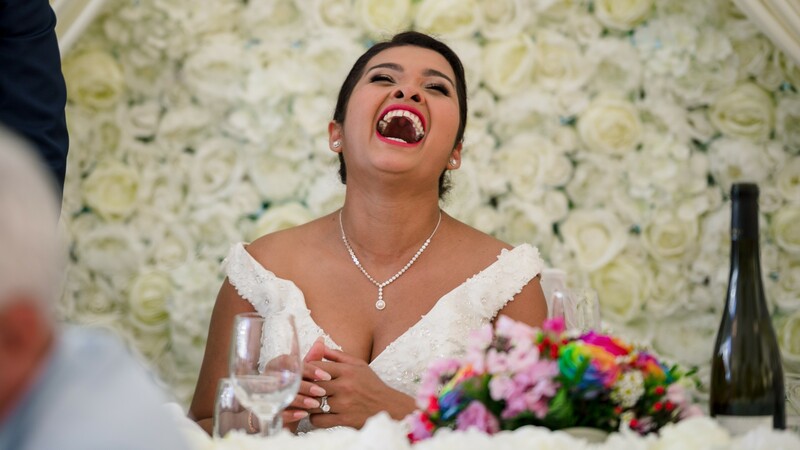 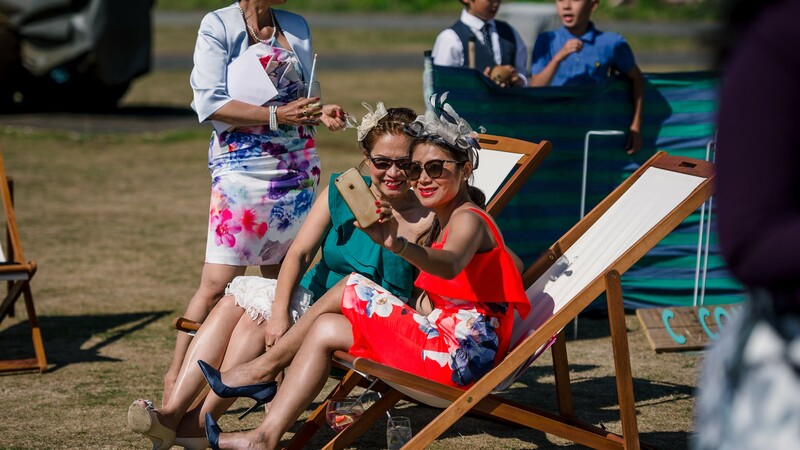 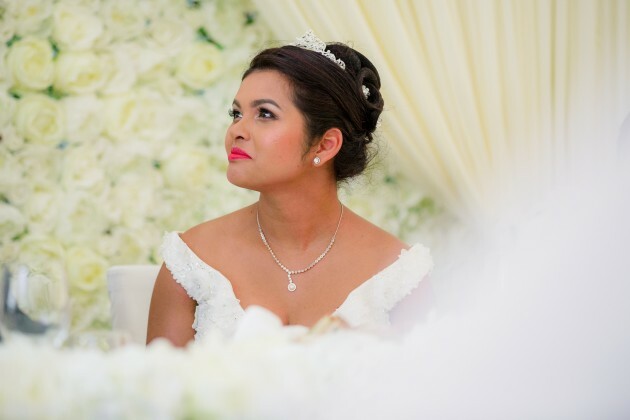 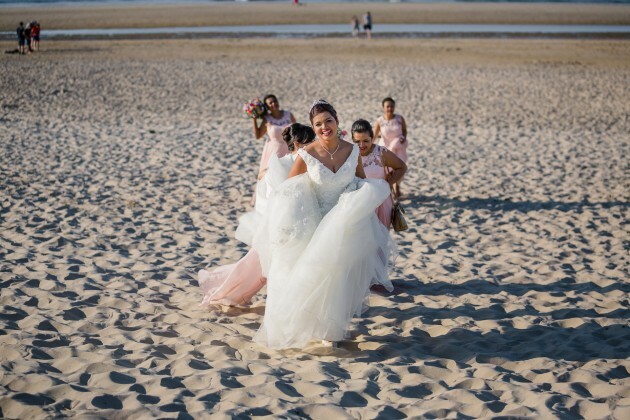 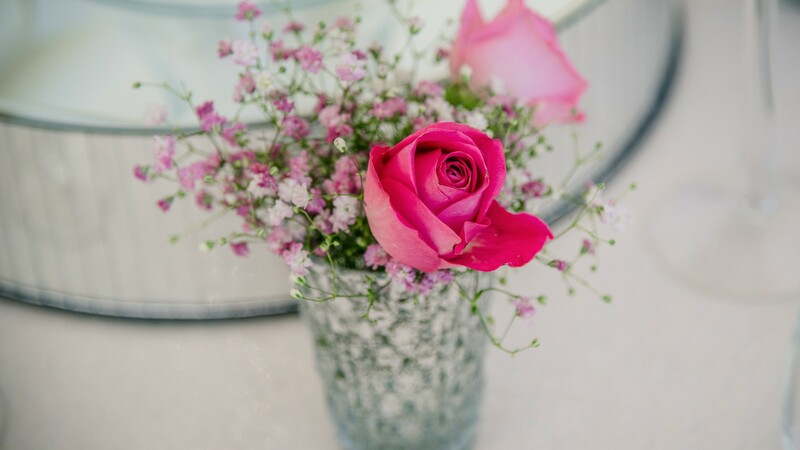 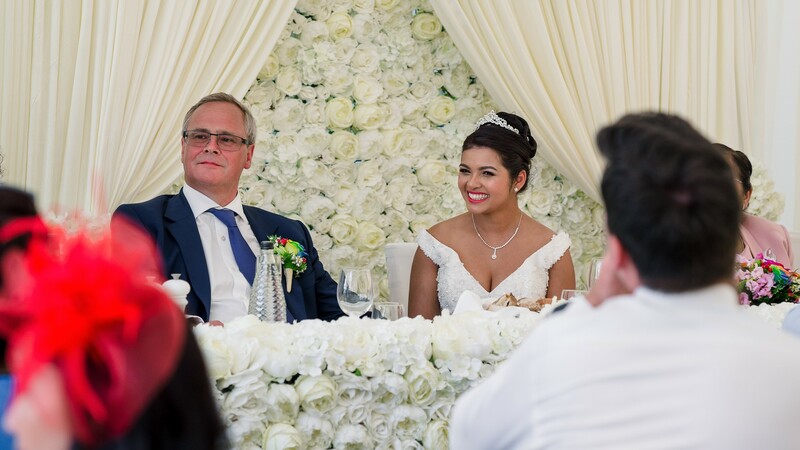 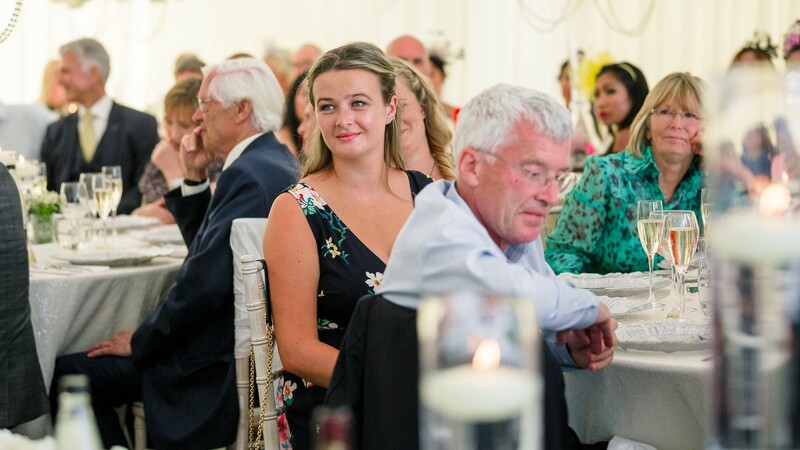 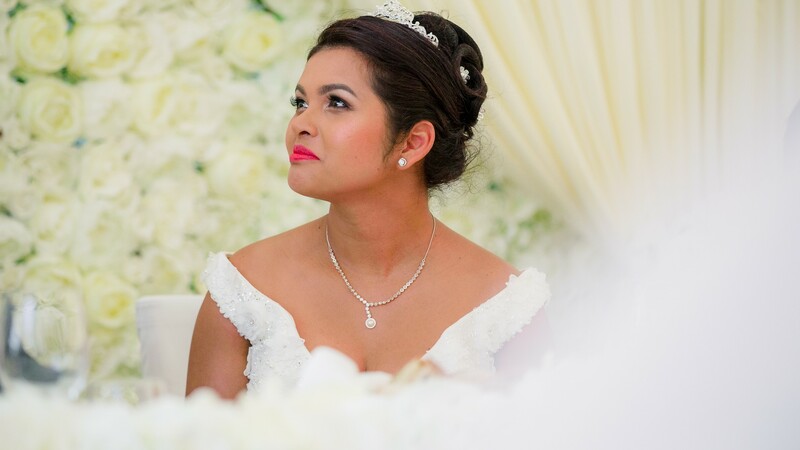 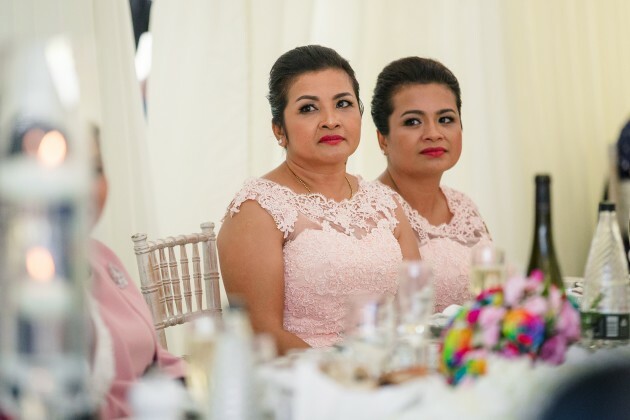 Dawn Marie Wedding Planning services had been enlisted to assist with all the organising and coordinating for the wedding day. 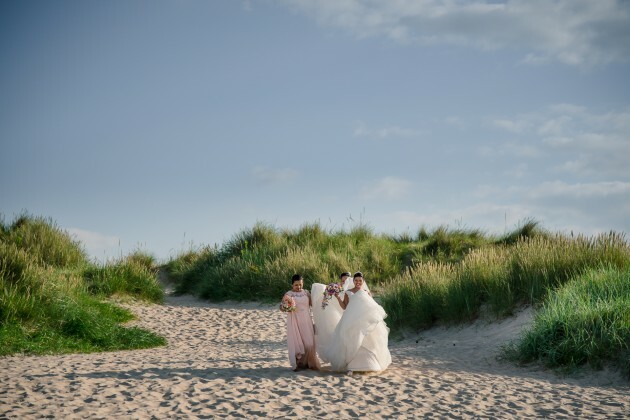 The whole day certainly ran like clockwork, Dawn Marie executed Wanida and Eirik's ideas and plans perfectly from start to finish just allowing for a few minutes after the ceremony to escape to the beach accompanied by the bridesmaids so that we could capture a few shots on the beach with the this iconic backdrop.